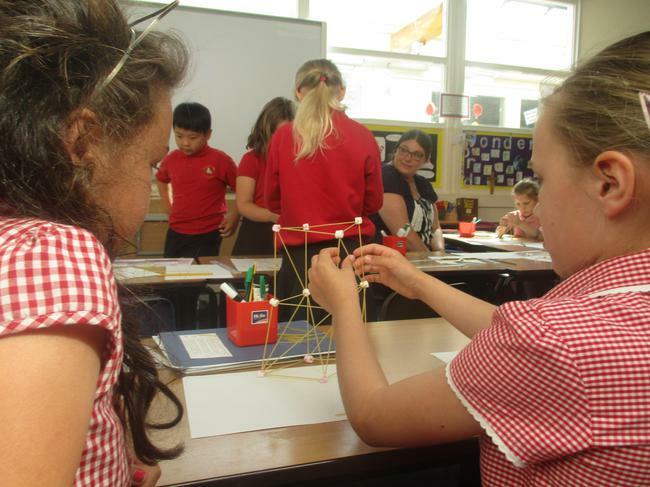 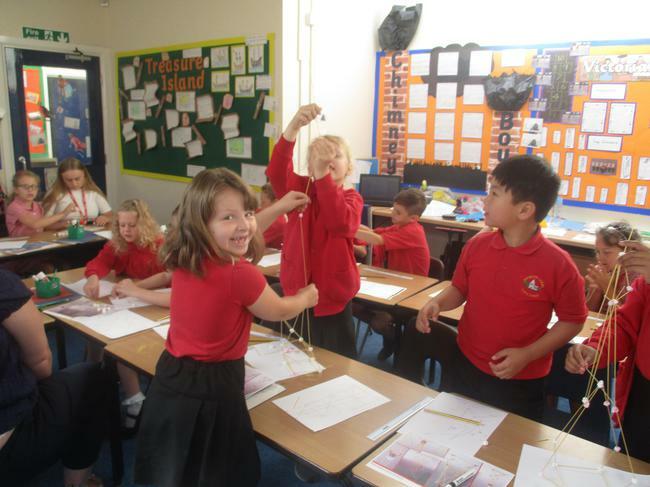 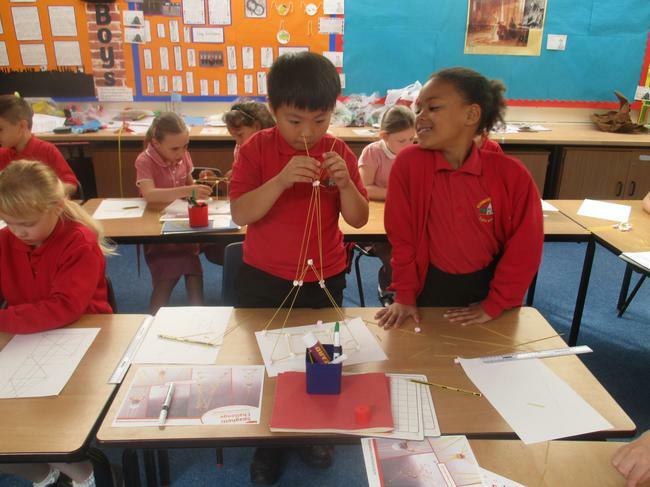 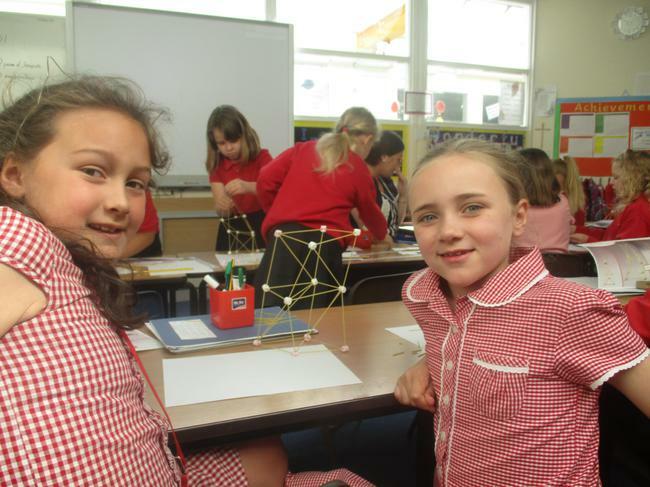 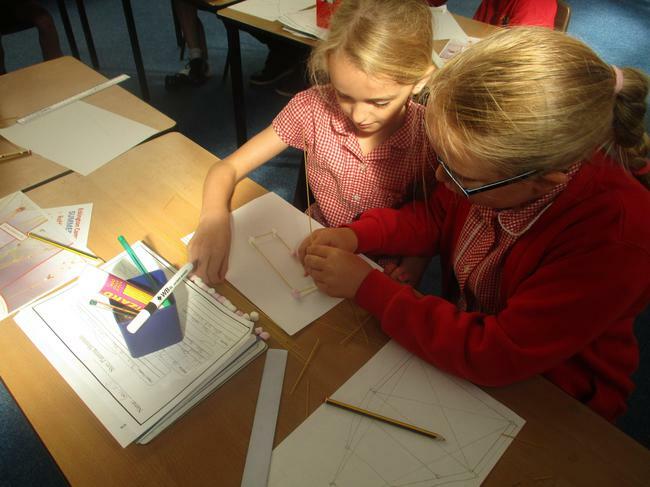 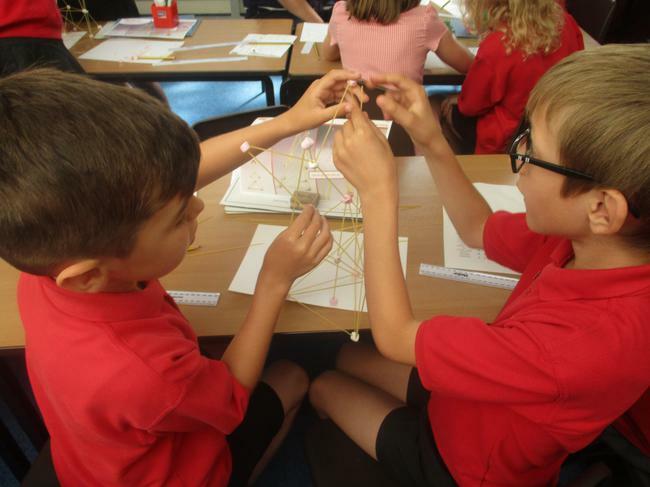 STEM lesson - the spaghetti challenge. 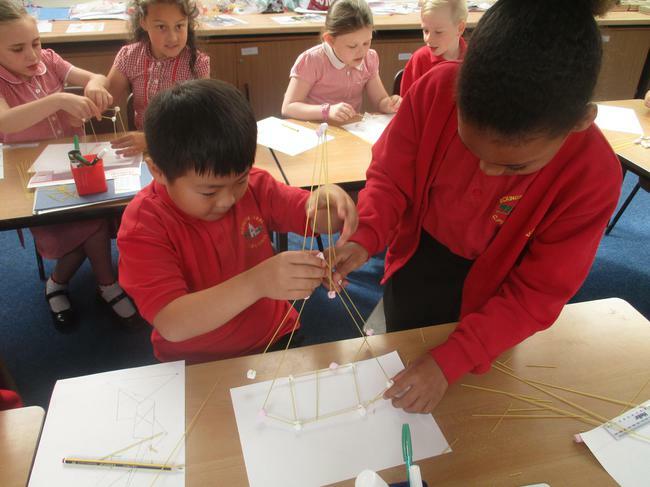 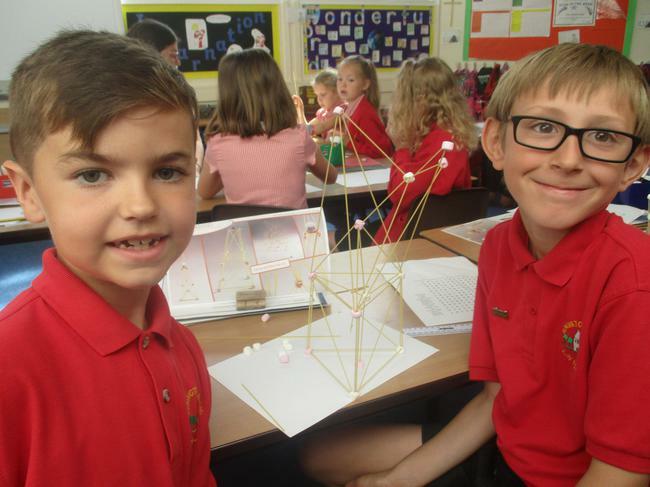 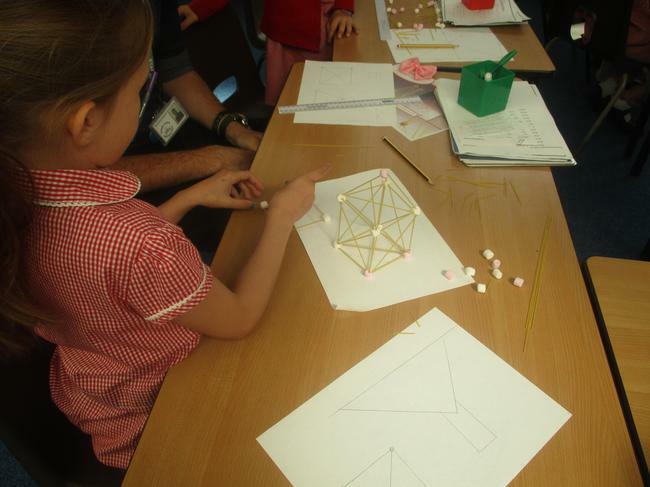 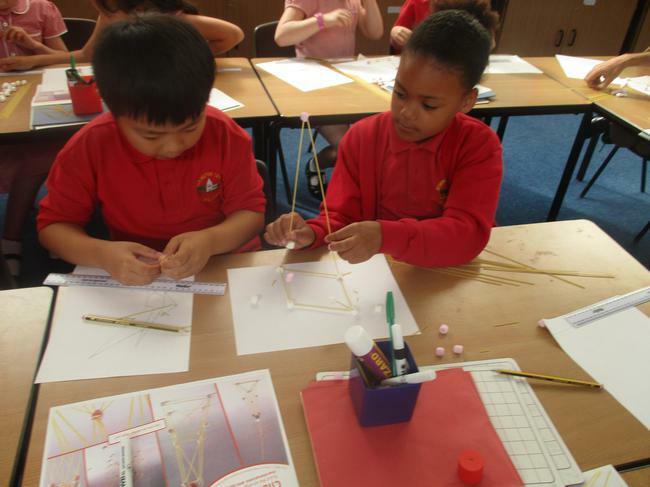 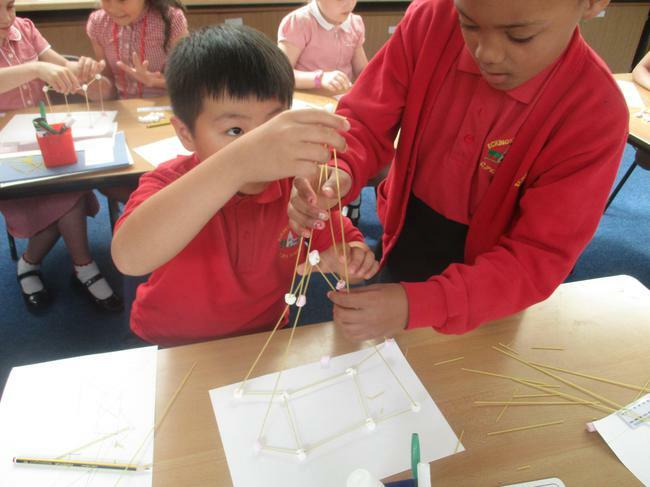 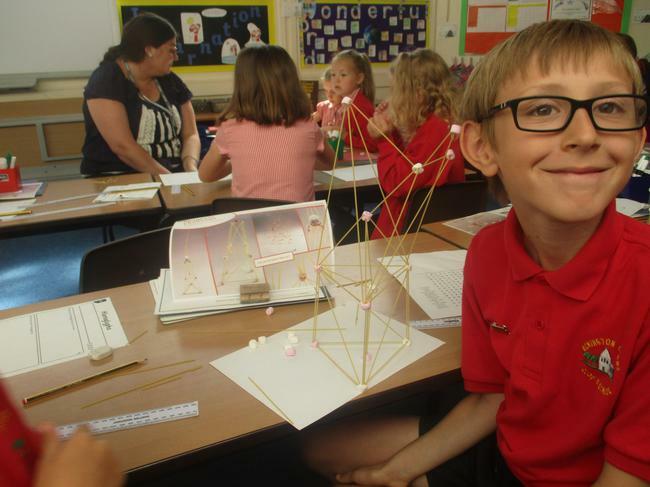 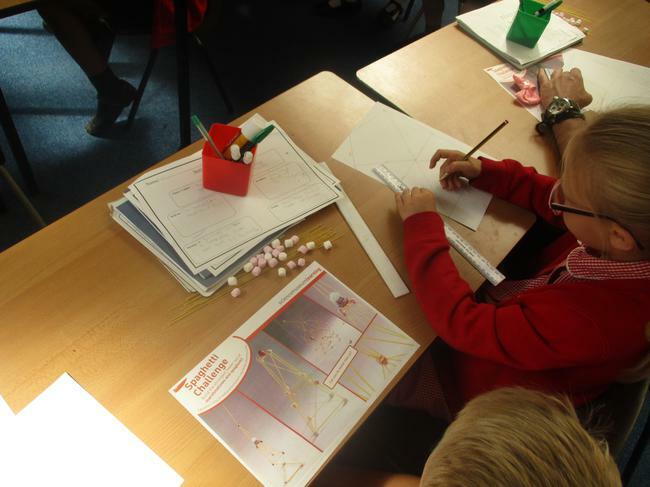 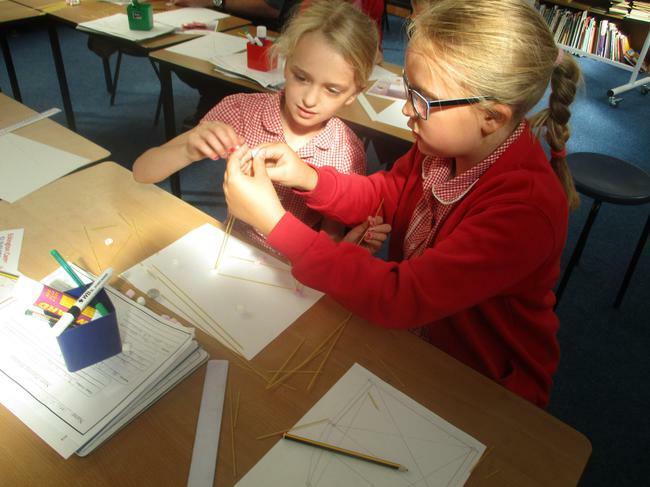 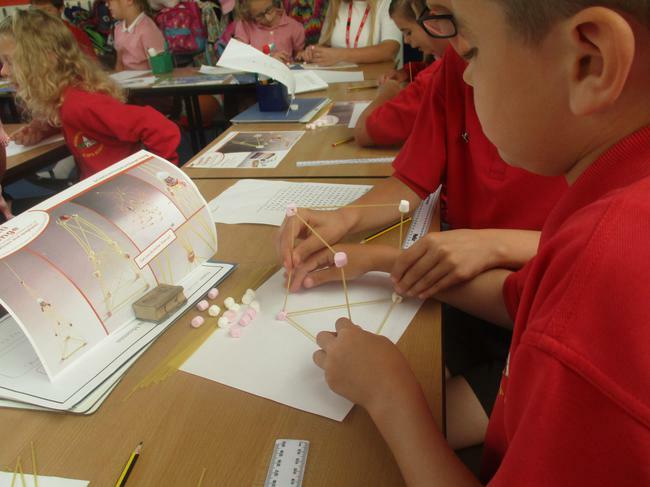 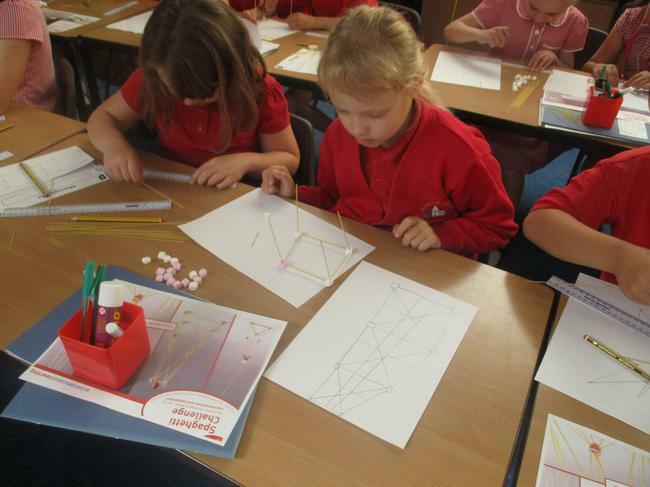 The children showed resilience and fab problem-solving skills as they attempted to construct a tower out of spaghetti and marshmallows. 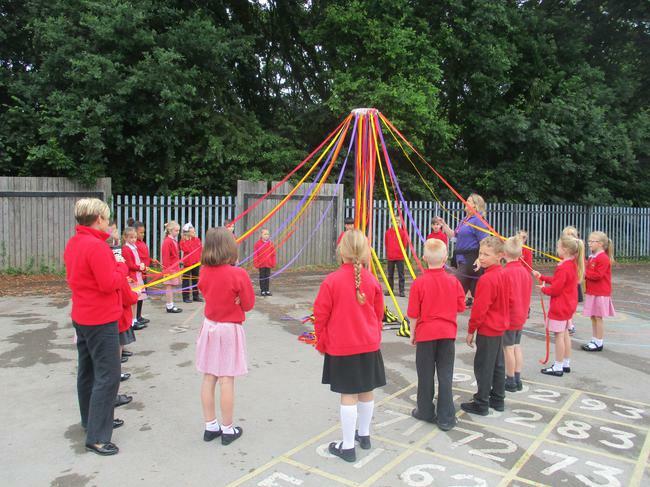 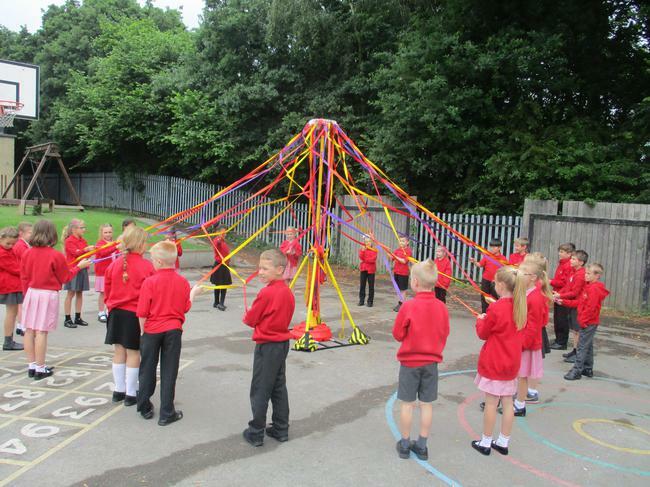 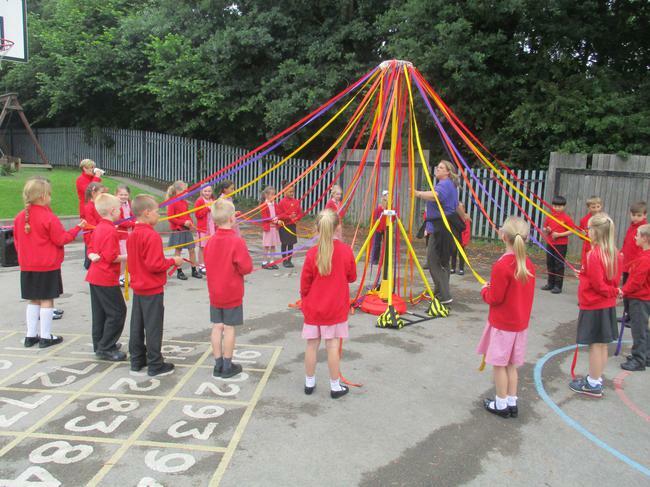 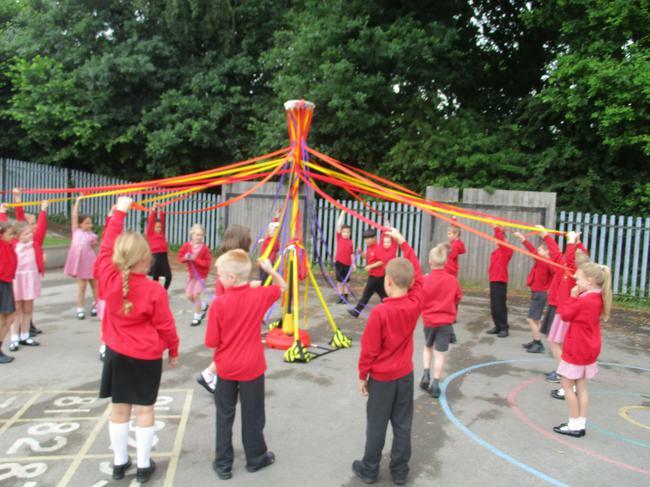 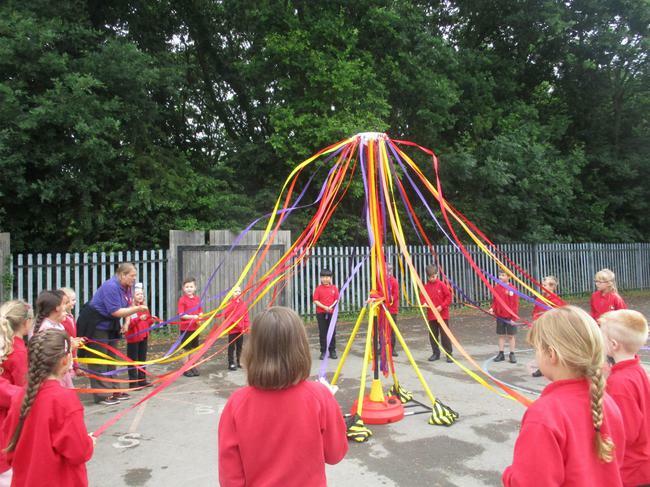 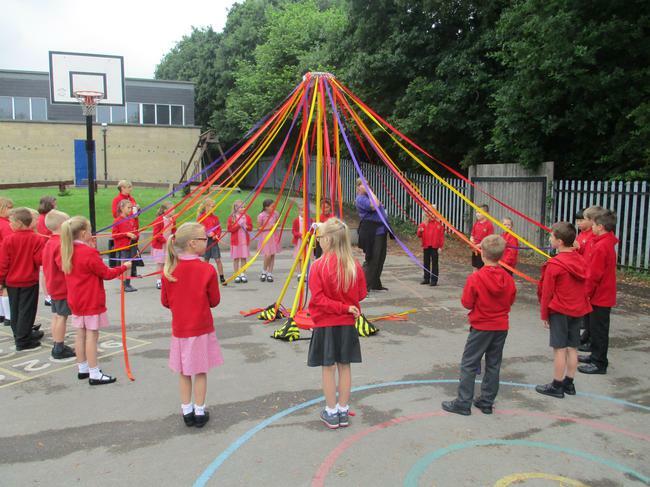 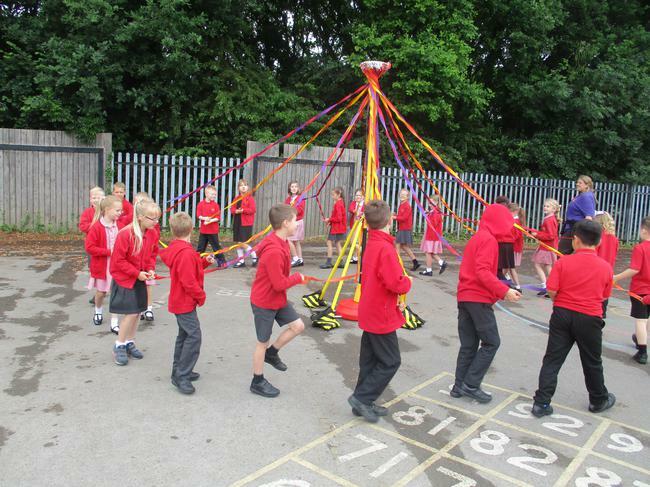 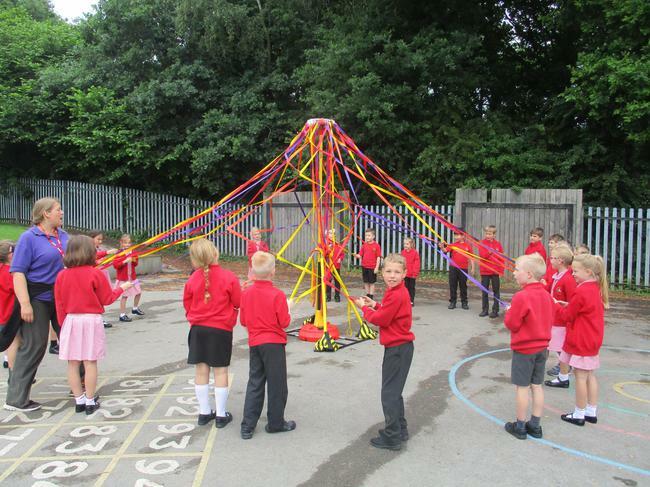 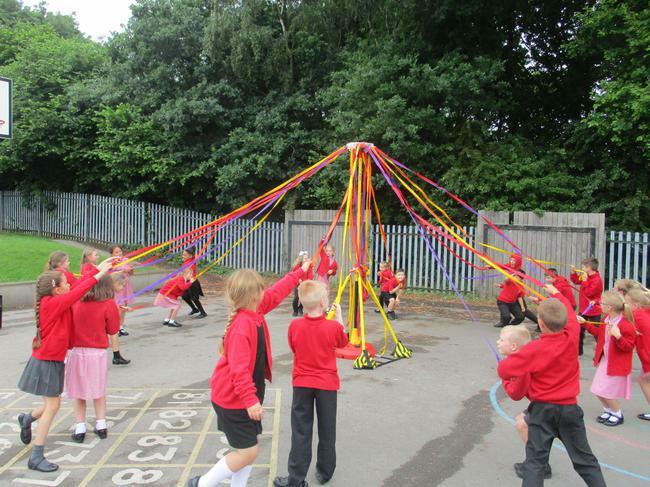 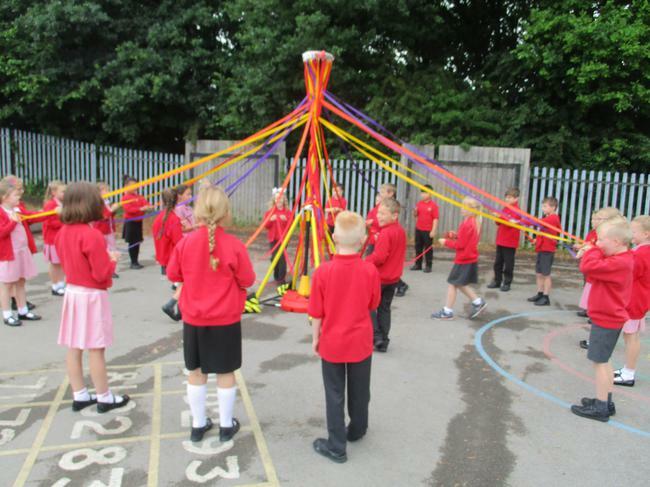 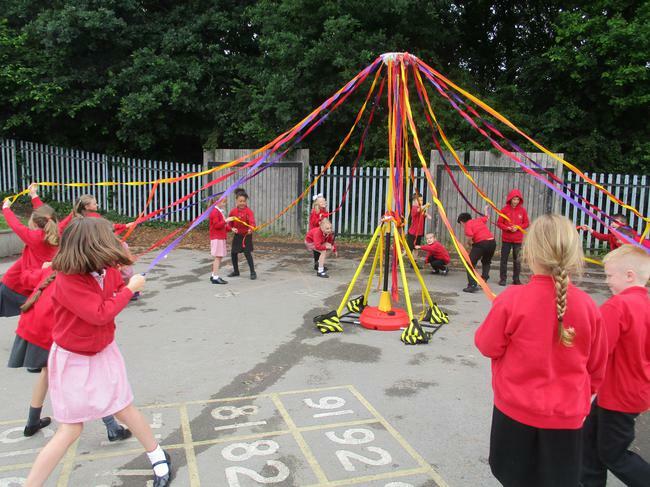 We were very lucky to be treated to a maypole dancing lesson. 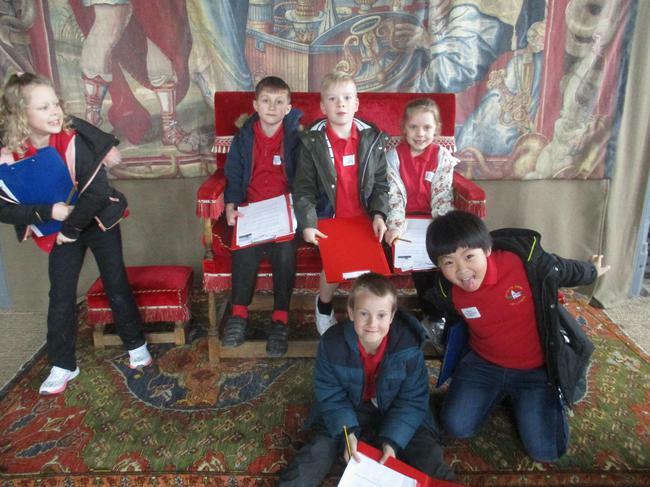 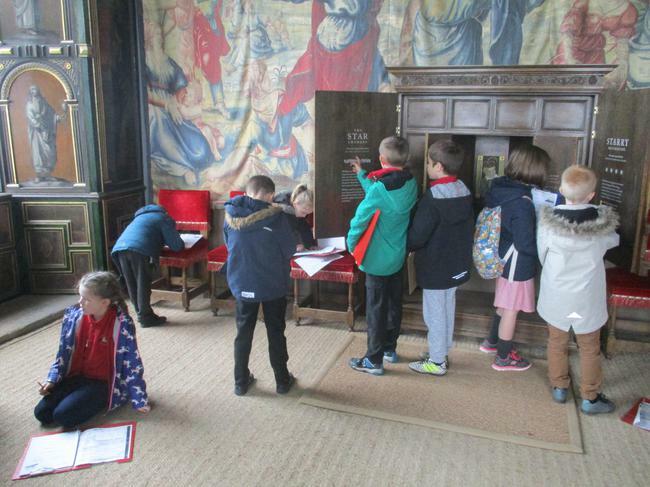 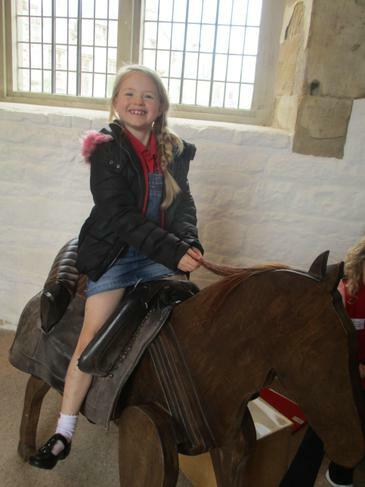 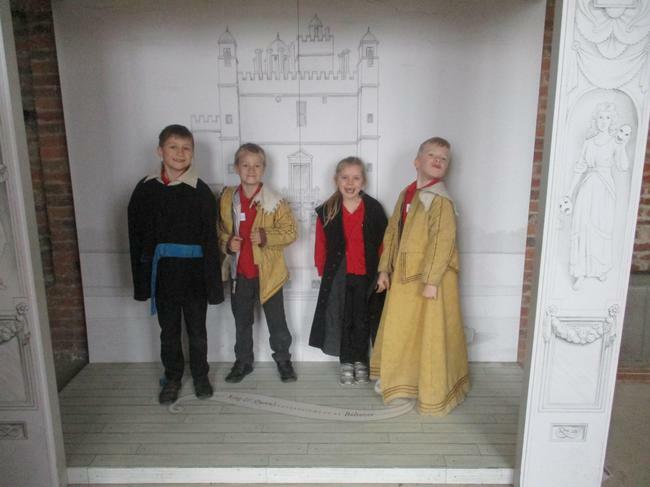 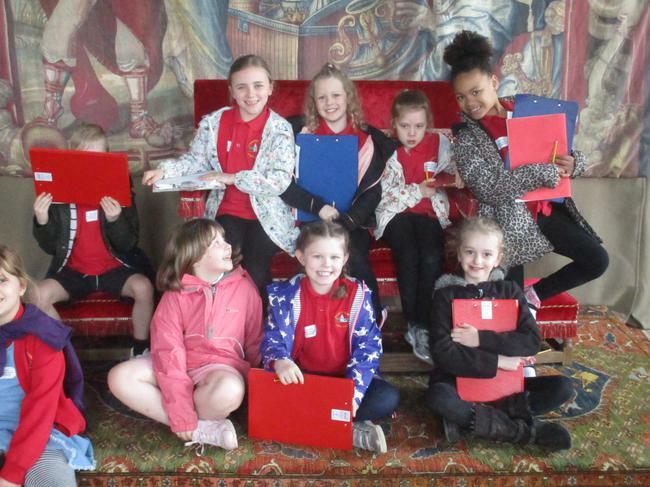 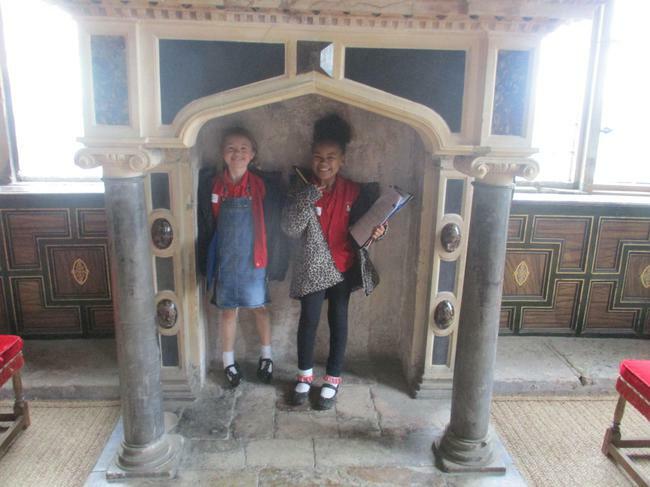 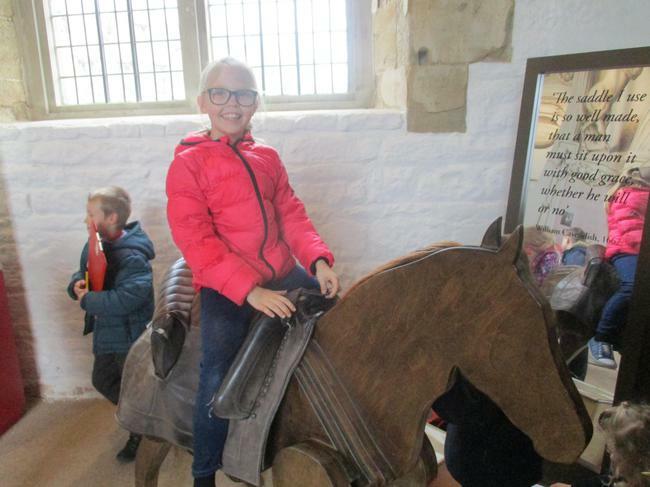 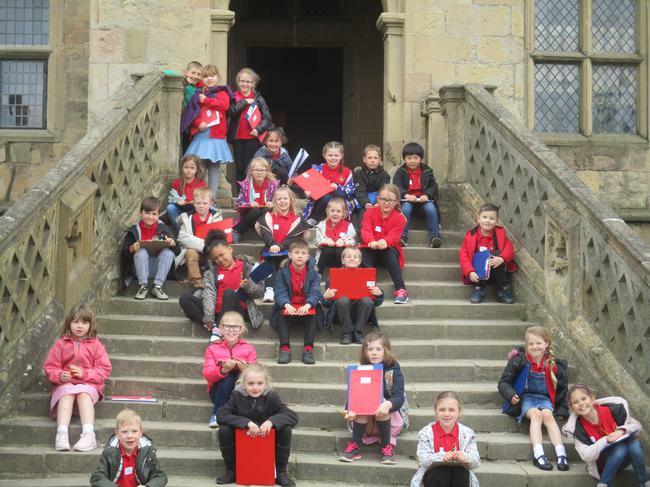 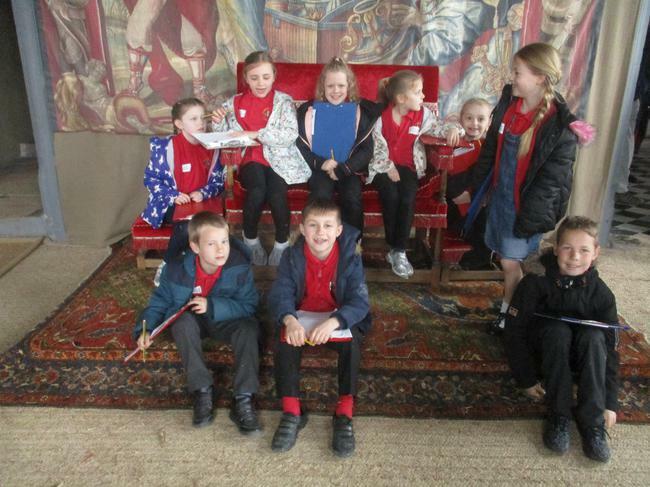 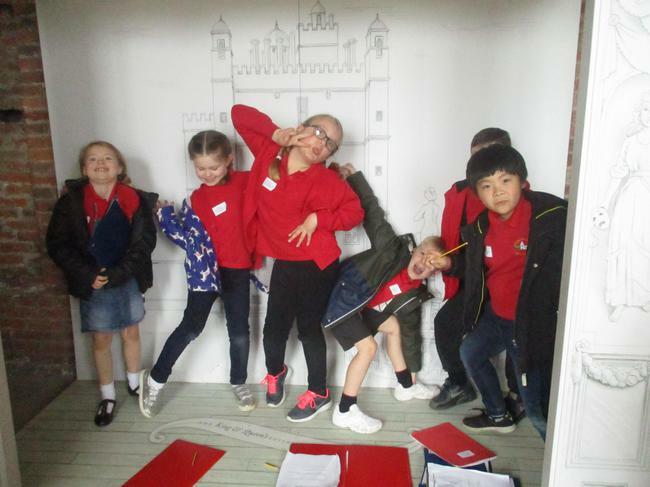 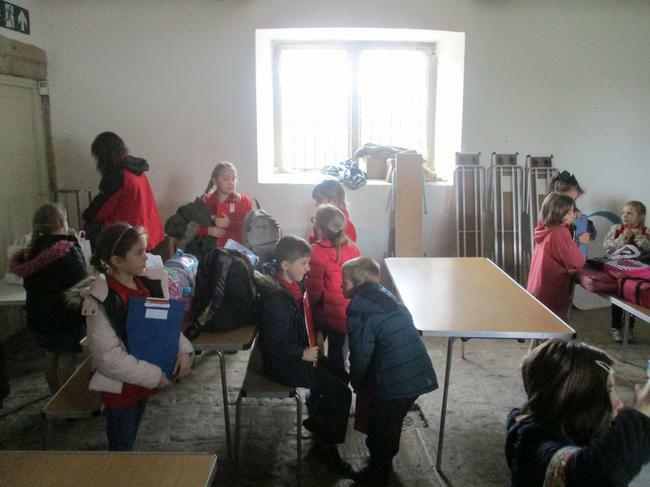 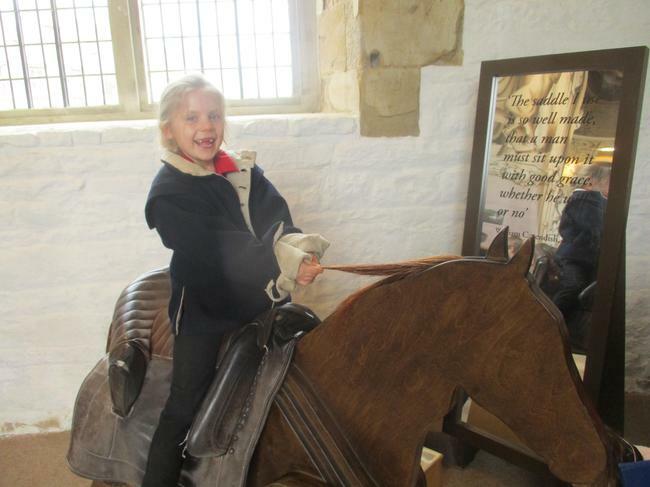 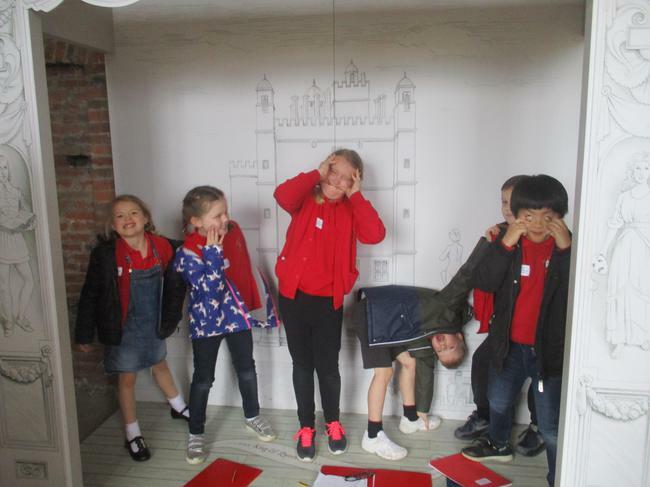 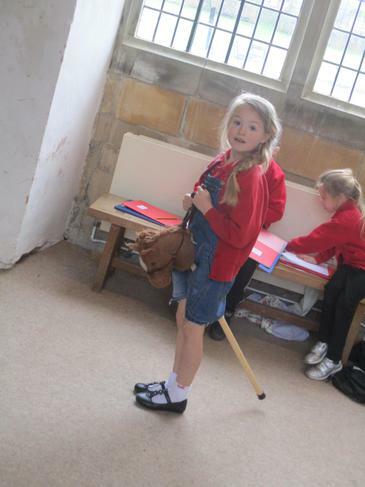 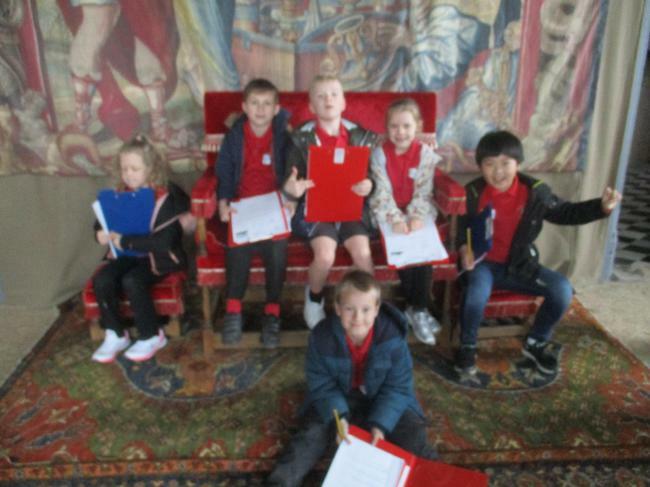 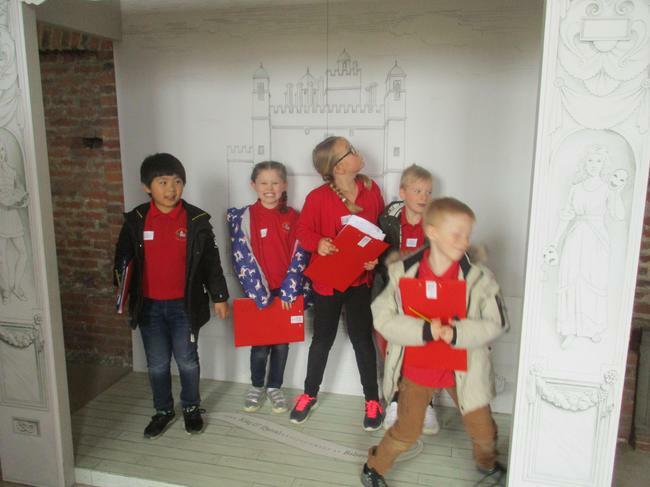 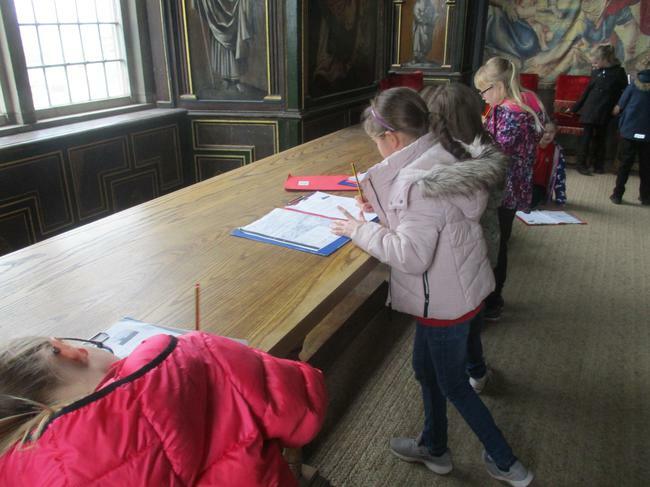 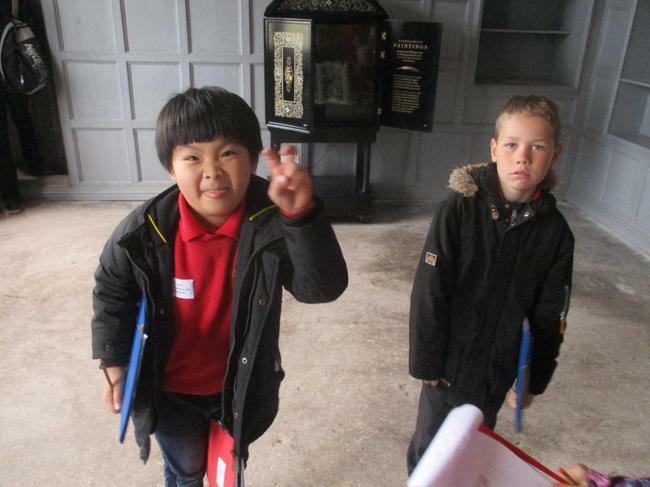 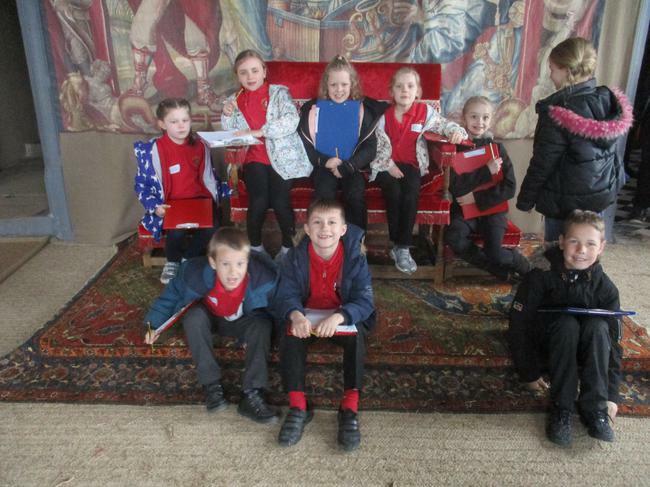 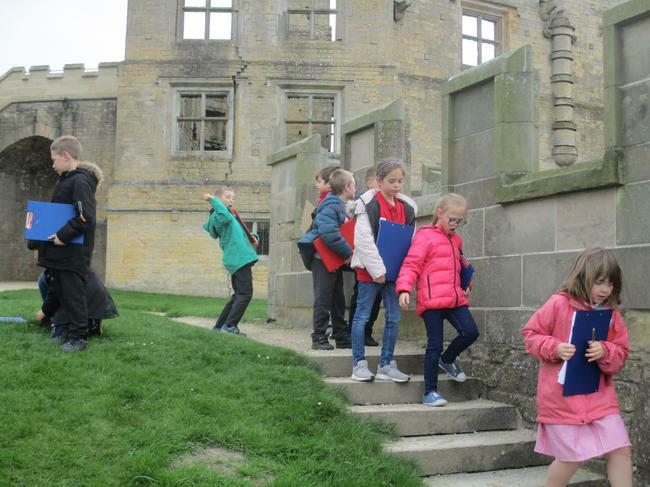 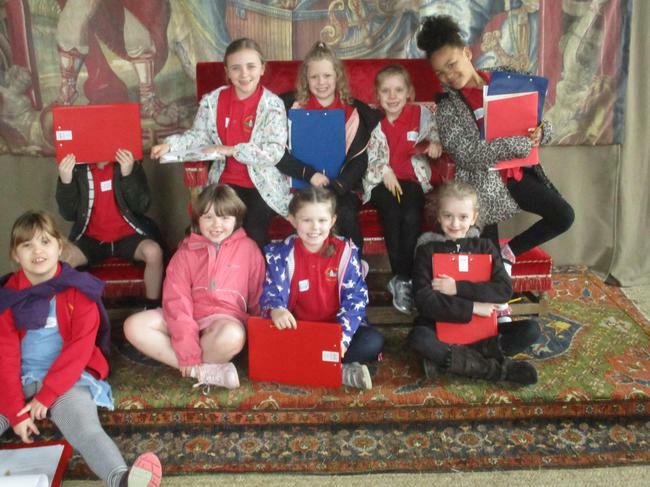 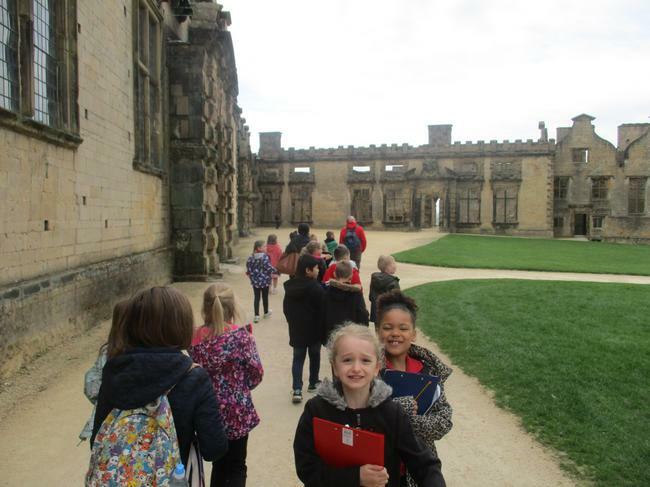 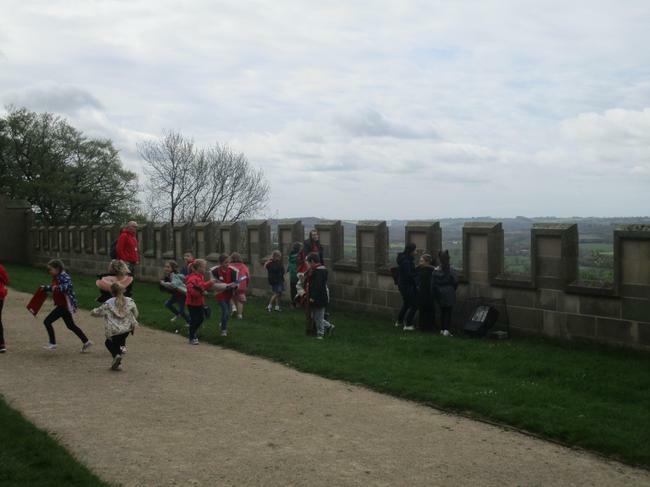 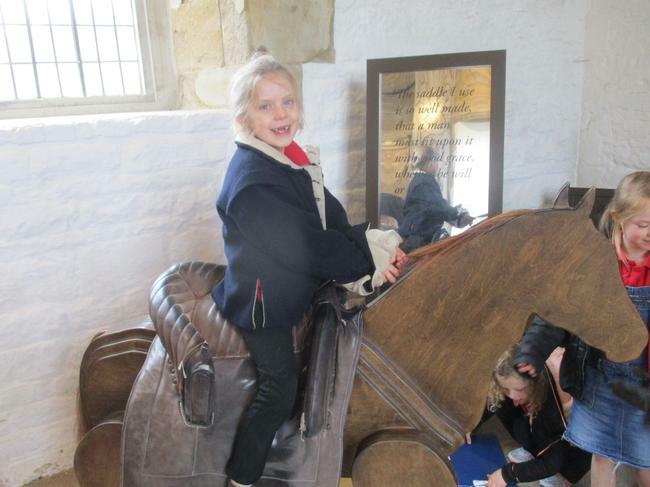 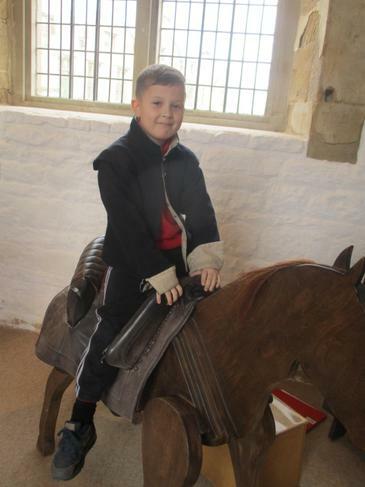 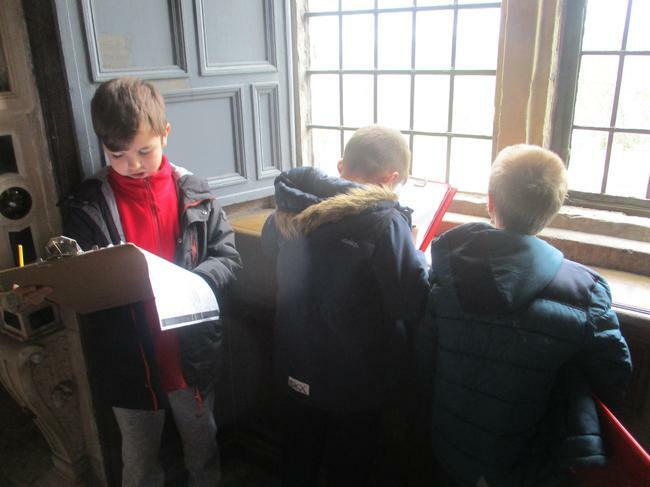 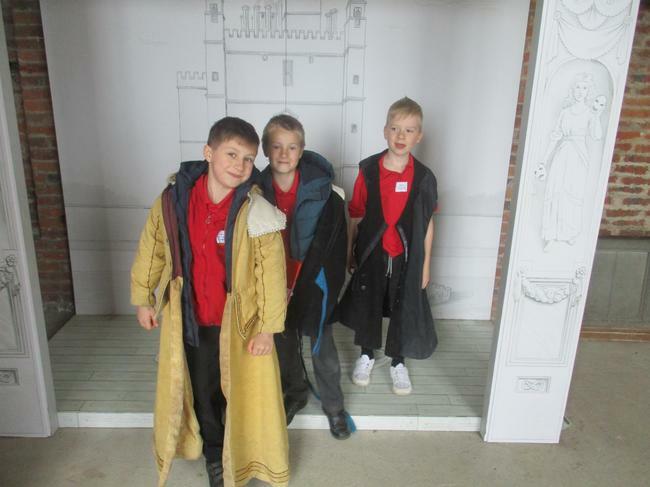 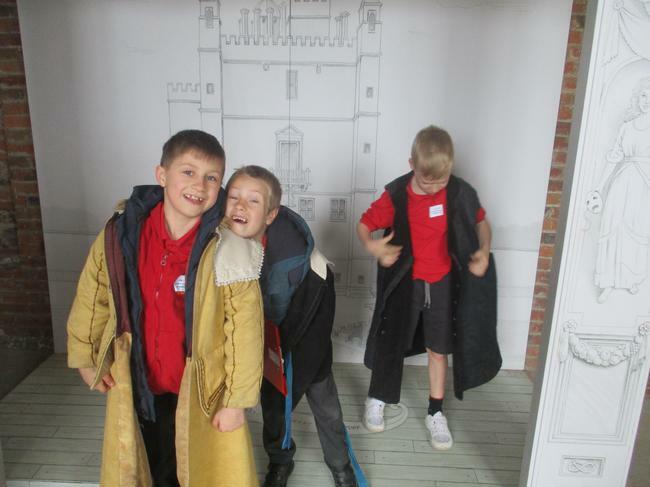 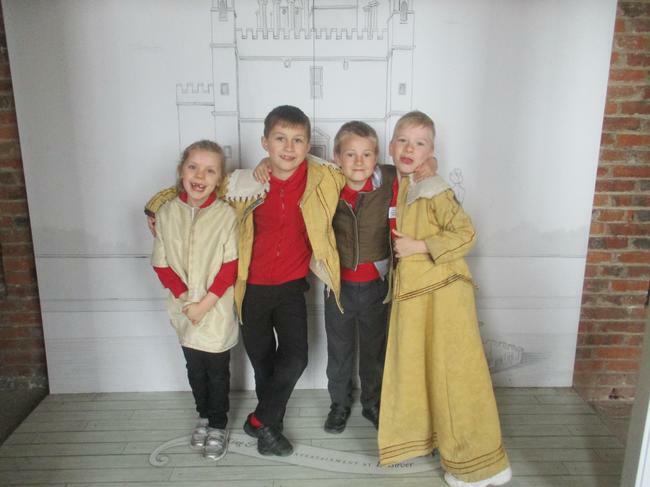 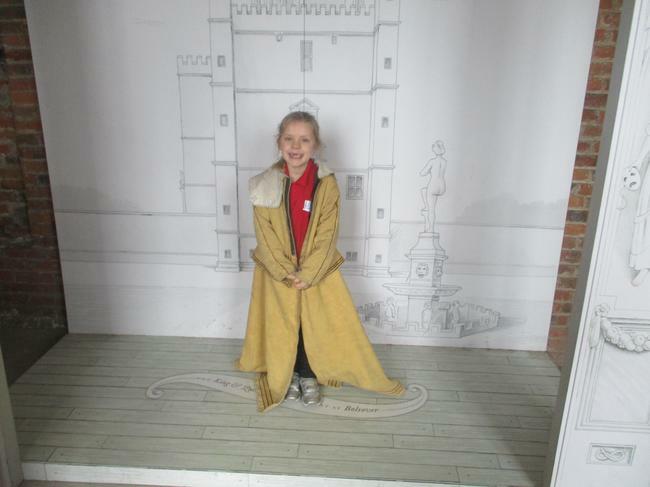 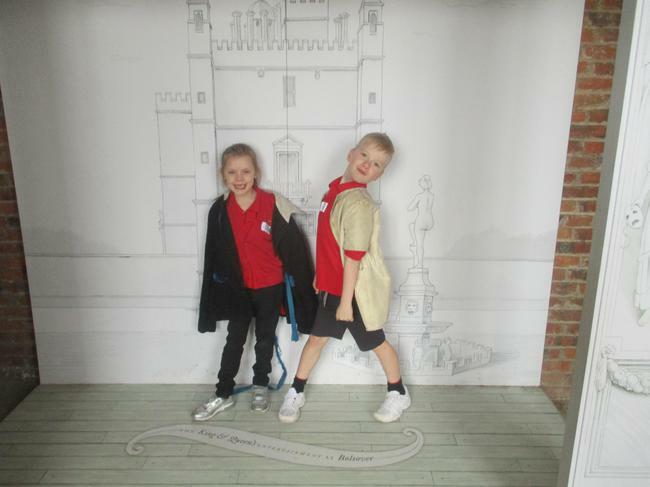 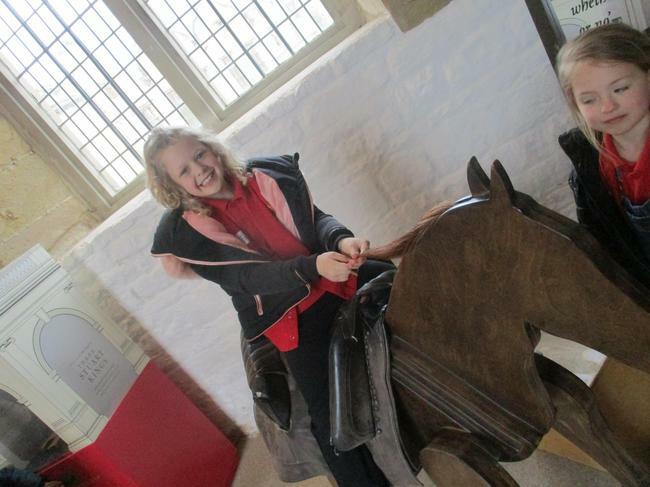 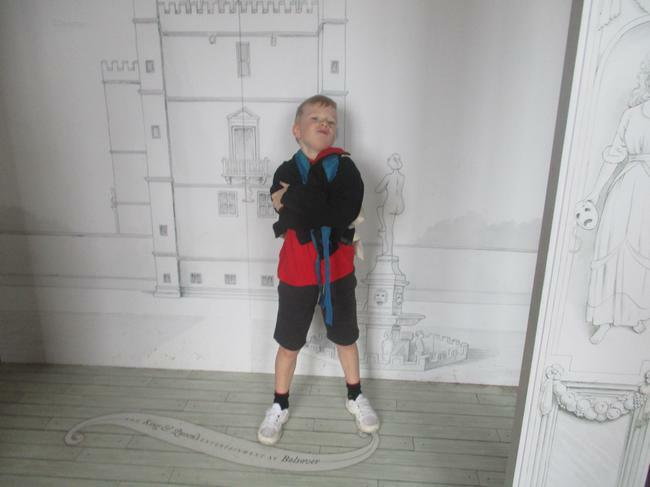 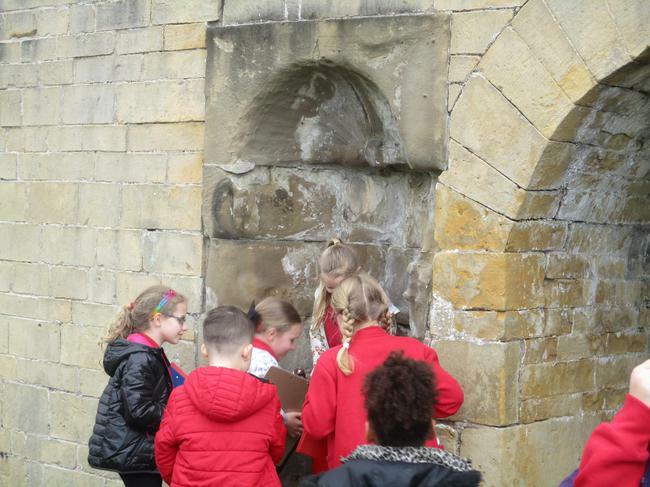 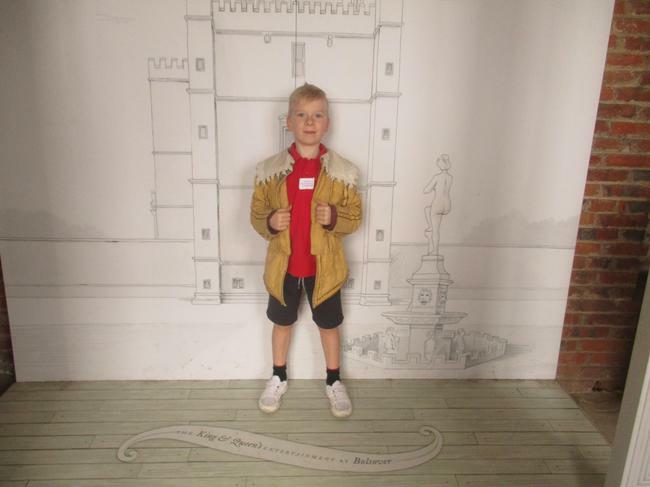 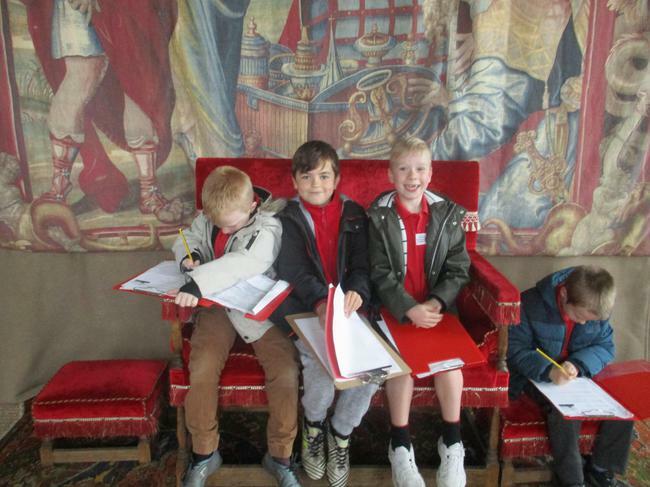 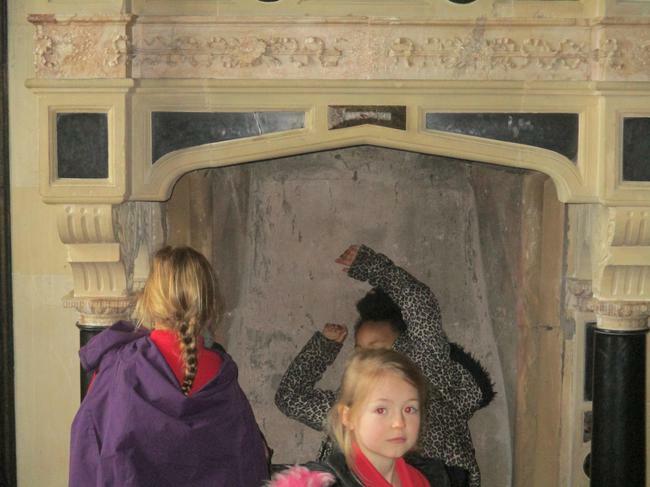 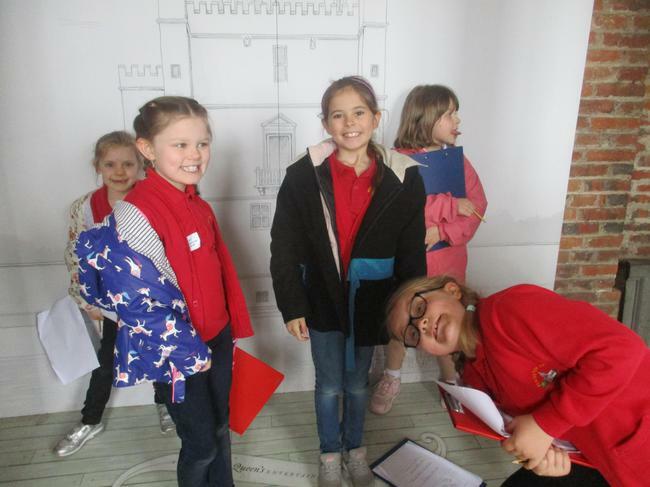 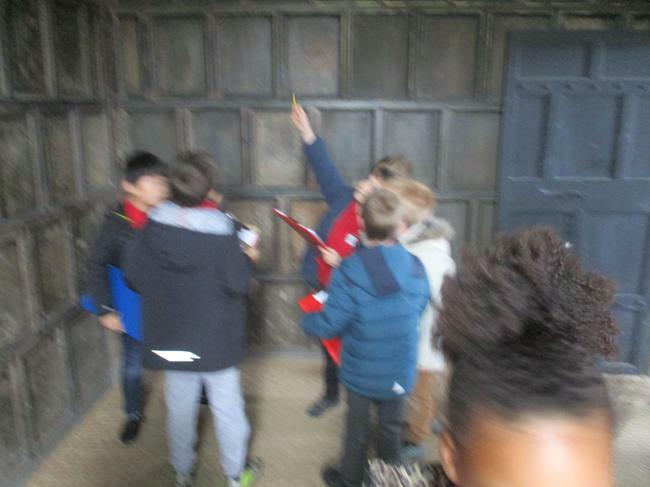 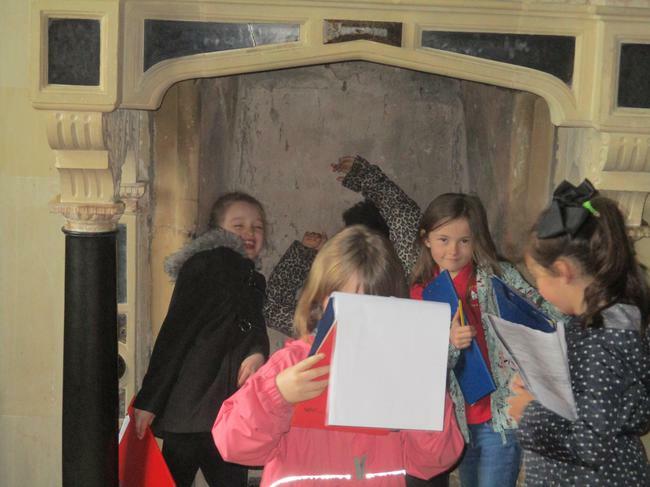 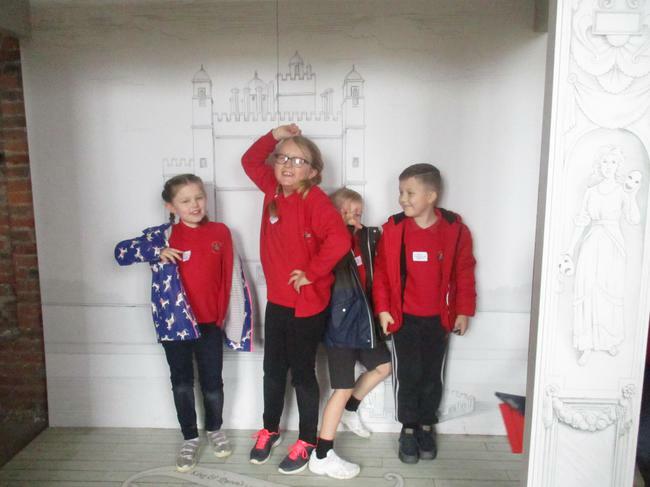 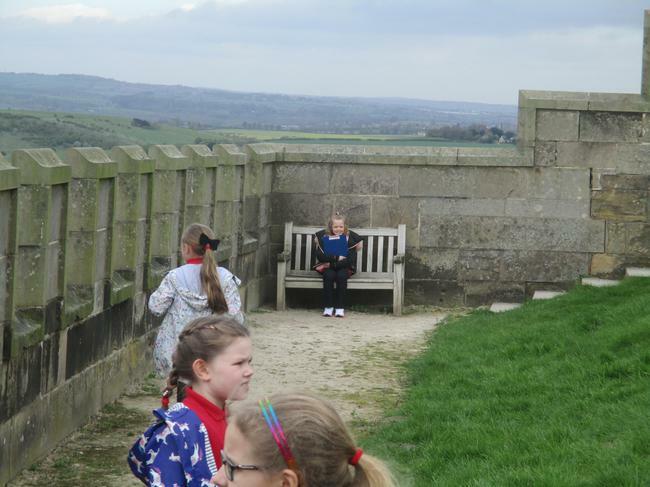 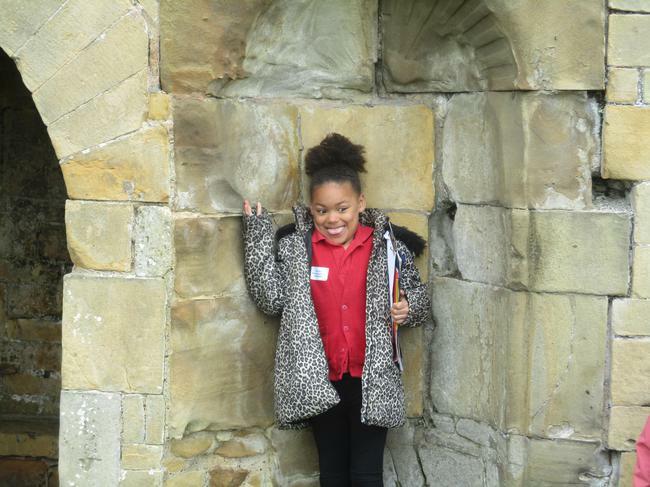 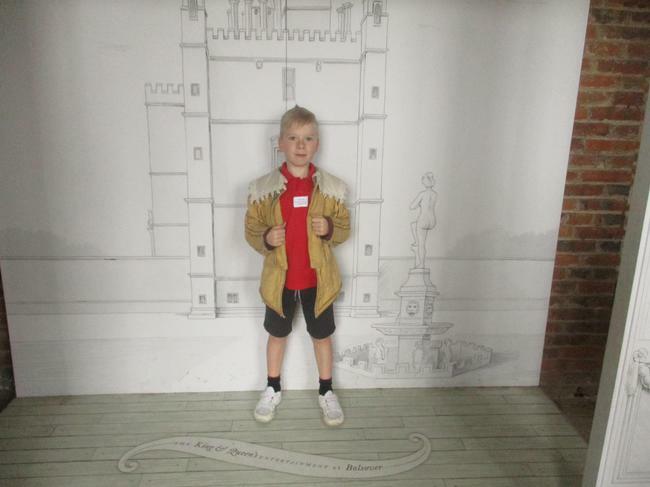 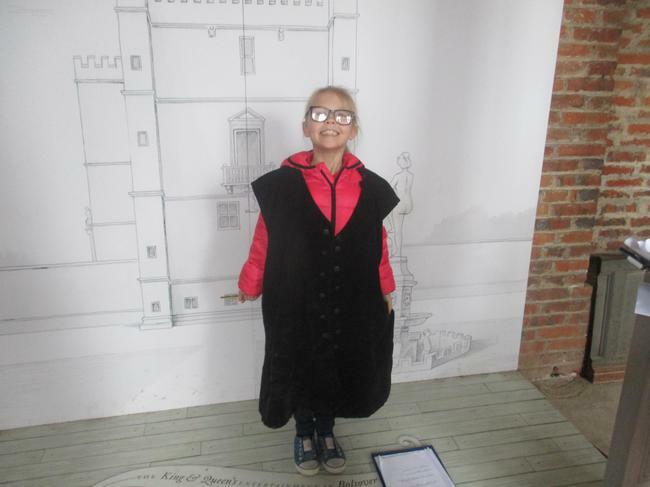 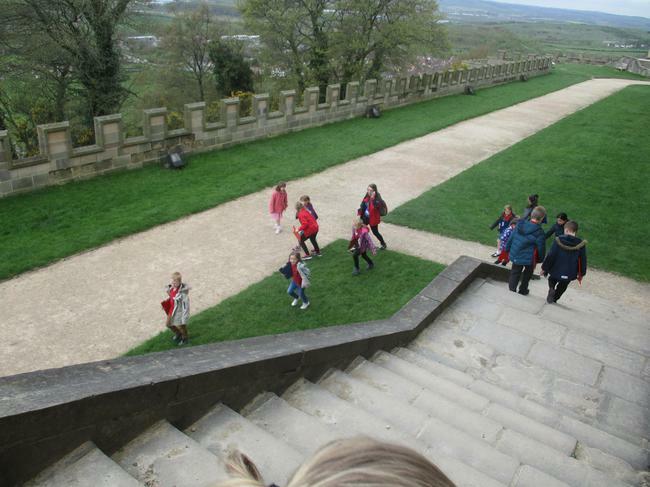 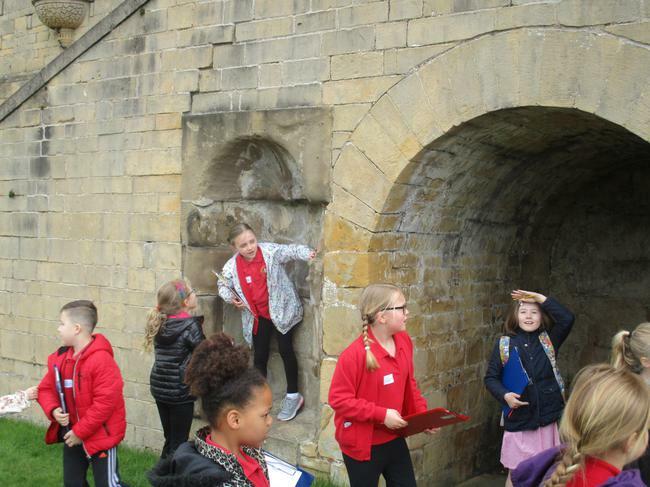 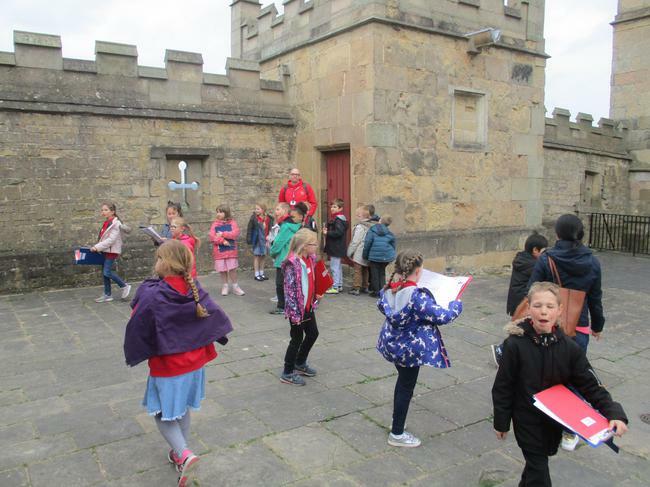 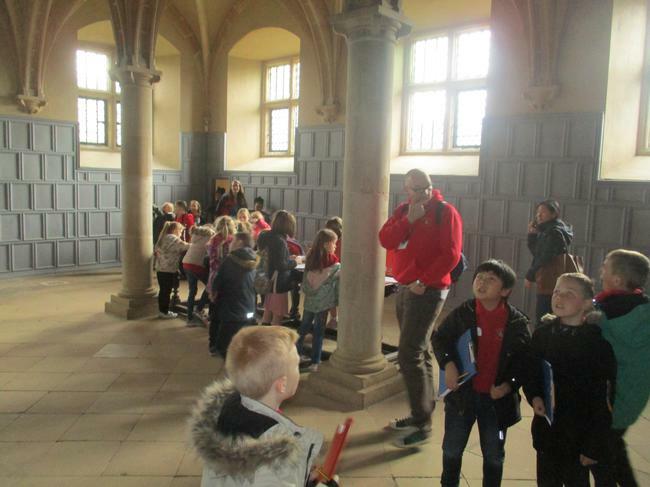 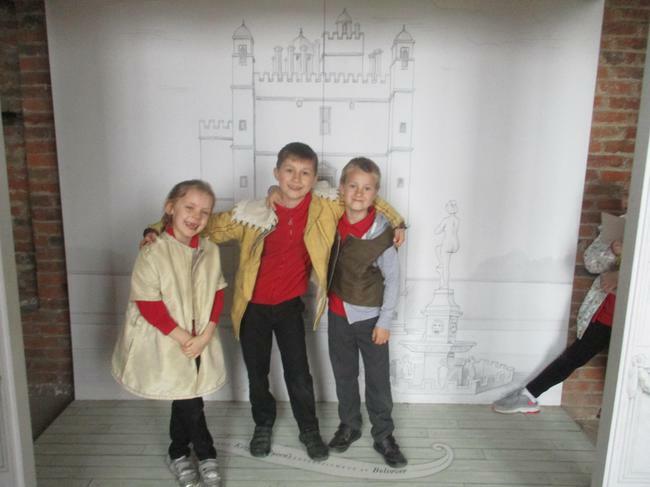 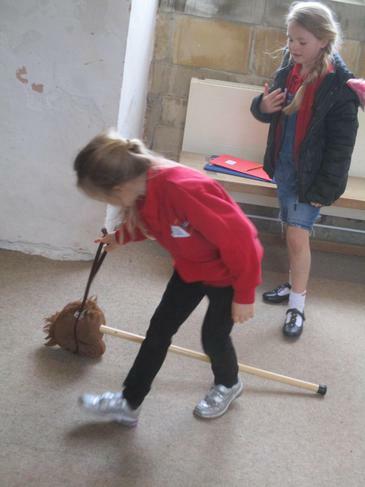 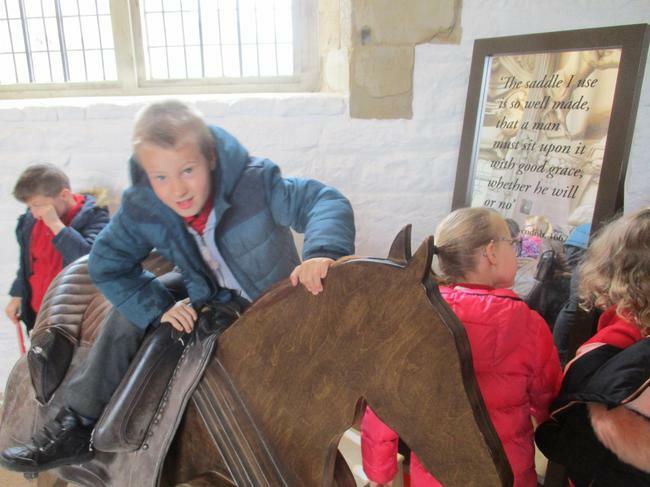 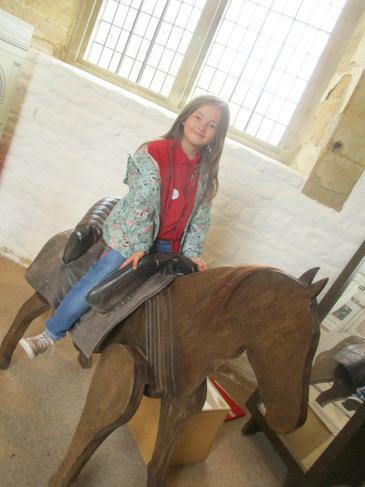 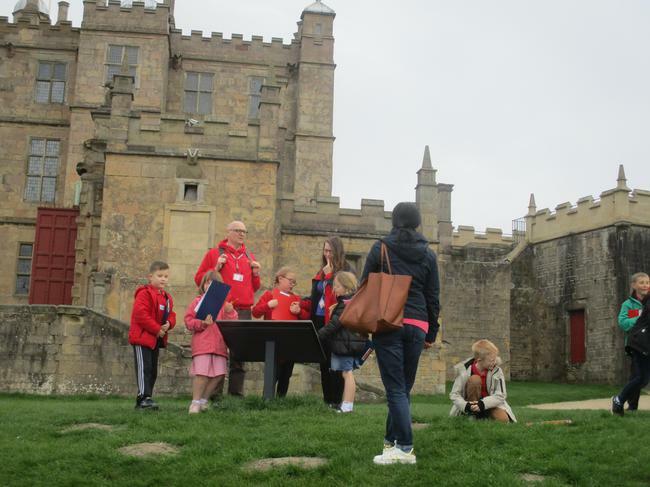 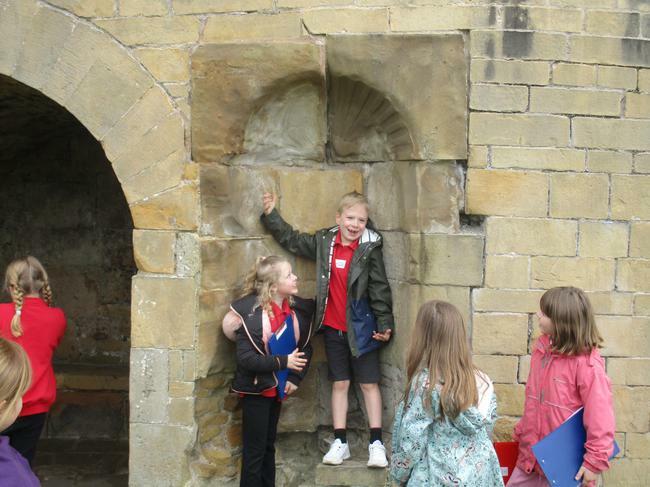 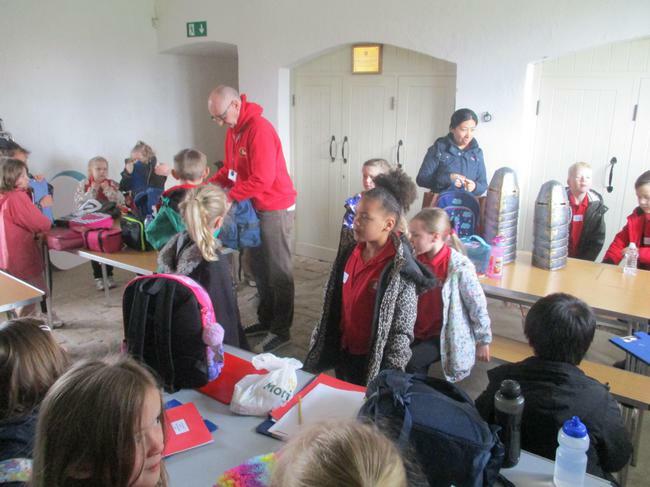 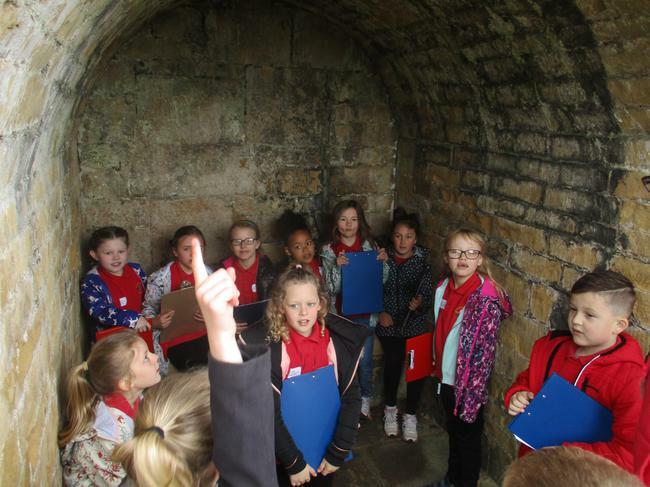 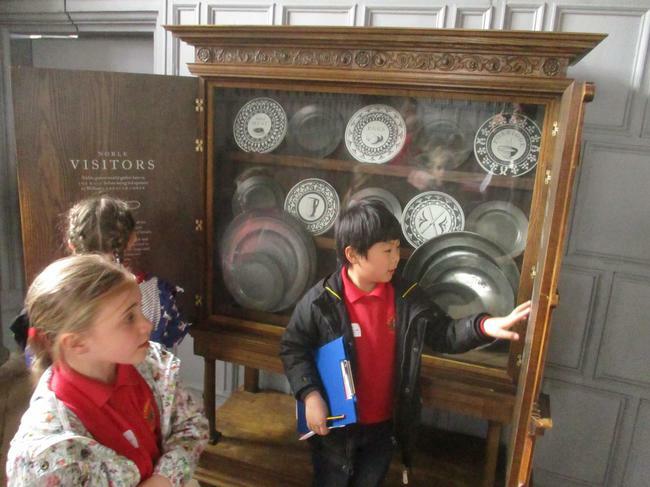 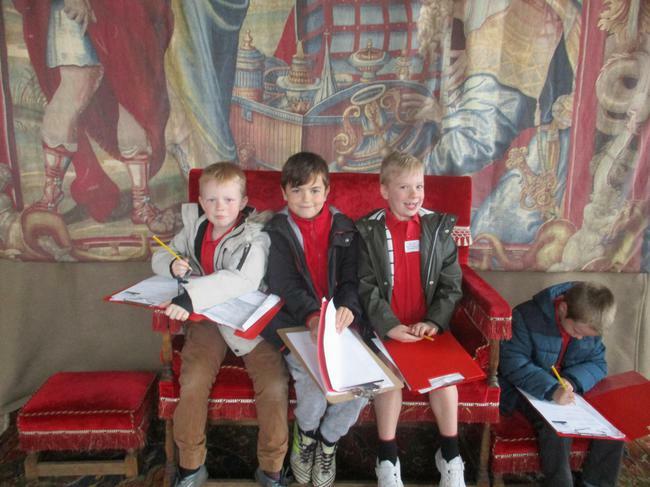 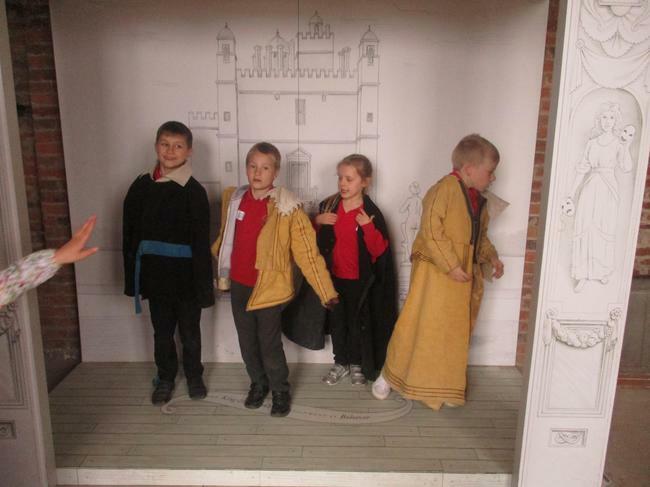 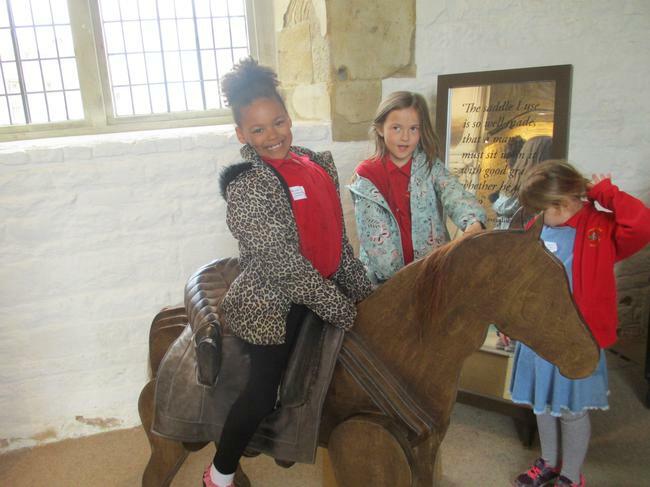 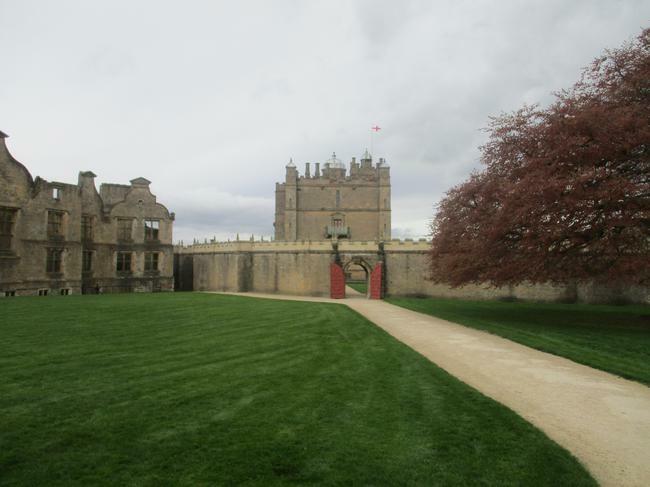 Y3 had a lovely day exploring Bolsover Castle. 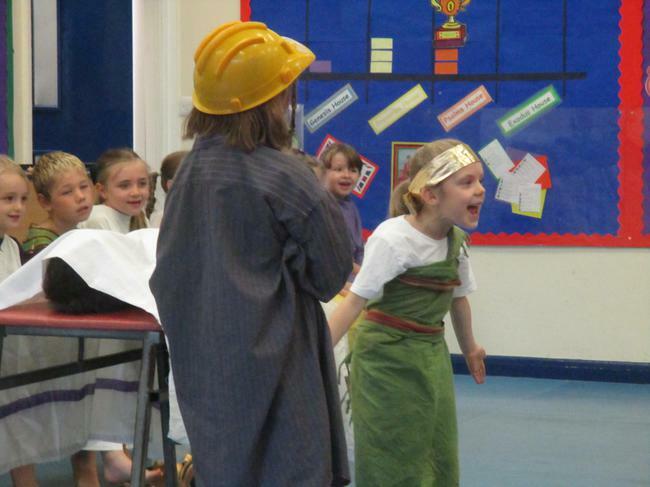 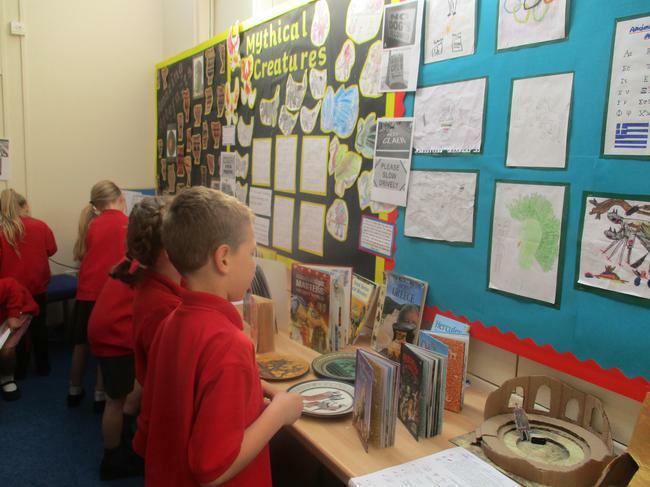 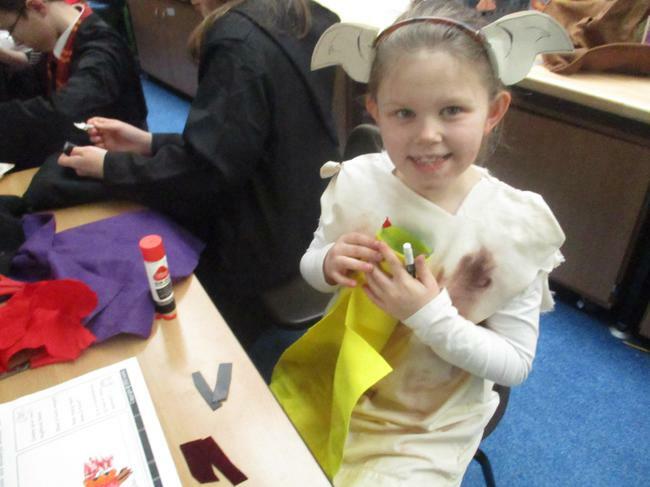 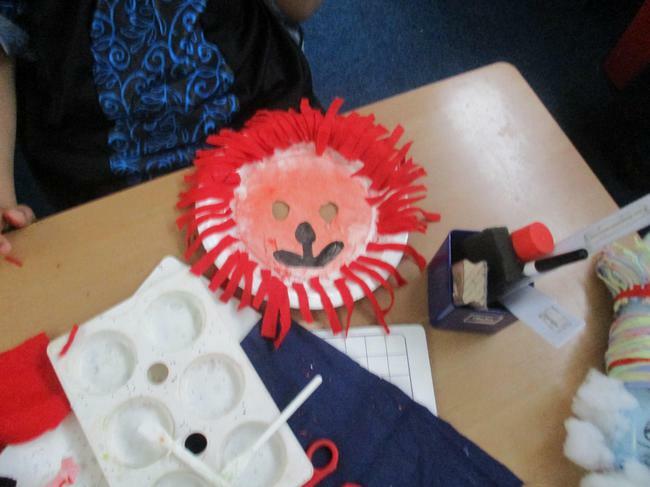 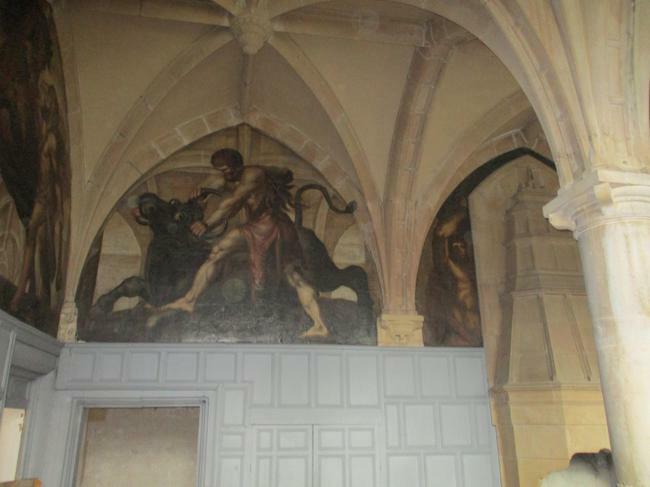 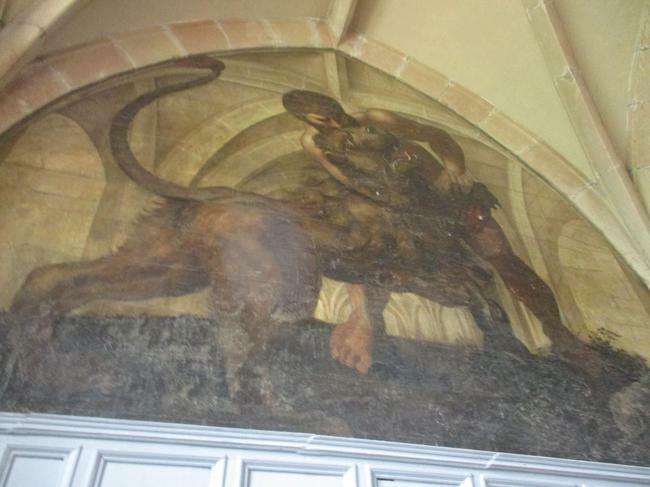 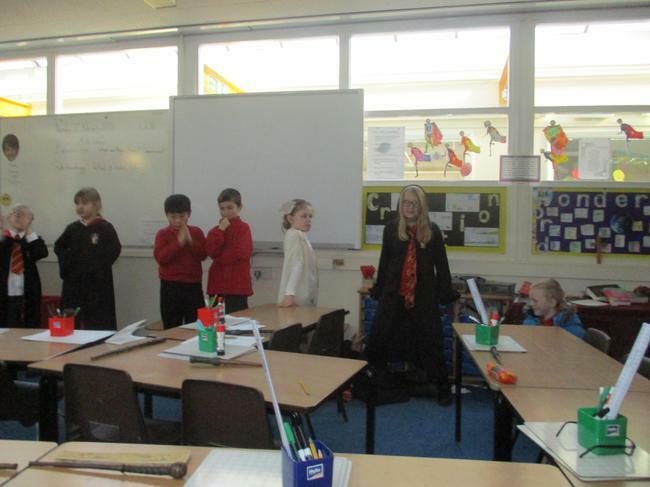 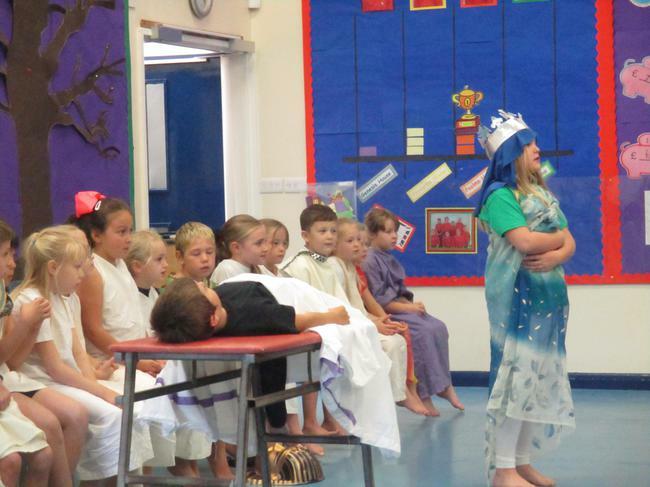 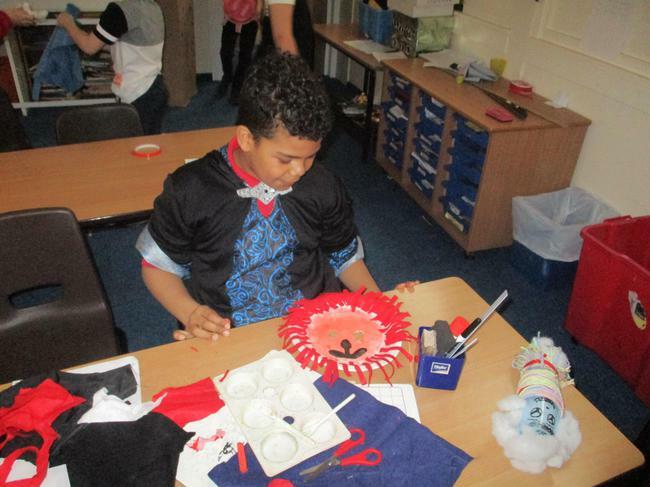 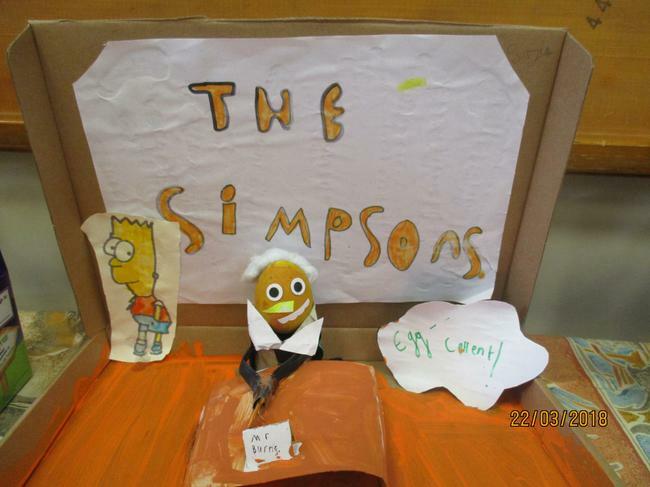 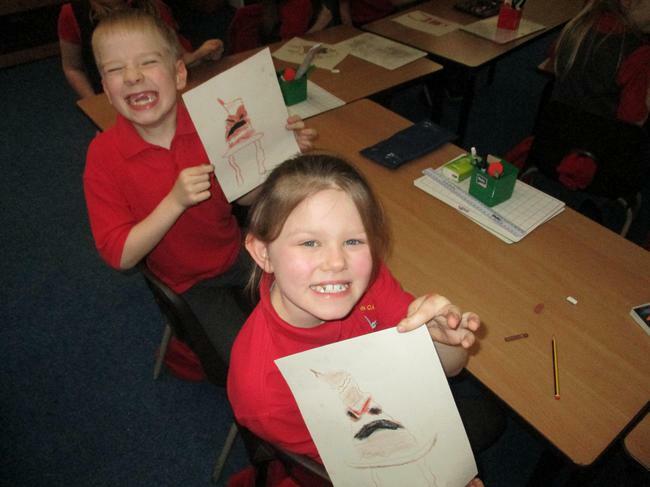 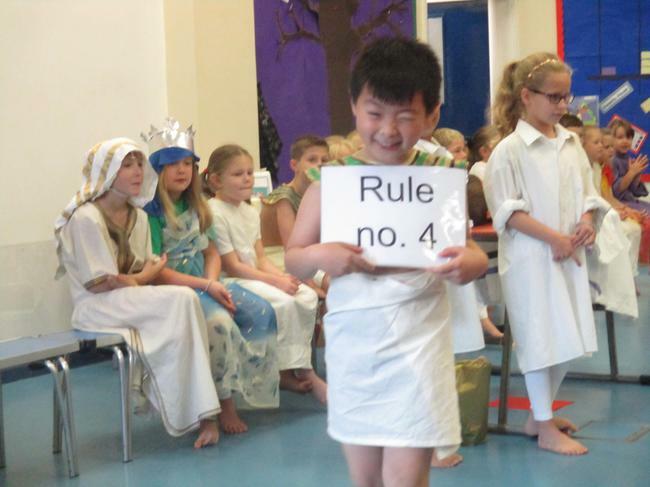 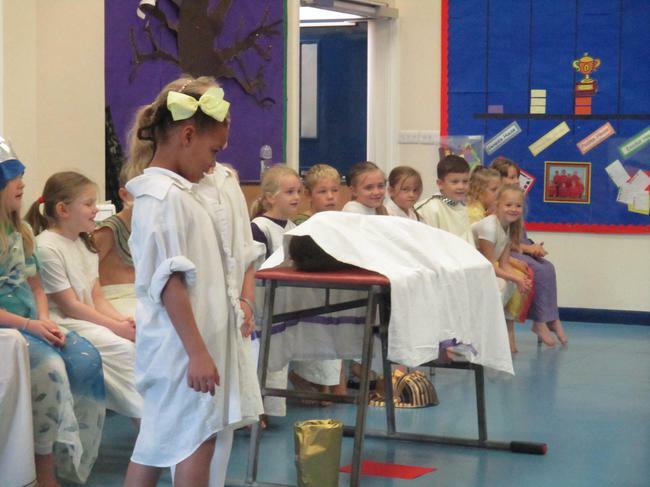 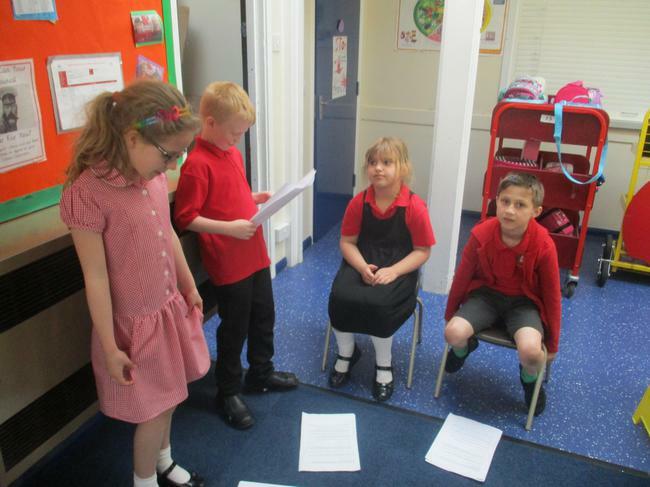 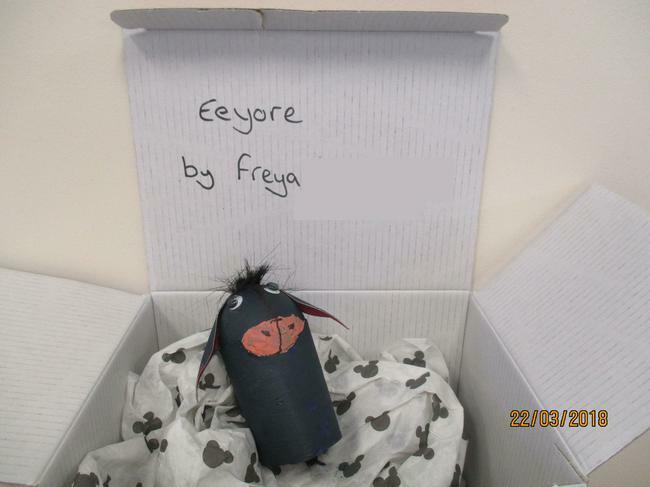 This term the children's topic is Ancient Greece and Greek mythology. 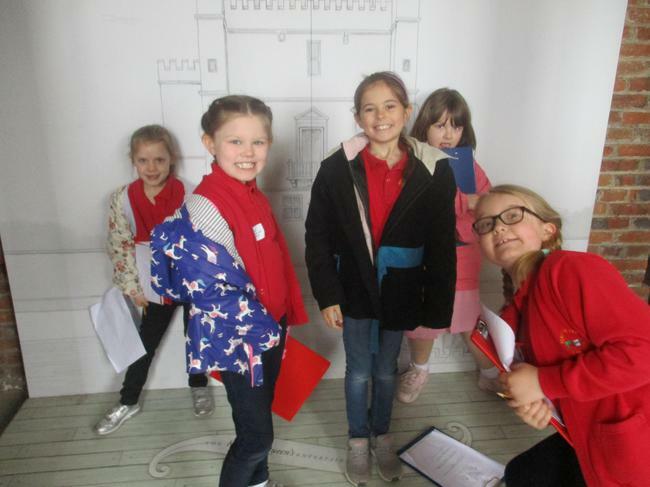 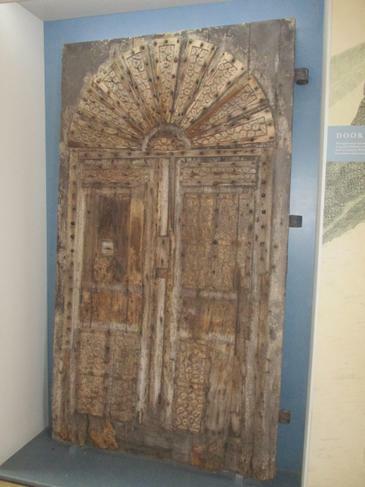 We will be examining the history, mythical legends, art, architecture, thought and inventions from this fascinating period as well as using it to inspire our own myths, legends, play-scripts and artwork. 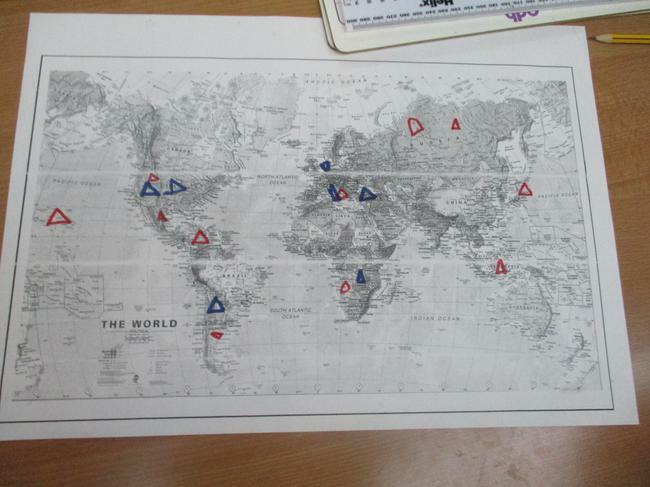 Attached is the topic map and the homework grid for this term. 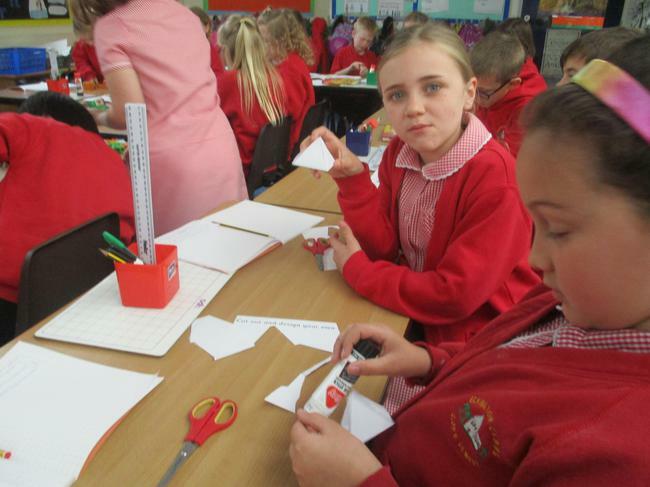 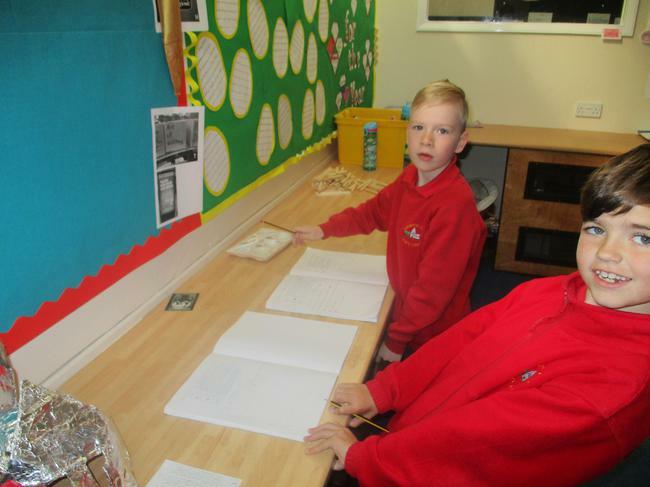 Maths and SPaG homework will continue to be given to the children throughout the term. 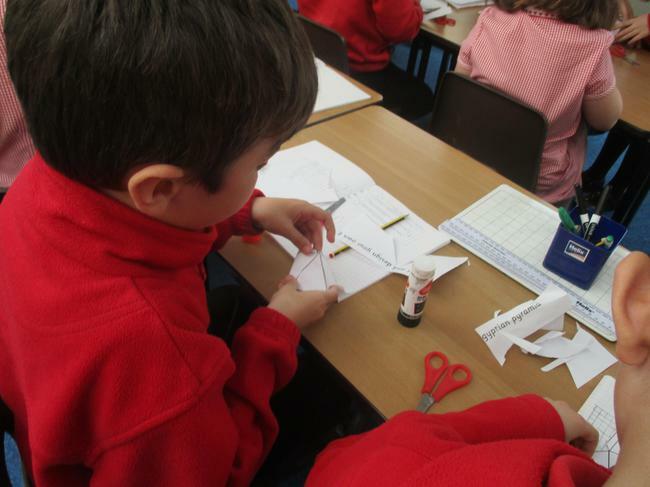 Maths homework will predominantly be paper-based and given out on a weekly basis. 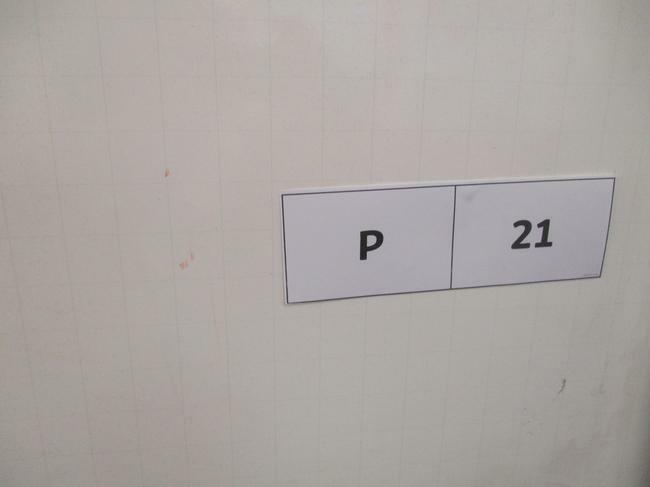 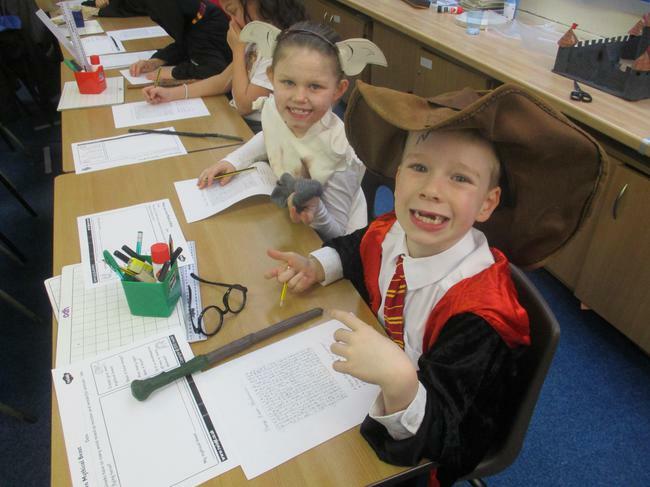 The SPaG tests will be given when a new concept is taught although attack spellings are of course an on-going homework. 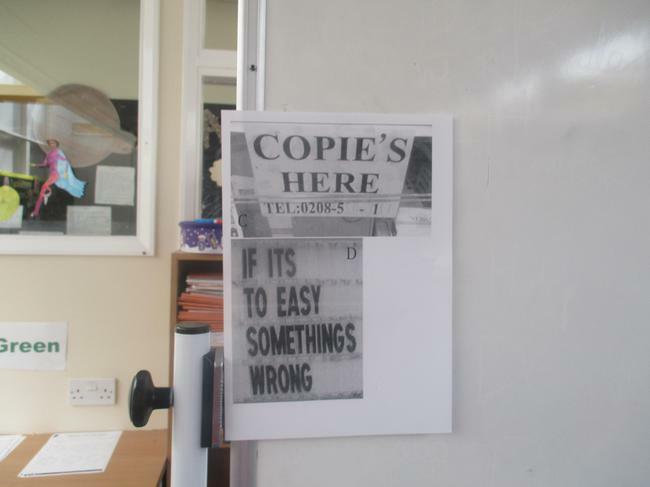 As always, if you have any queries please do not hesitate to come and see me. 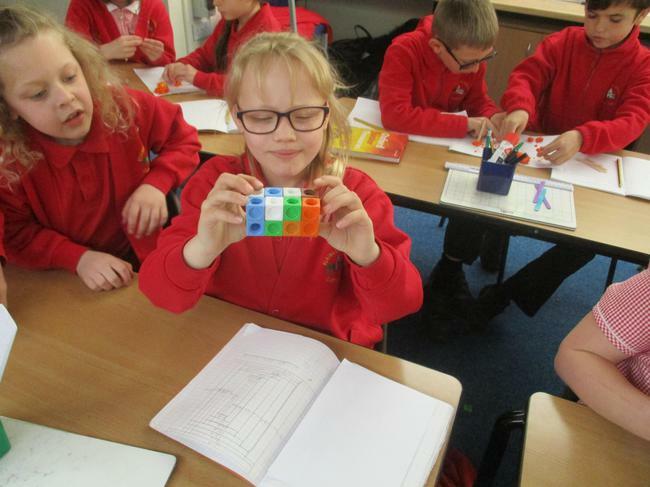 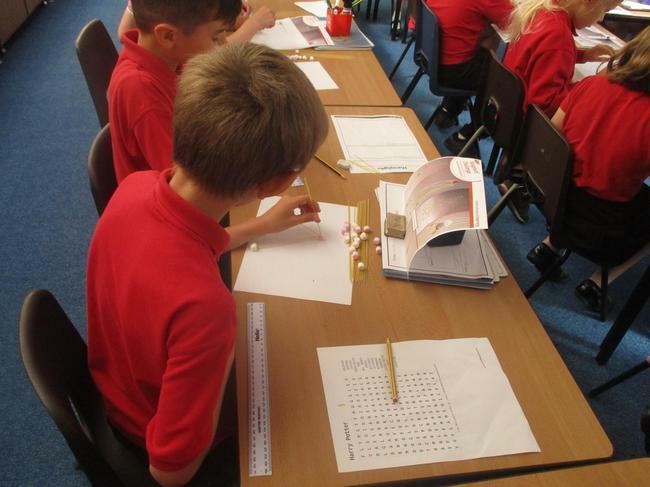 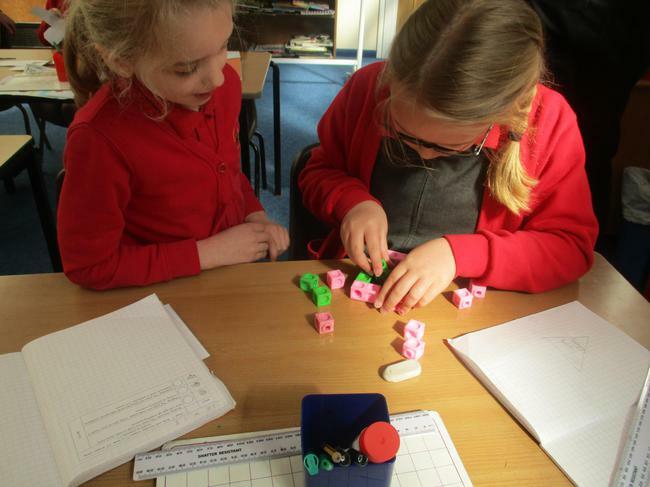 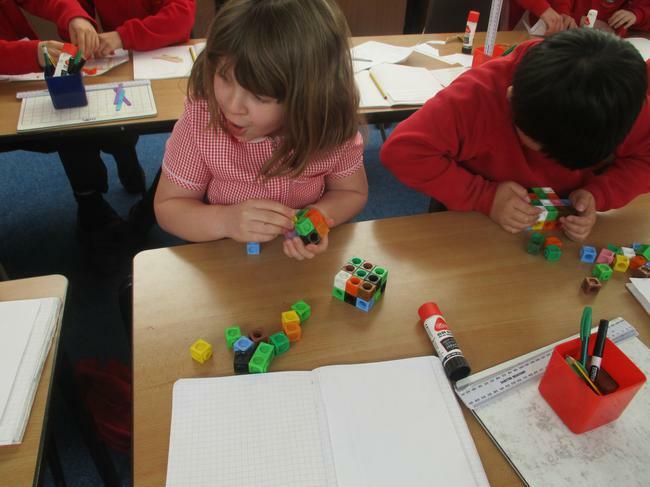 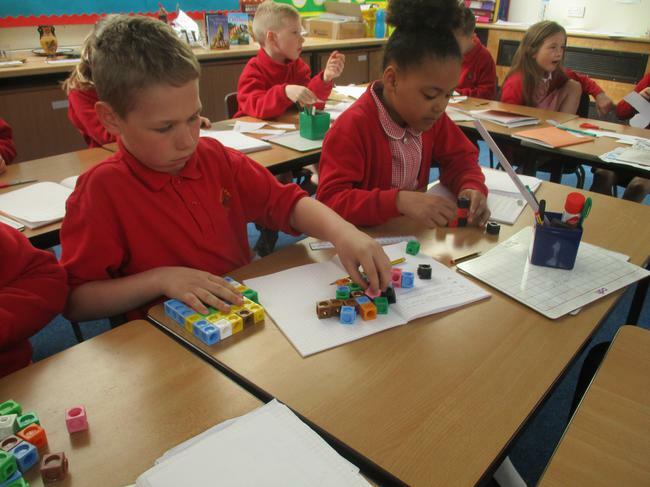 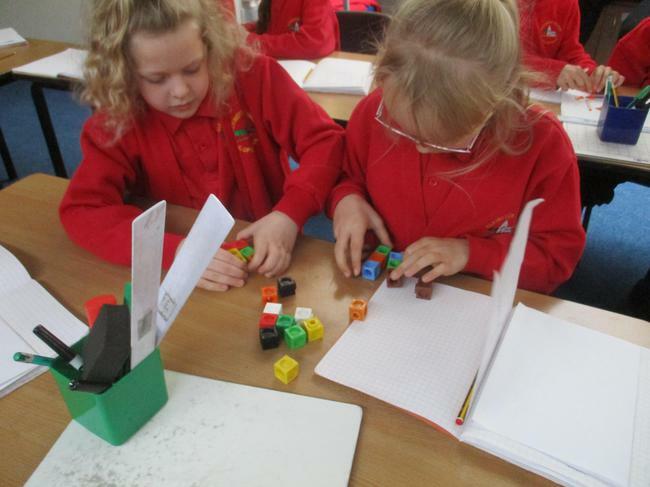 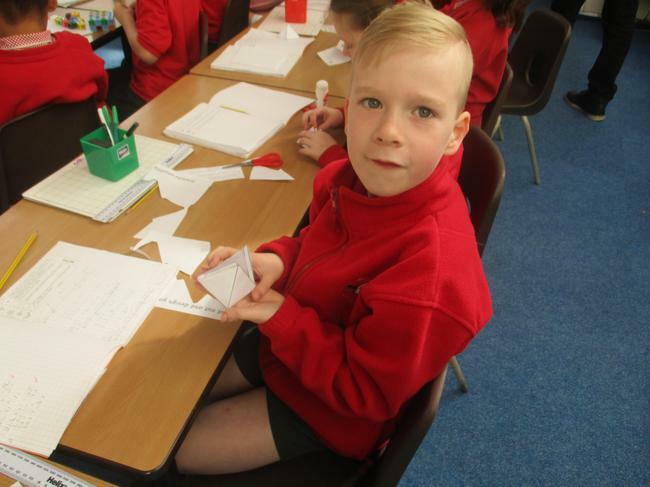 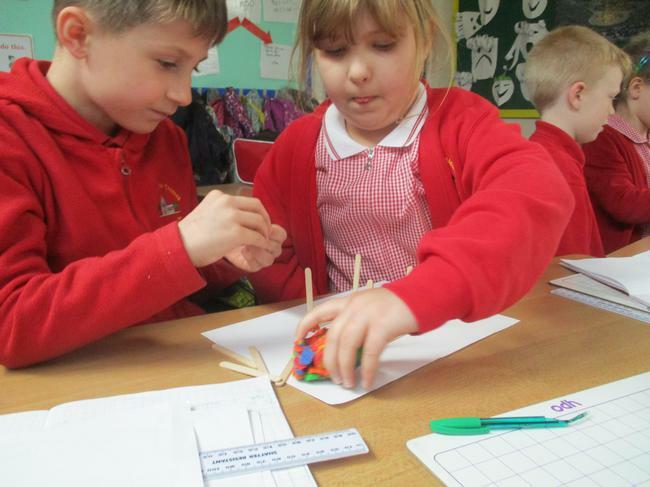 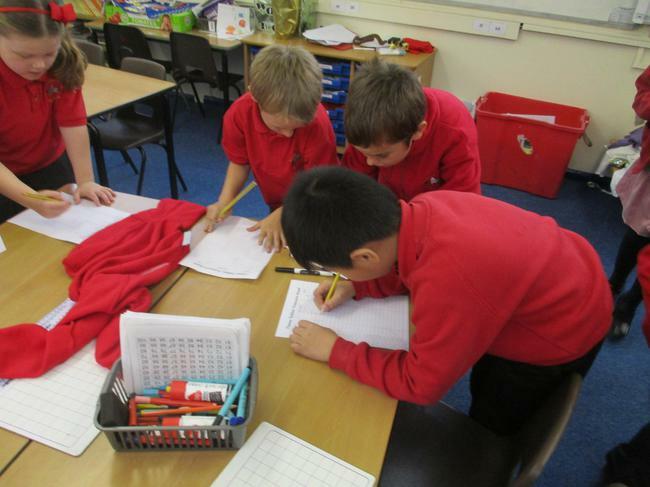 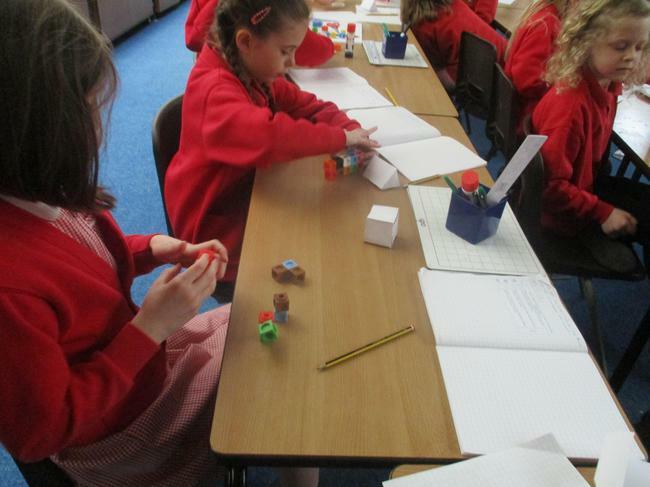 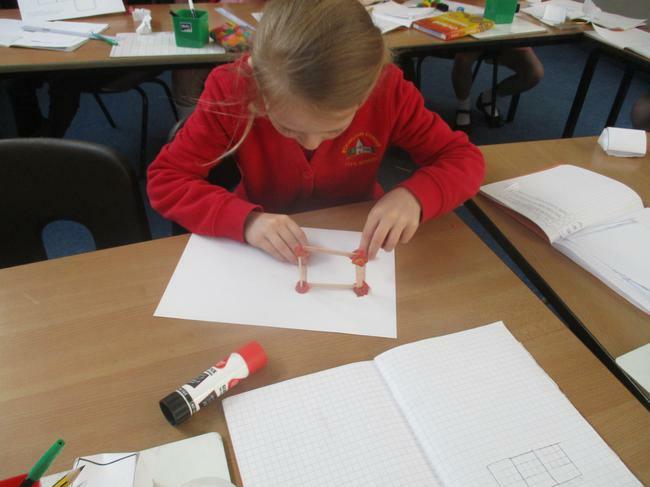 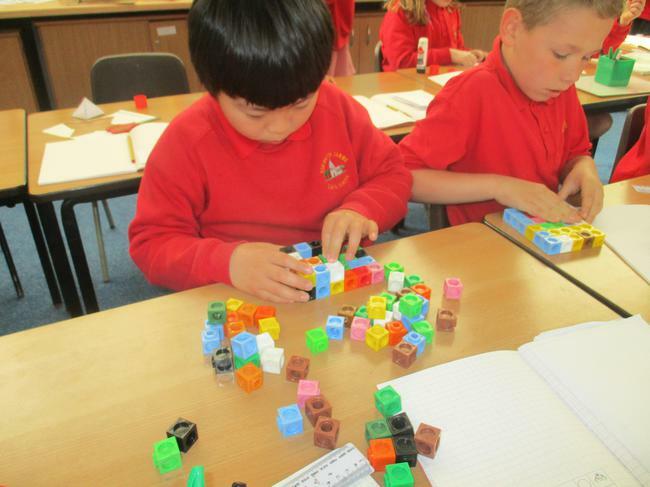 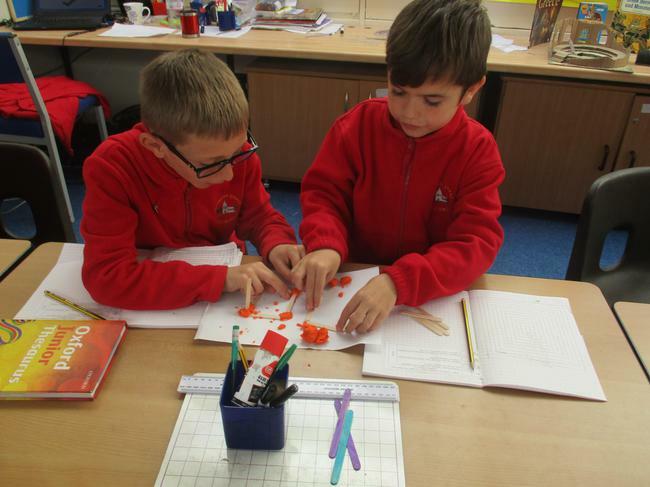 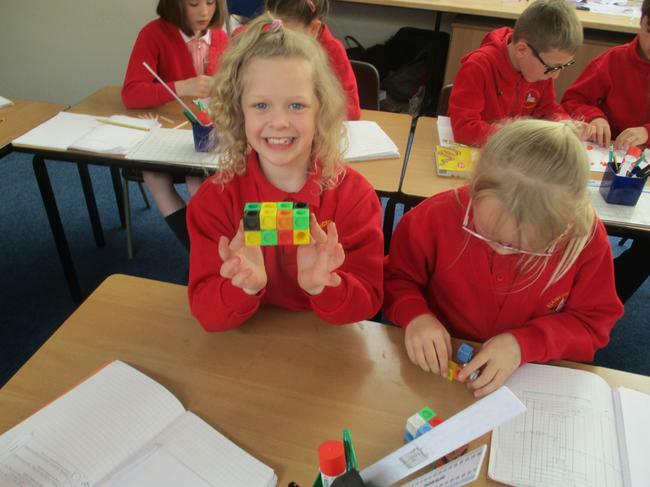 It is vital that the children develop fast recall of their times tables to enable them to be competent mathematicians in various areas of maths - for example, fractions. 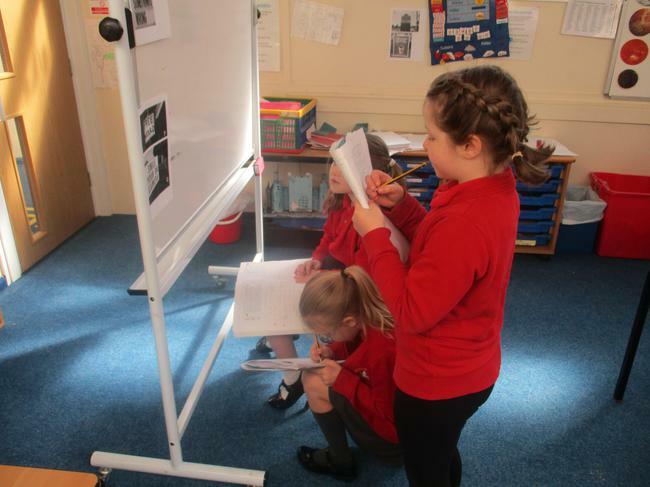 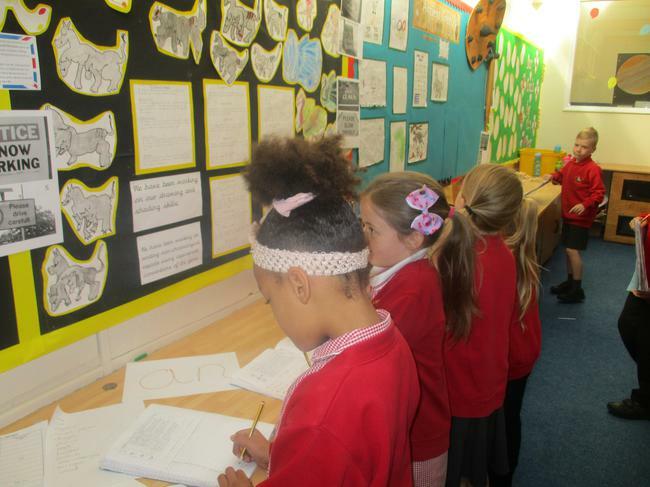 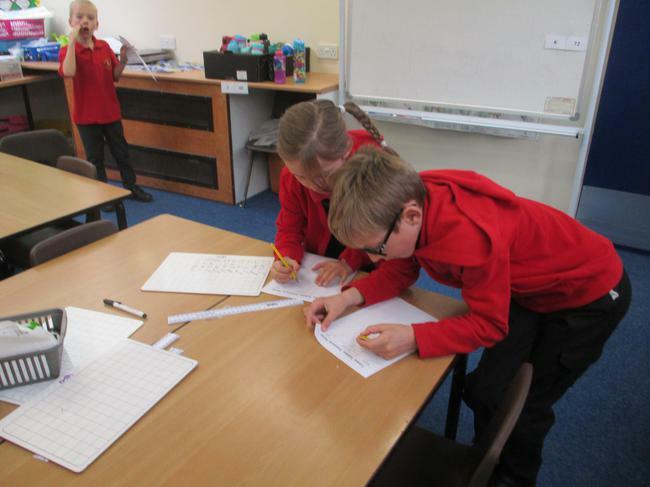 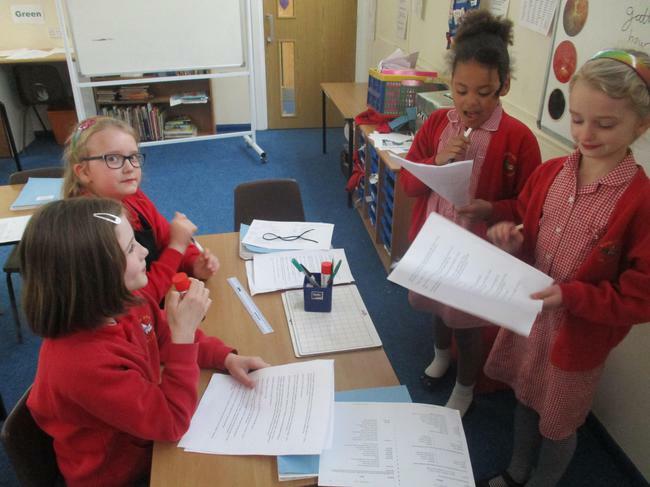 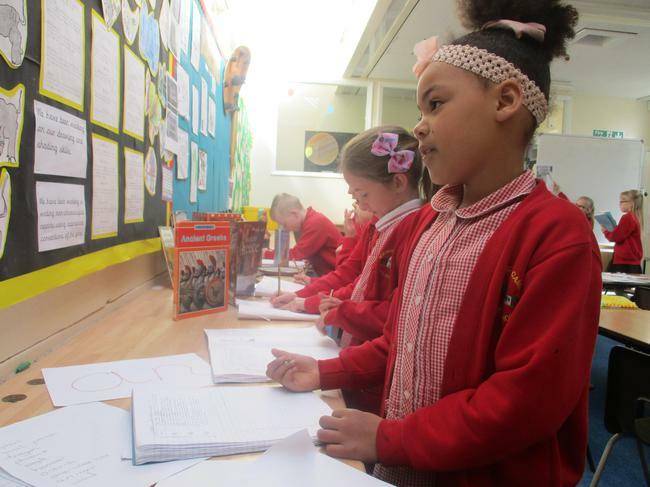 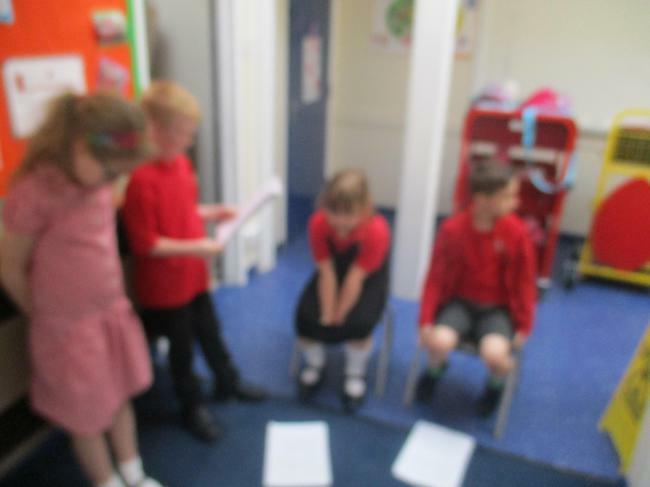 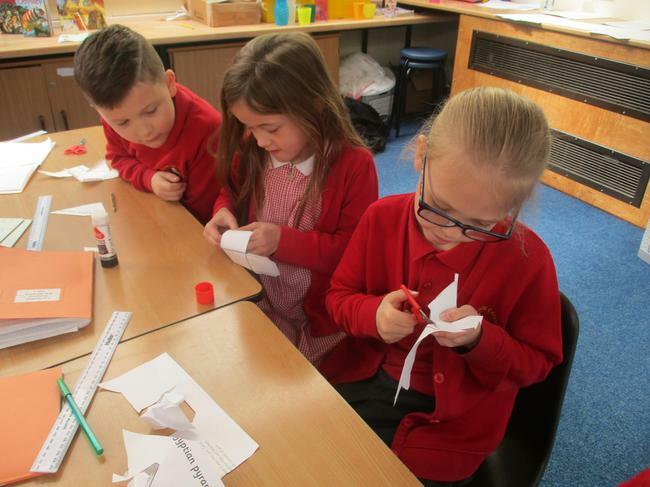 In Y3, we do a daily speed challenge and it has proven beneficial in developing the children's speedy recall of their times tables learnt so far. 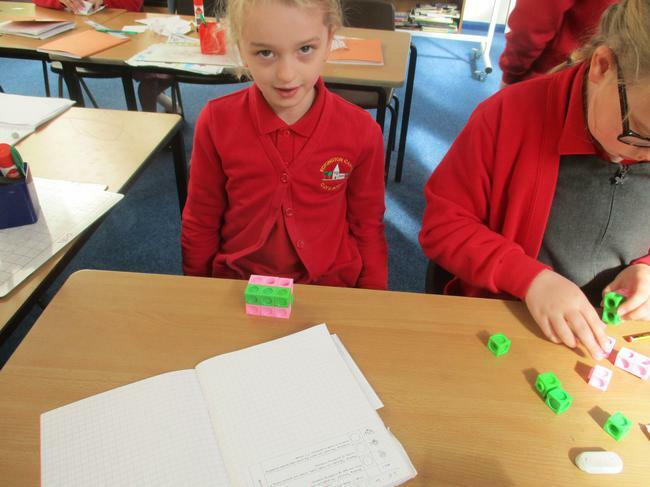 They need to be fluent in their 2s, 3s, 4s, 5s, 8s, 10s by the end of Y3. 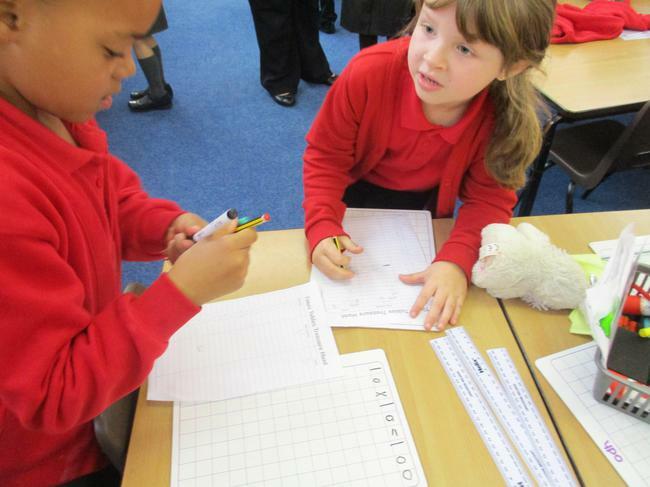 Any additional practice at home will help them to learn these important number facts! 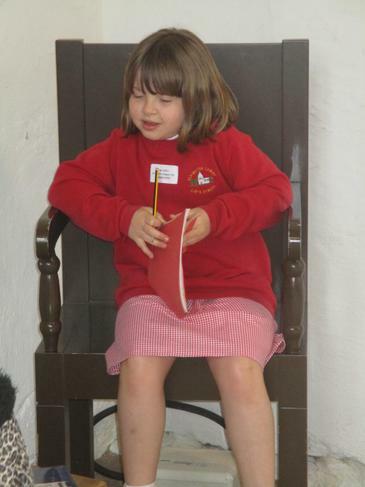 Mia has been working super hard. 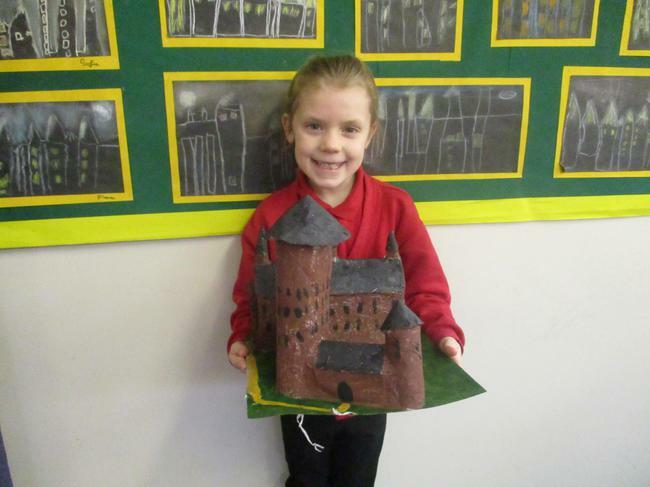 She has created a magnificent castle to display in our classroom. 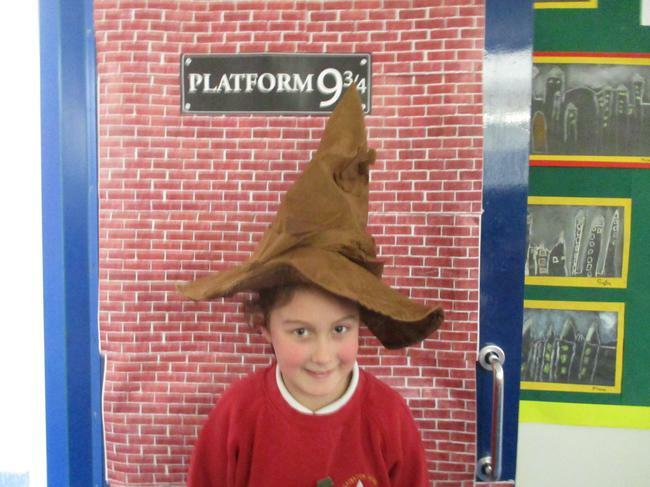 Well done Mia! 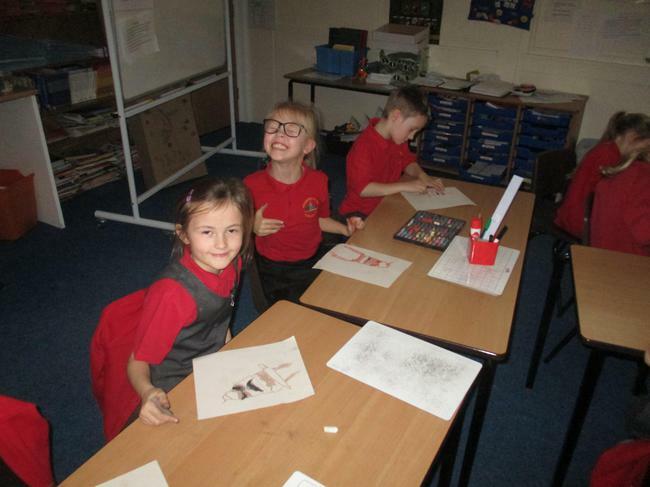 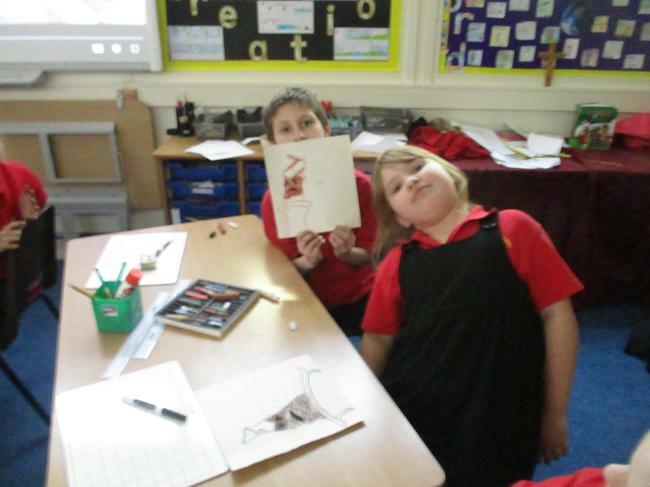 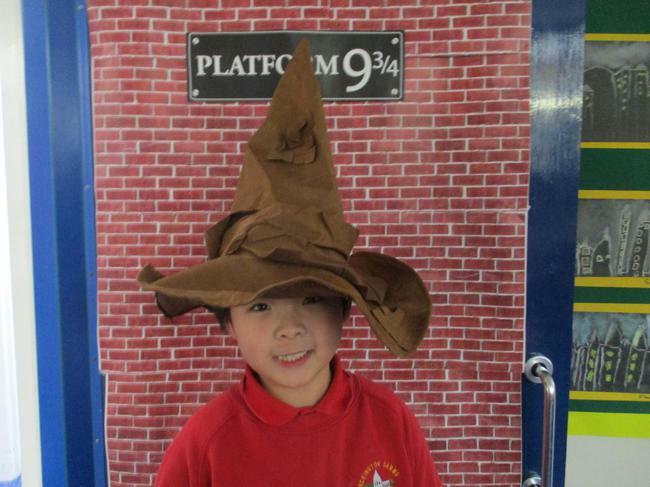 We have been developing our artistic skills by having a go at a challenging `Sorting Hat' picture with chalk and pastels! 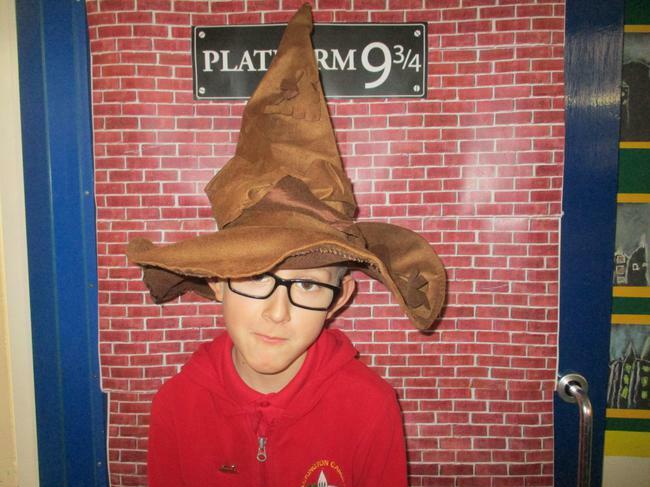 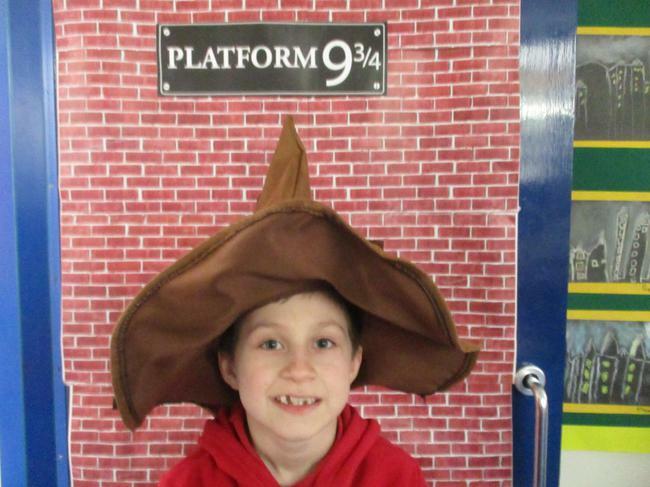 William created a fantastic PowerPoint all about the Harry Potter universe! 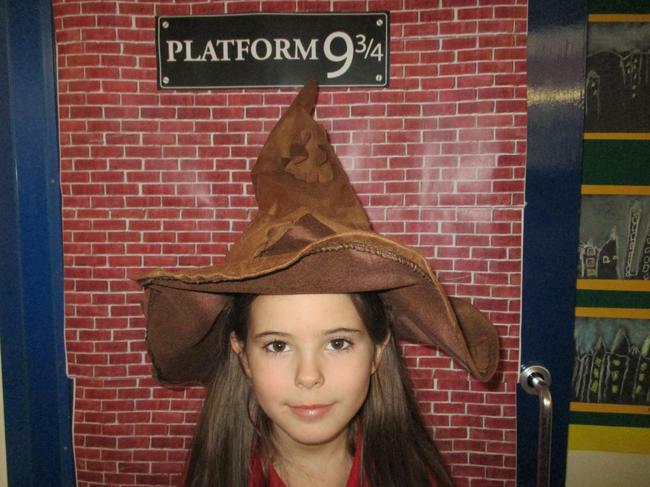 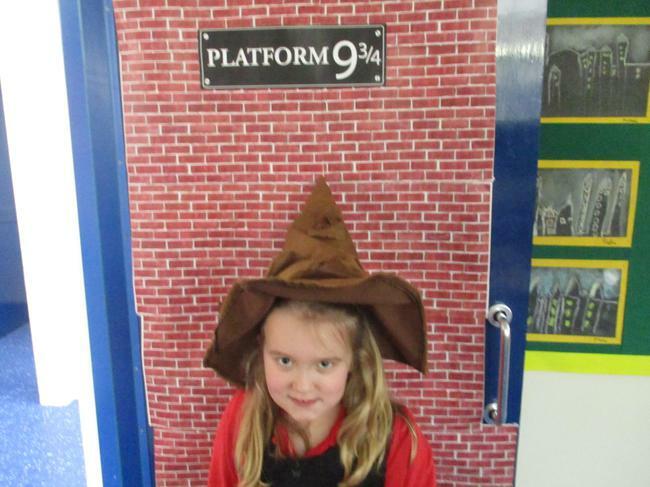 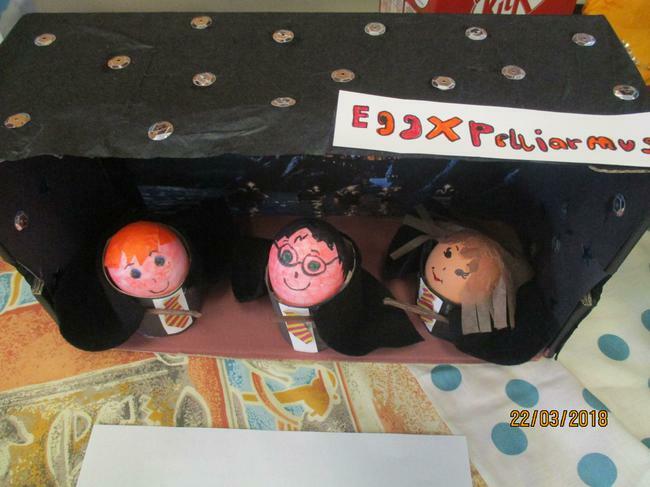 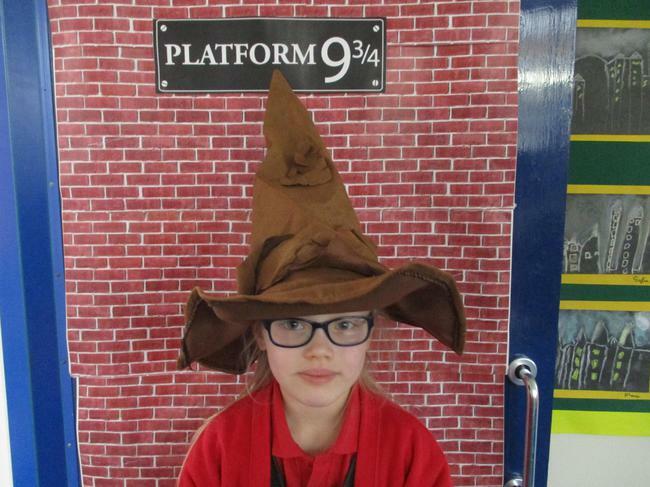 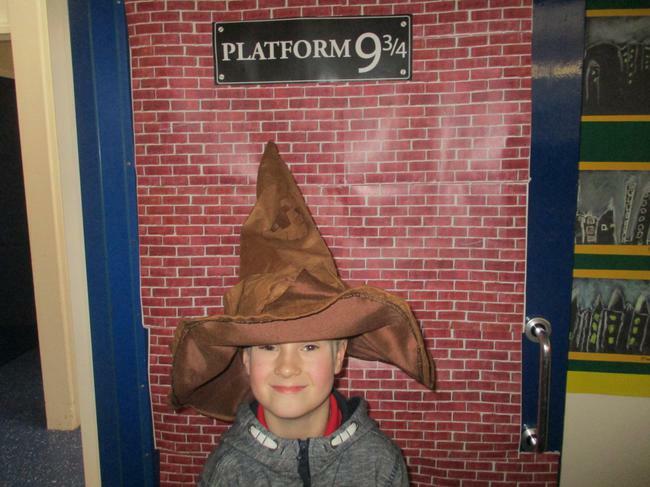 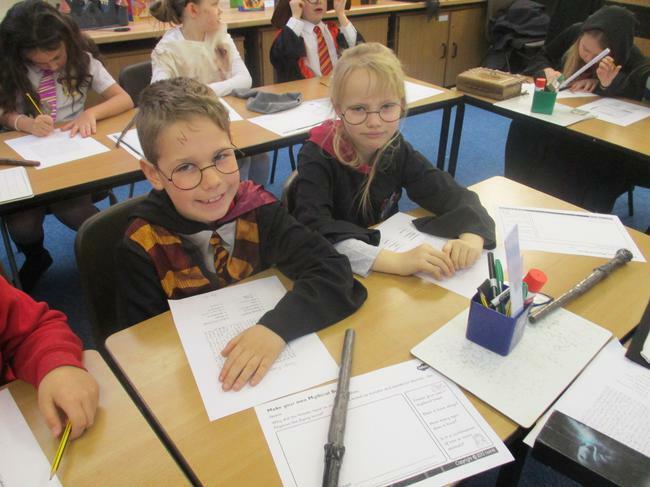 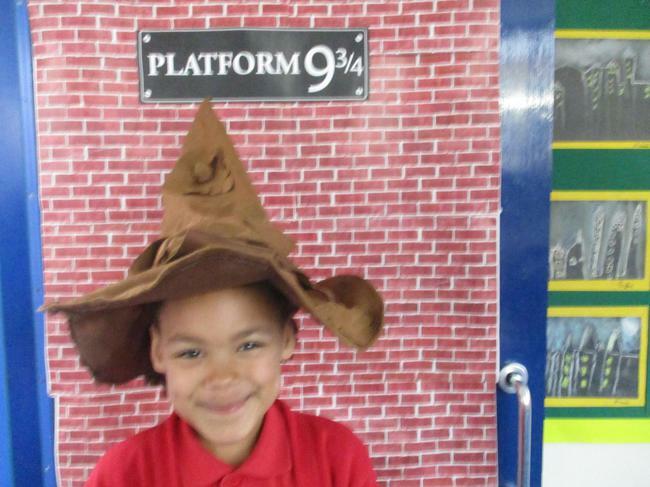 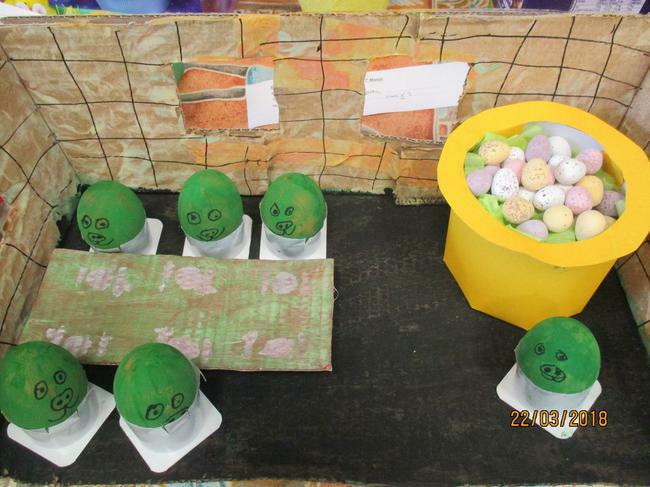 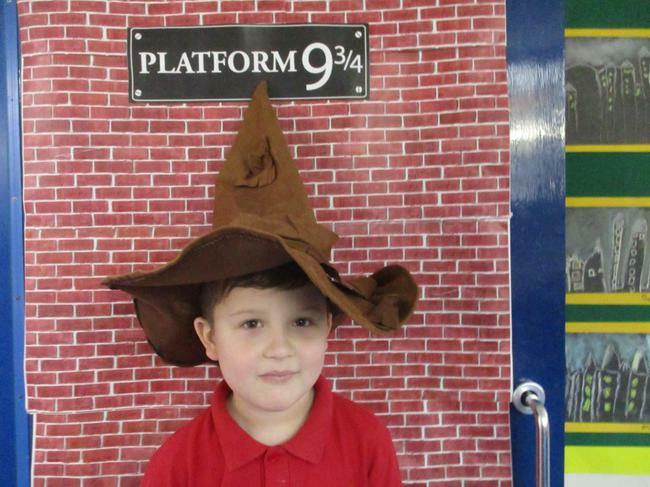 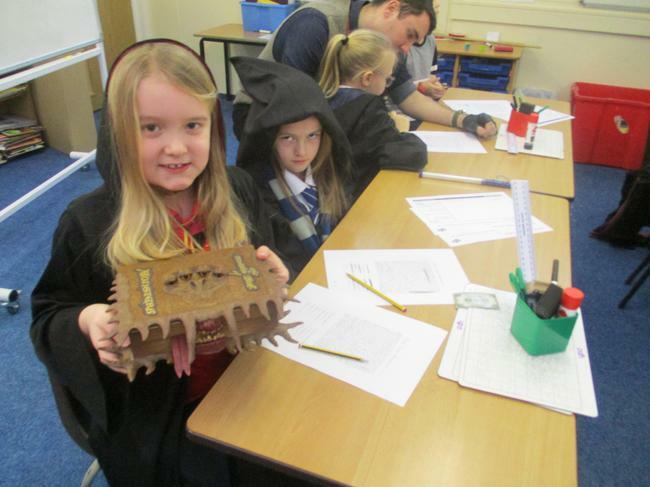 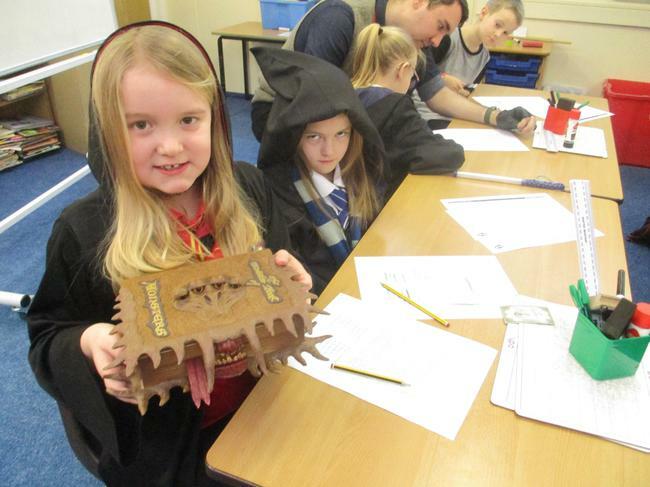 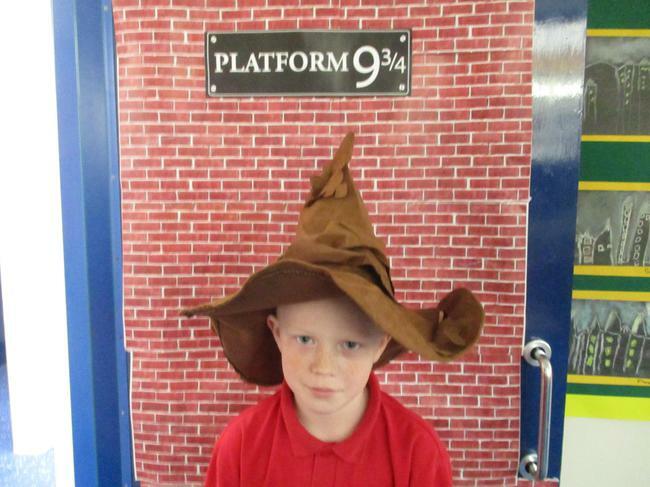 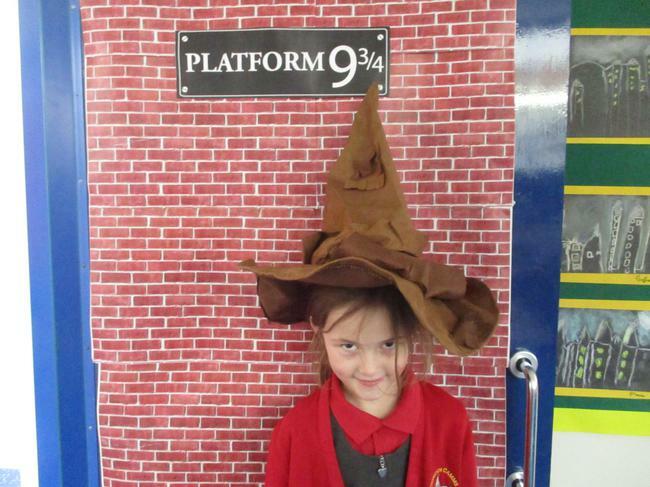 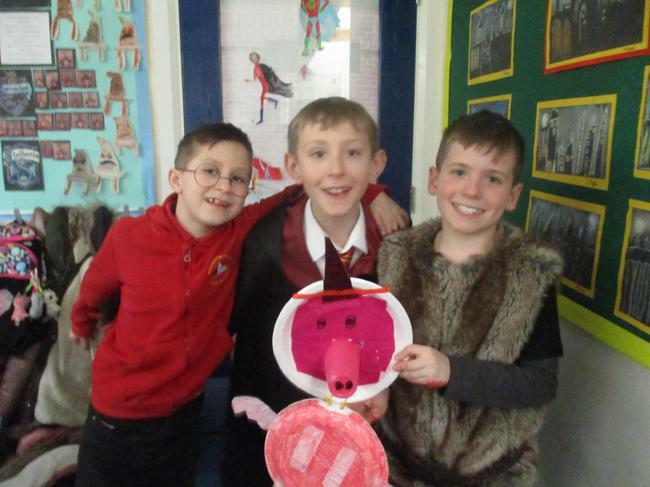 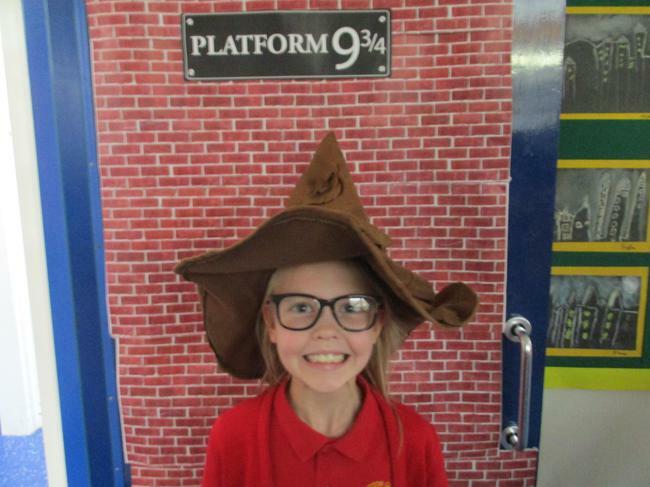 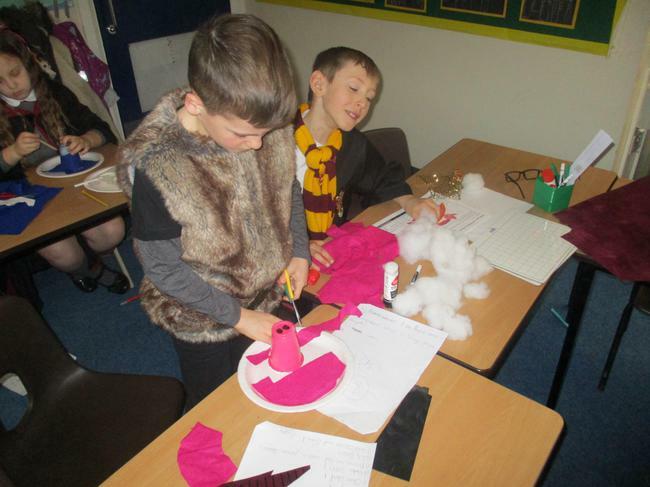 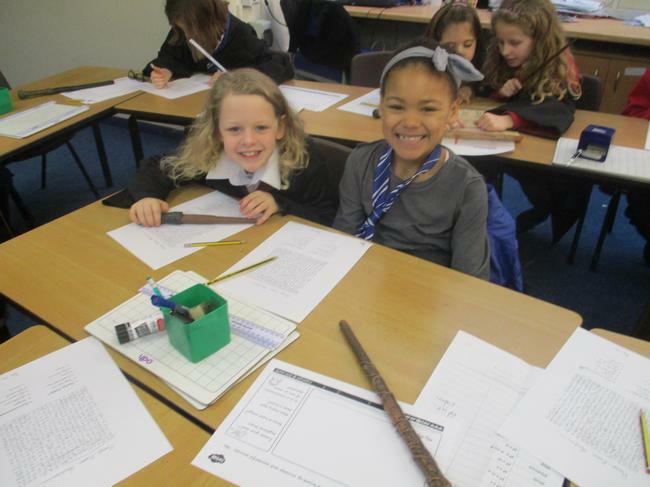 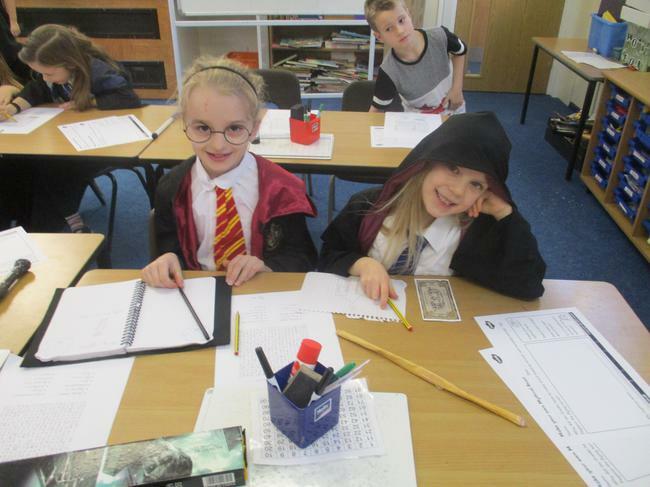 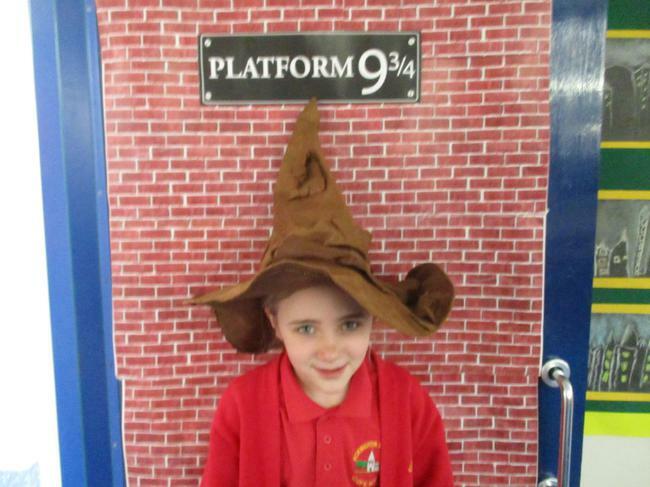 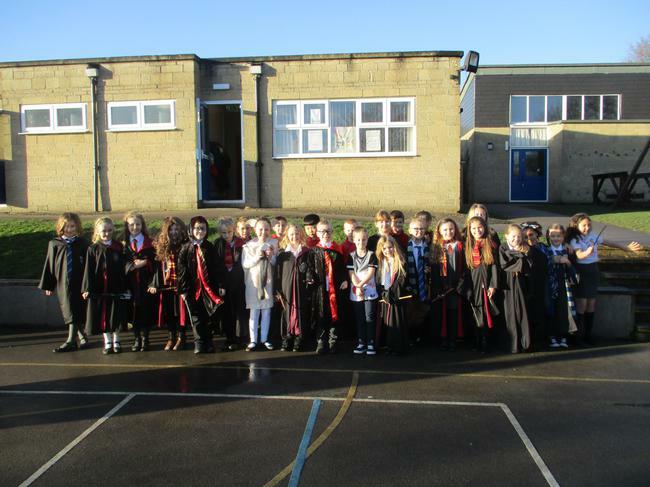 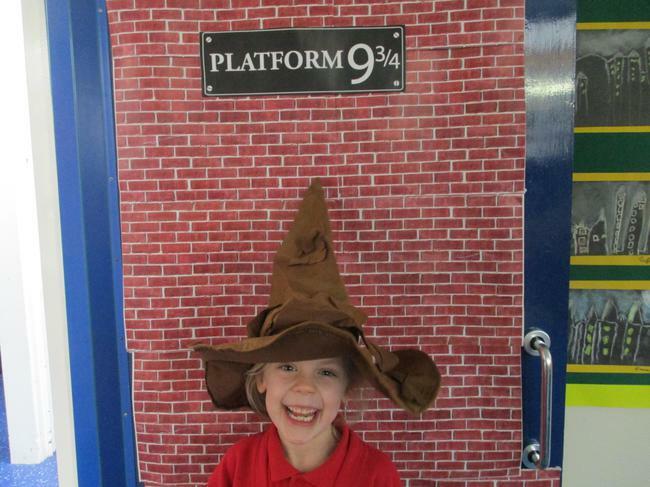 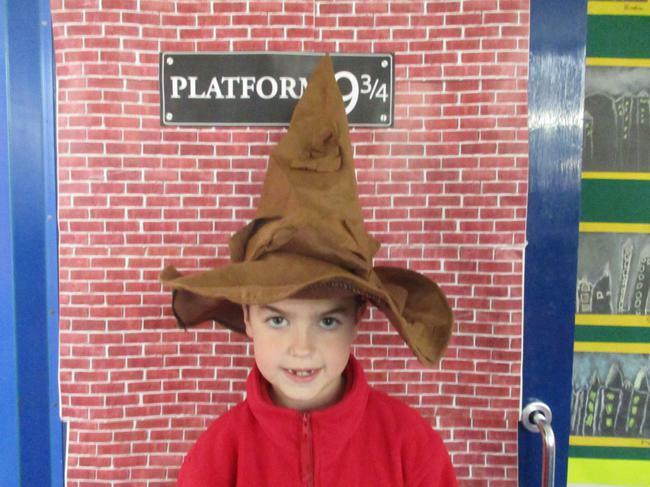 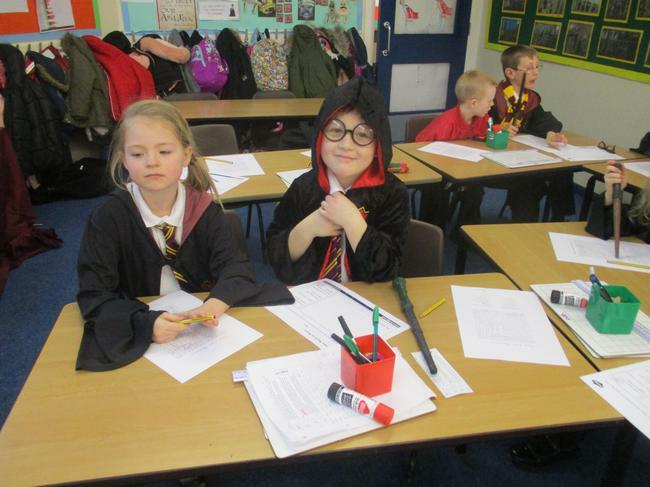 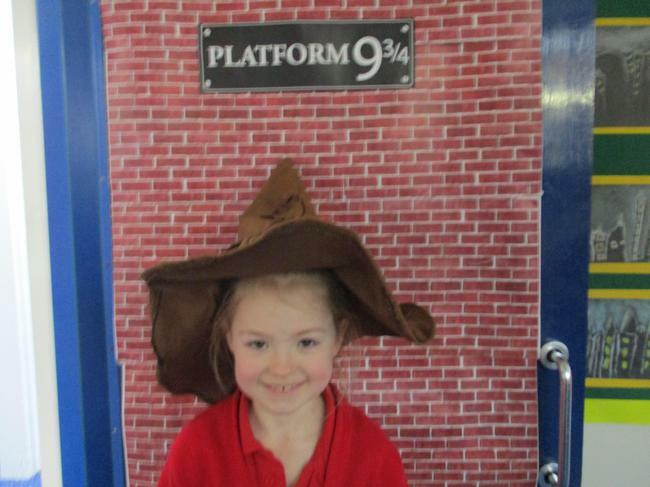 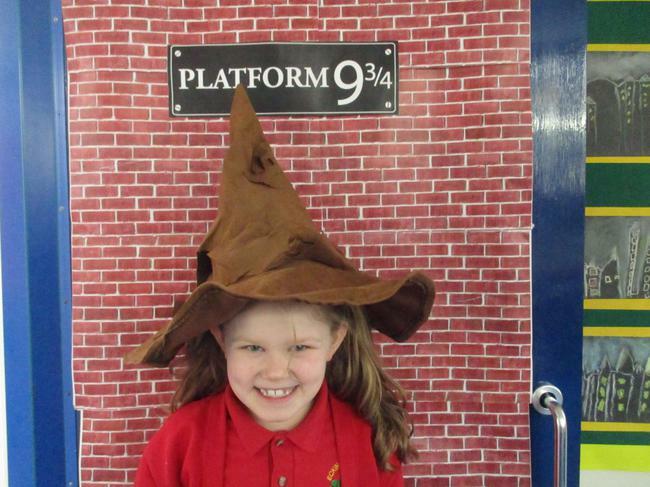 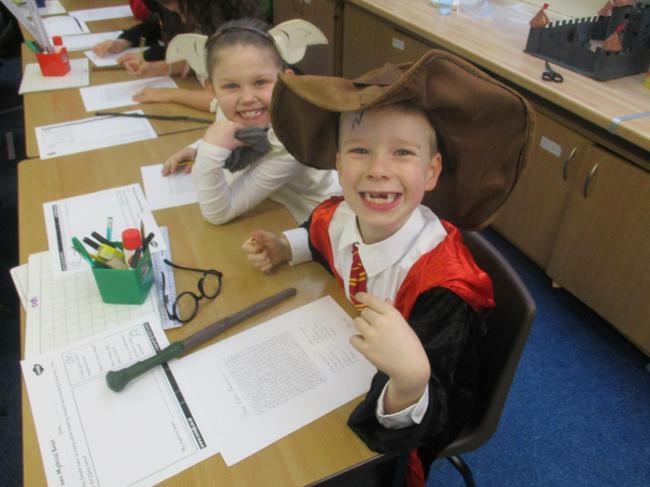 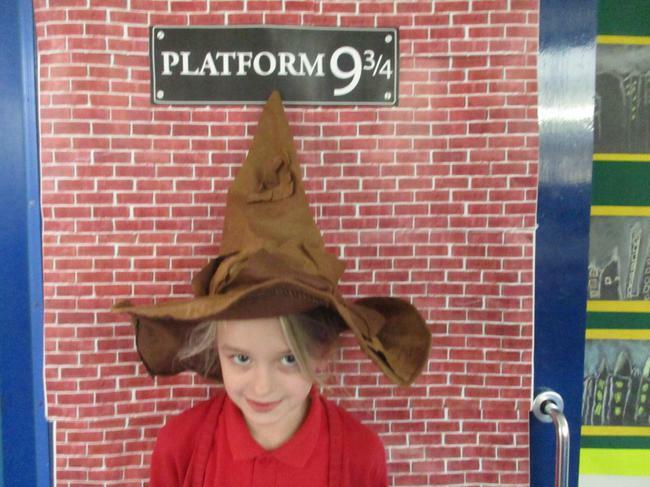 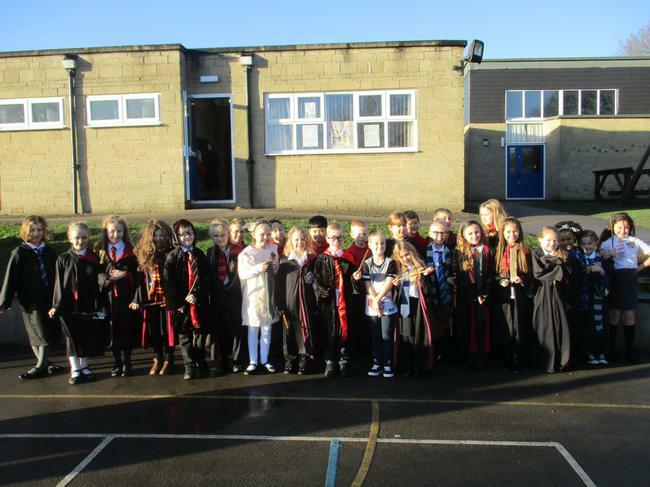 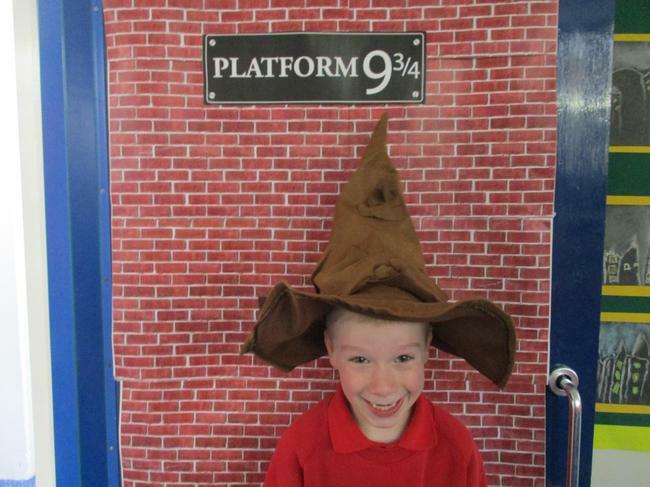 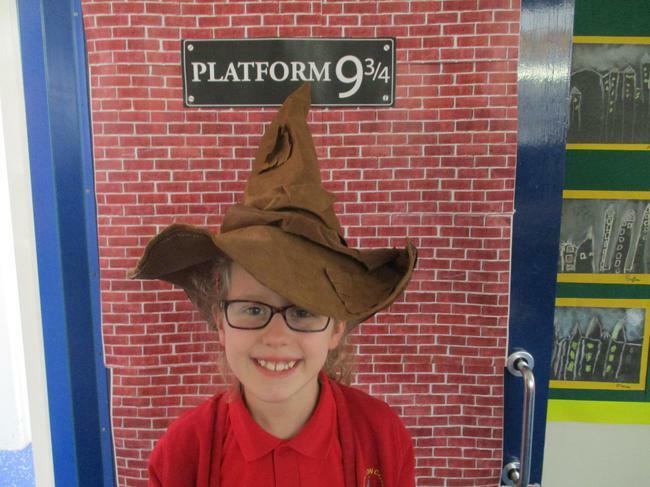 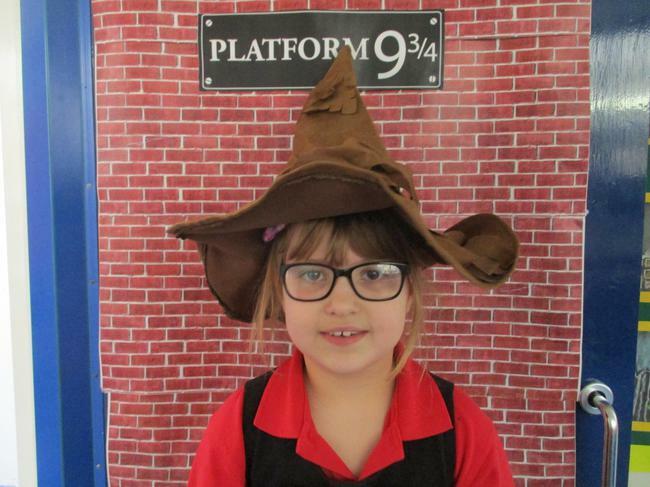 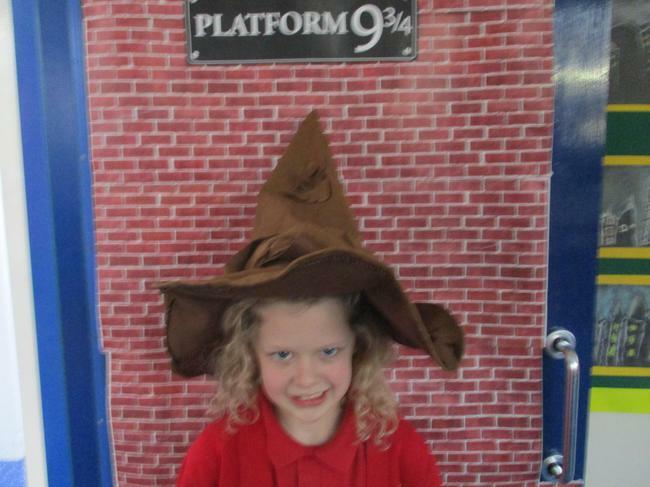 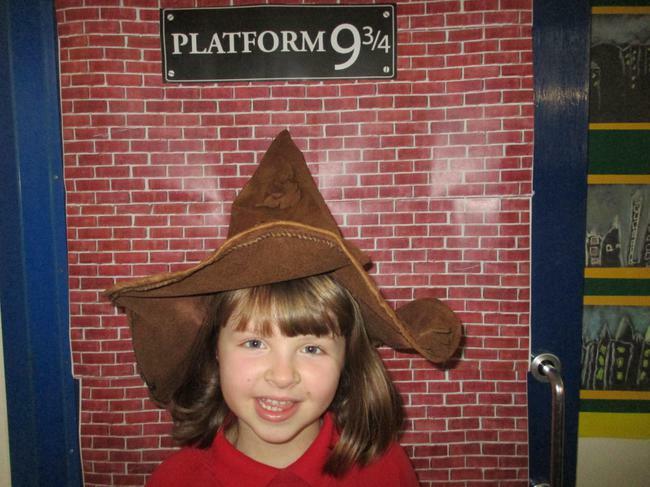 As you have probably gathered, Year 3’s topic is Harry Potter this term. 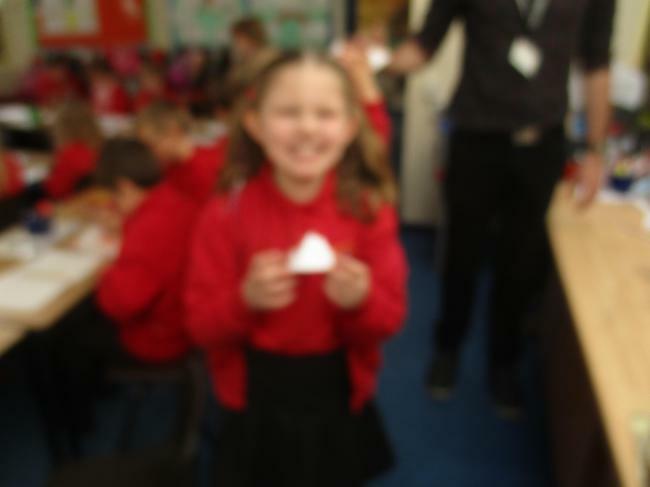 Everyone is very excited and I hope that the children enjoy the topic. 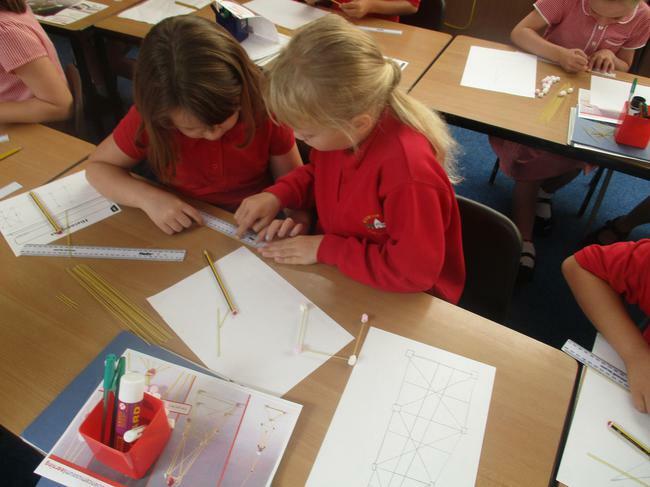 Please find attached a topic web and a homework grid. 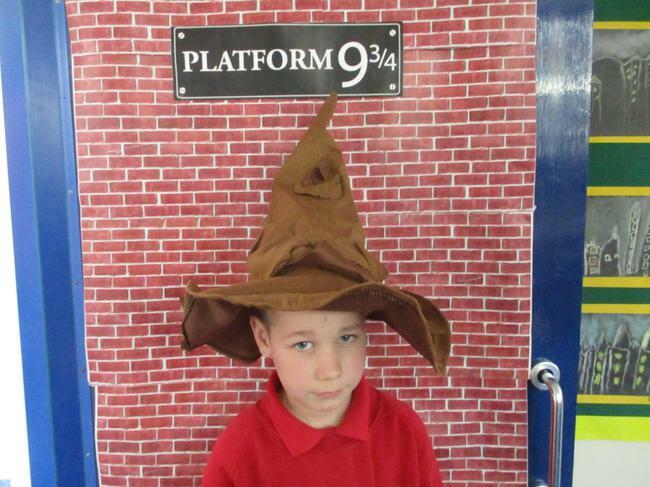 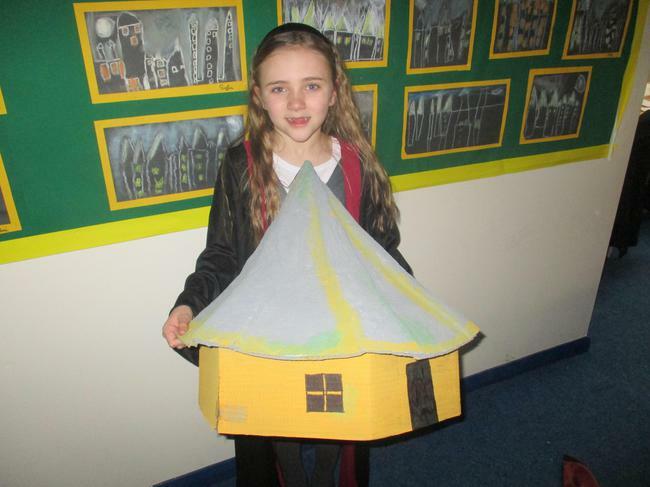 All homework completed will be proudly displayed in our classroom or on our special Harry Potter homework wall. 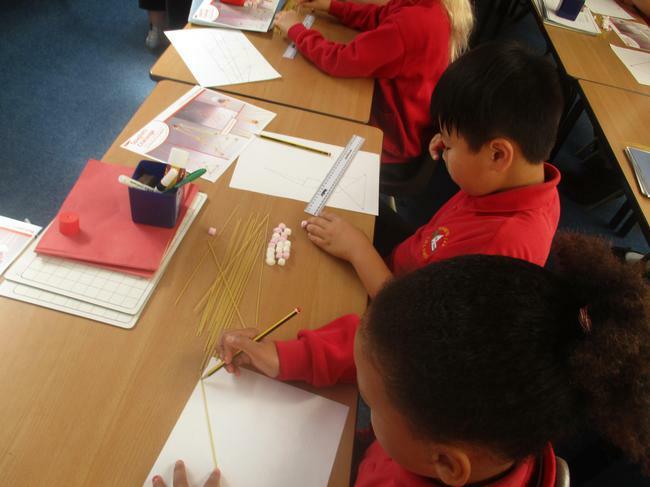 I will also be setting Spag.com tests and maths homework on Active Learn throughout the term. 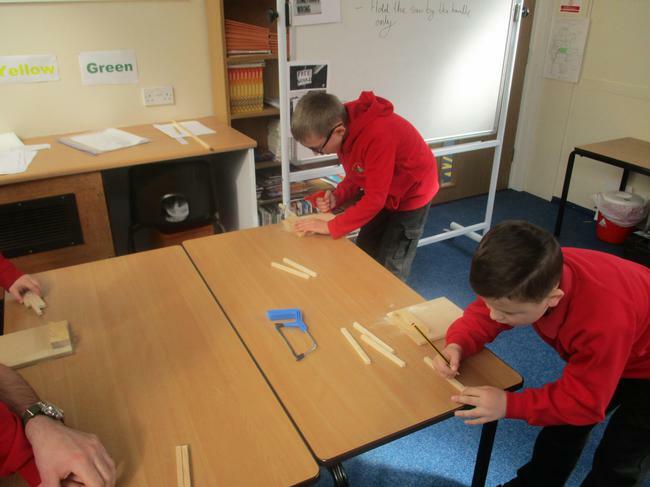 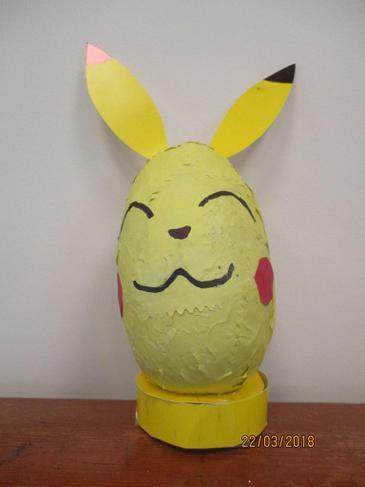 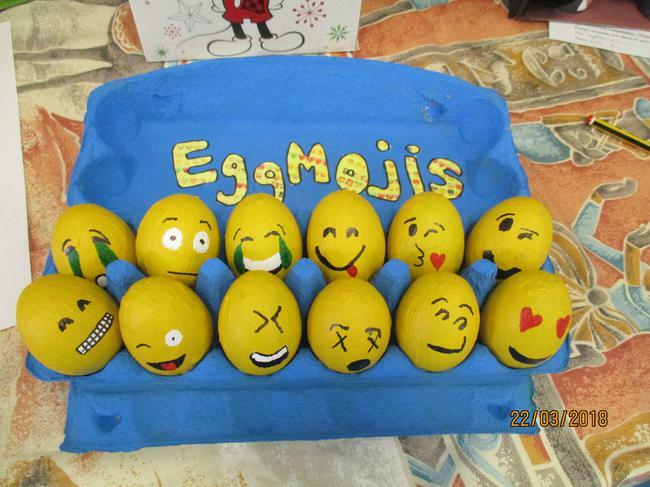 The children will have a week to complete these and have the option of completing the tasks in the ICT suite at lunch-time if they’re unable to access them at home. 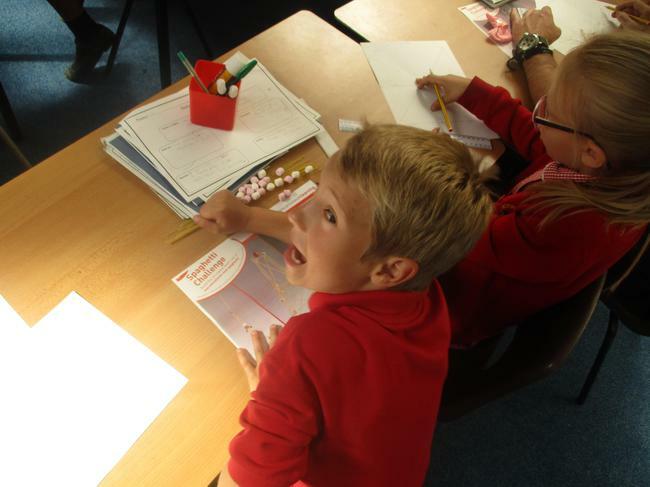 If you have any questions or queries then please don’t hesitate to pop in at 8.45am or straight after school. 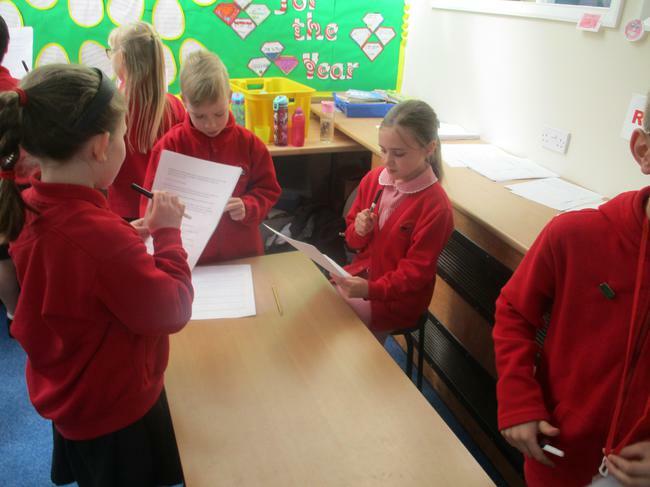 If you require a longer conversation then please make an appointment at the school office. 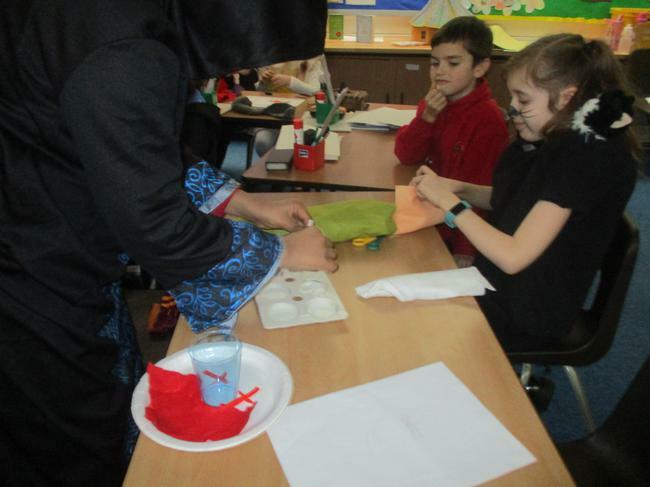 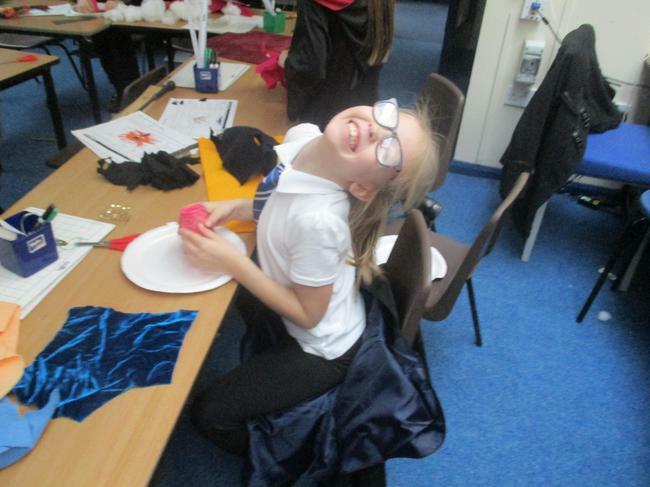 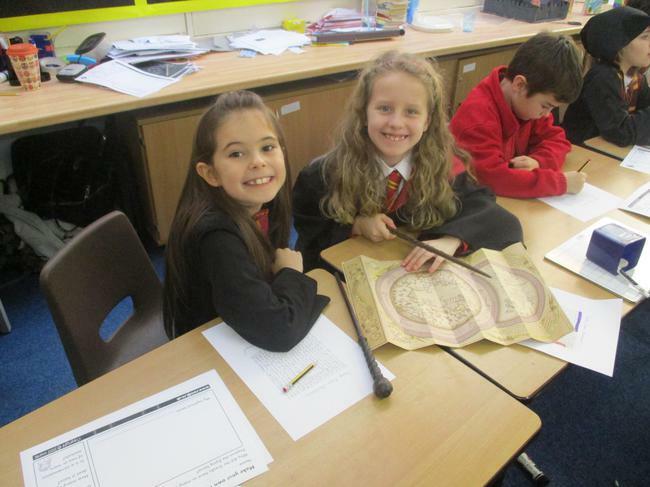 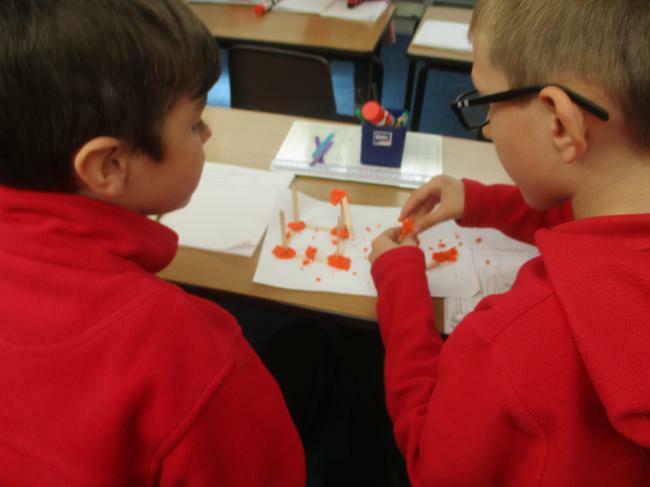 In Geography, we have been studying tectonic plates and their role in the formation of volcanoes. 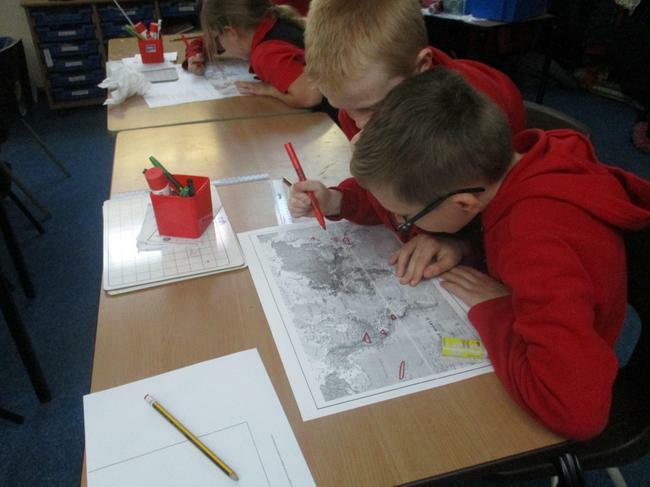 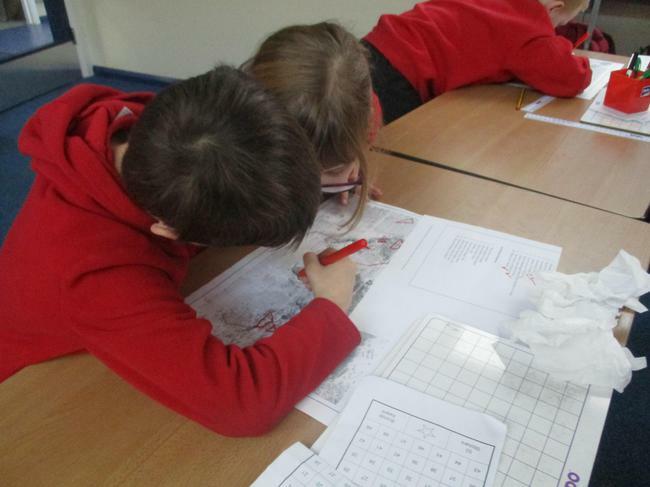 We looked at Planet Earth's most dangerous `active' volcanoes and located them on a world map! 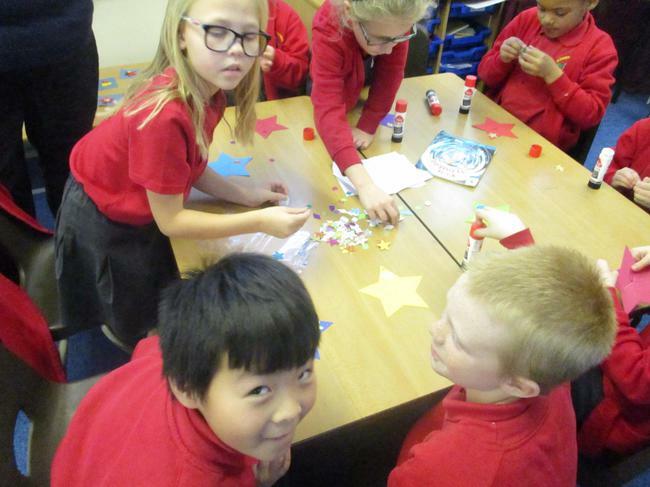 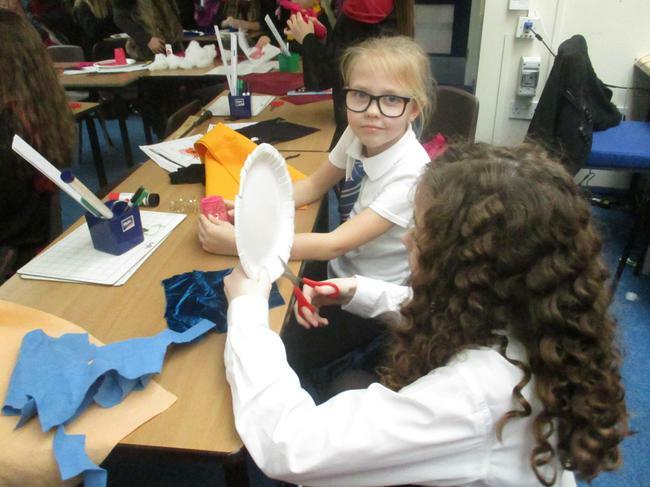 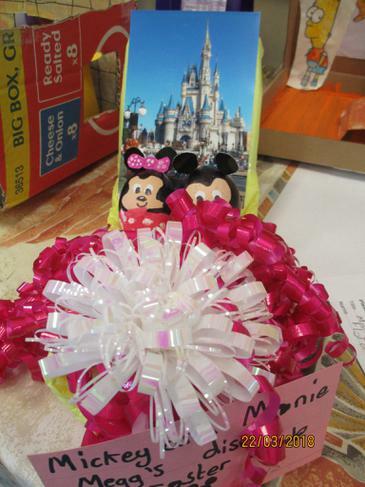 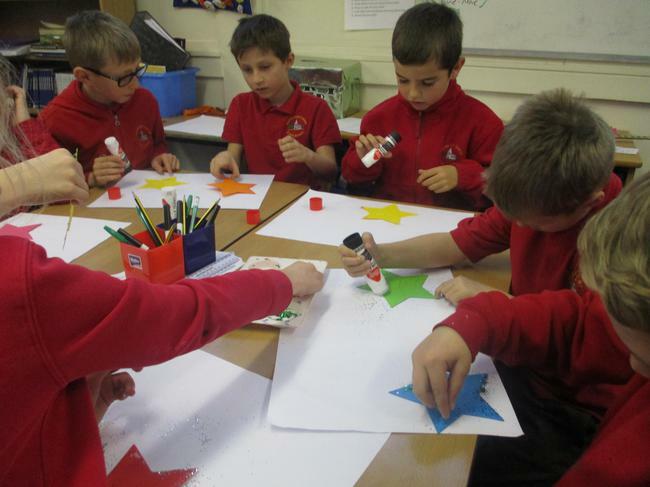 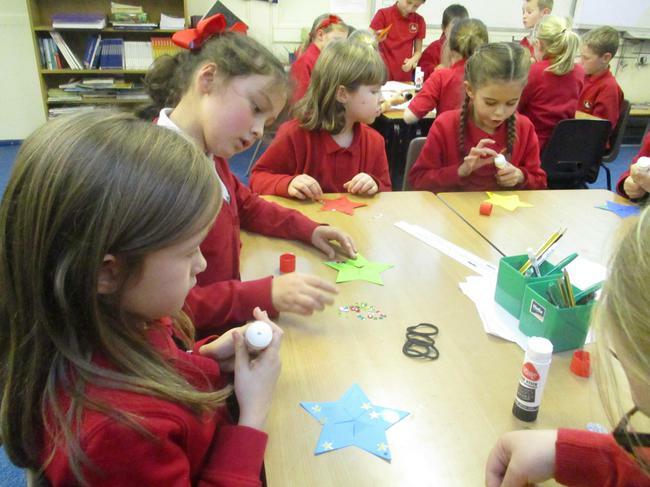 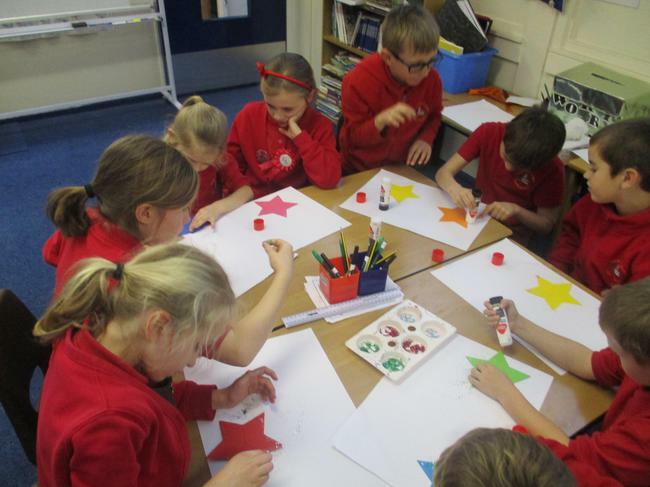 We have been hard at work creating some wonderful goodies for the Christmas Fair! 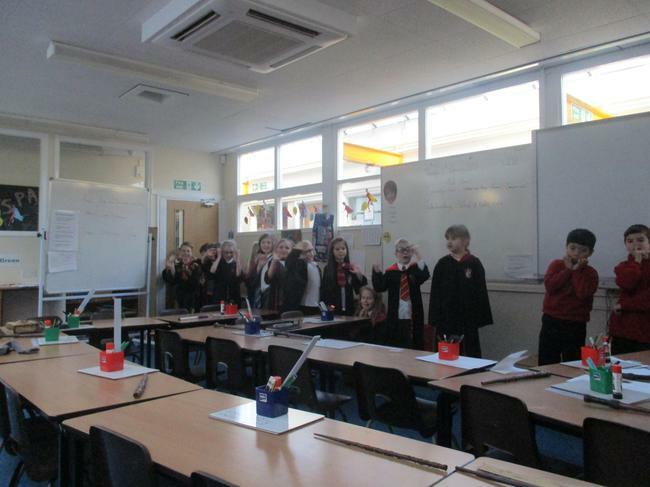 Welcome to the Y3 class page. 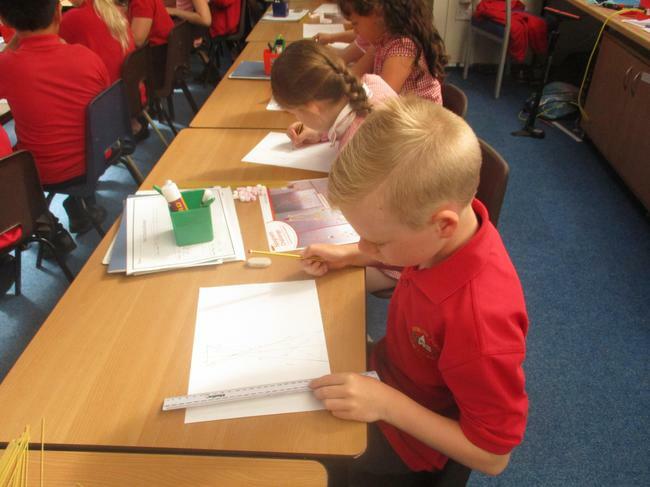 Our teacher is called Miss Blacklock and our teaching assistant is Mrs Phillips. 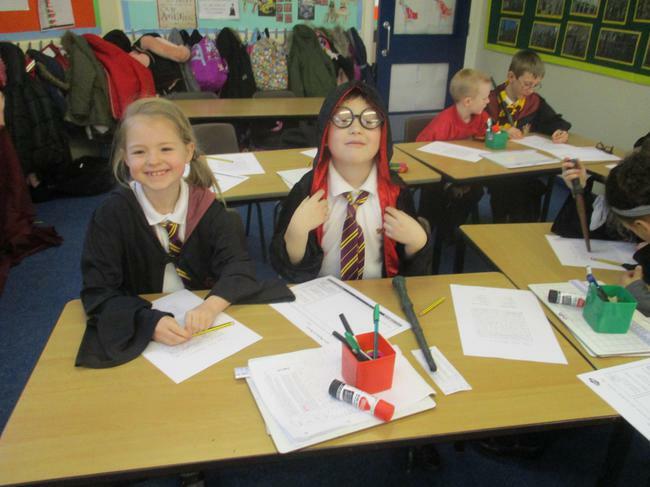 We are an enthusiastic class of 26 children and we like to approach our learning with a superhero mindset. 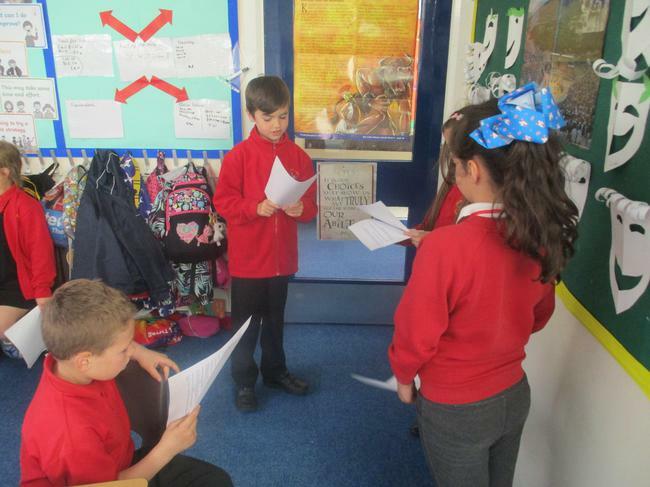 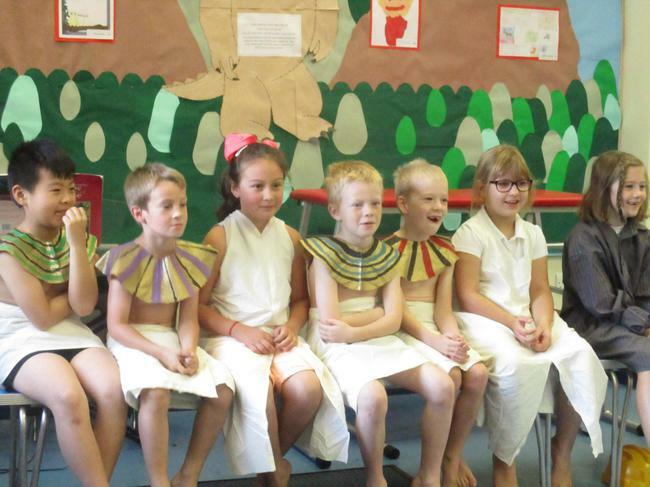 Our topic for this term is the Ancient Egyptians. 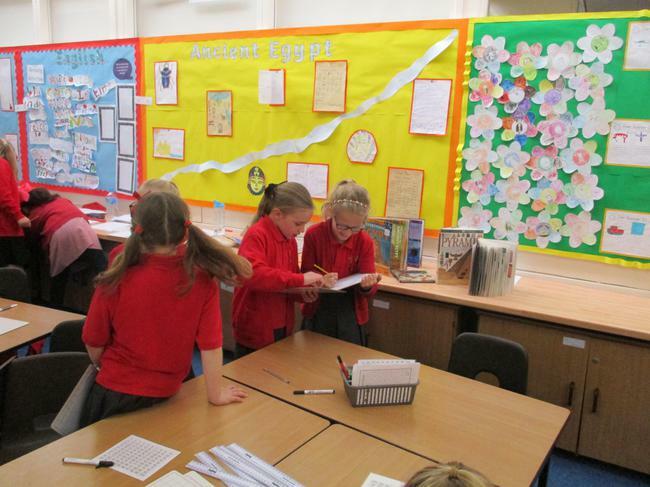 We even have a Tutankhamen mask on our topic wall! 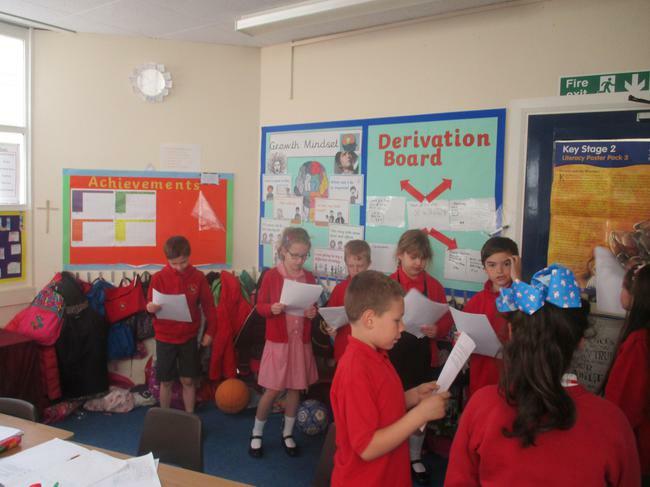 P.E days for Y3 are Wednesday and Friday. 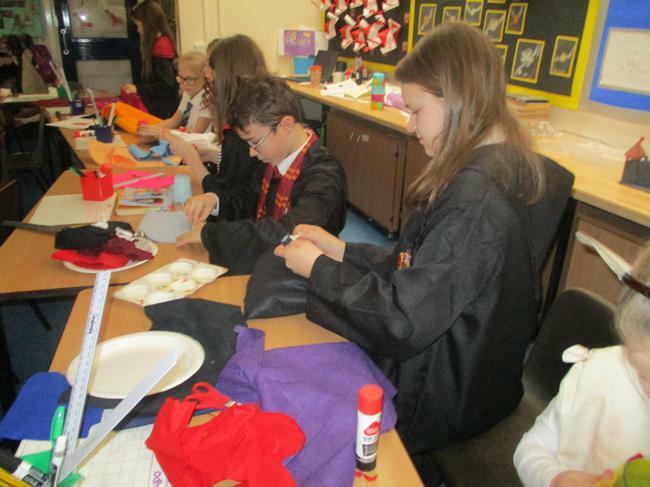 Please ensure kits are brought into school so everyone can participate. 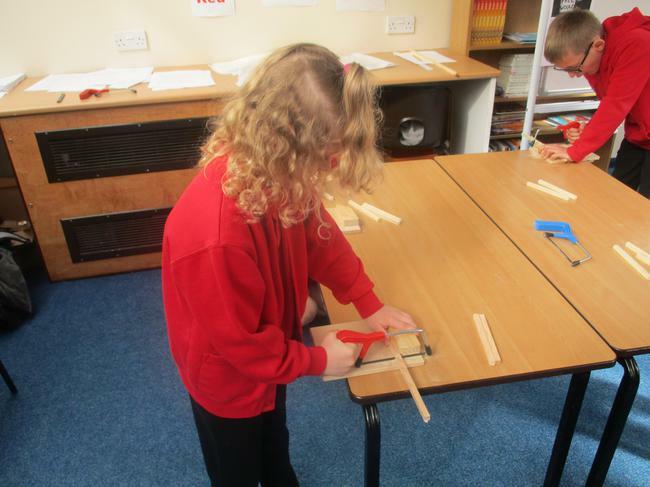 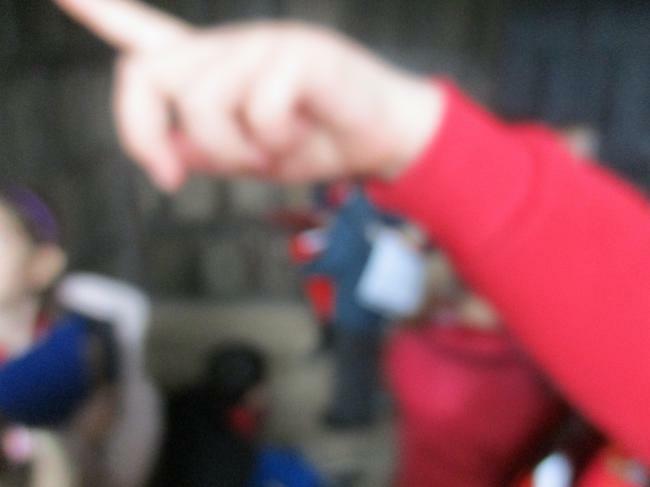 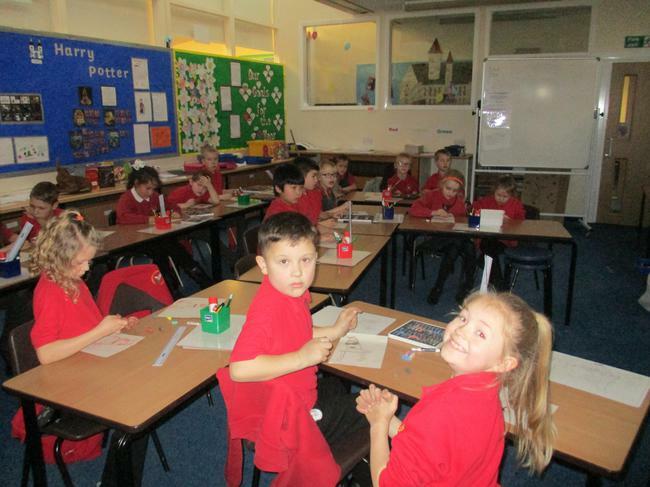 Check this page regularly for updates, info and photos about our learning. 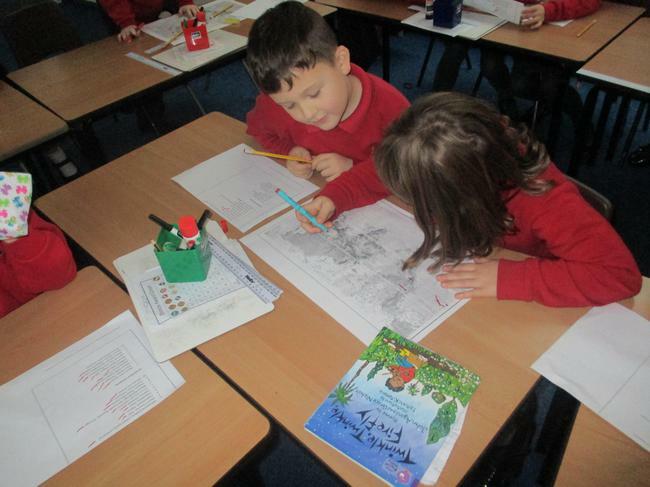 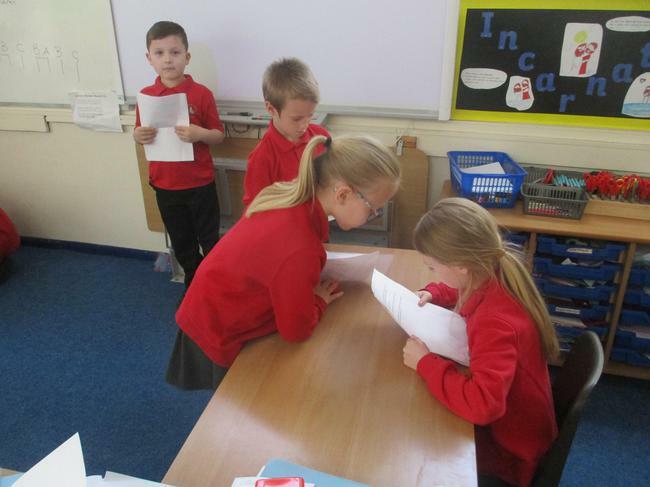 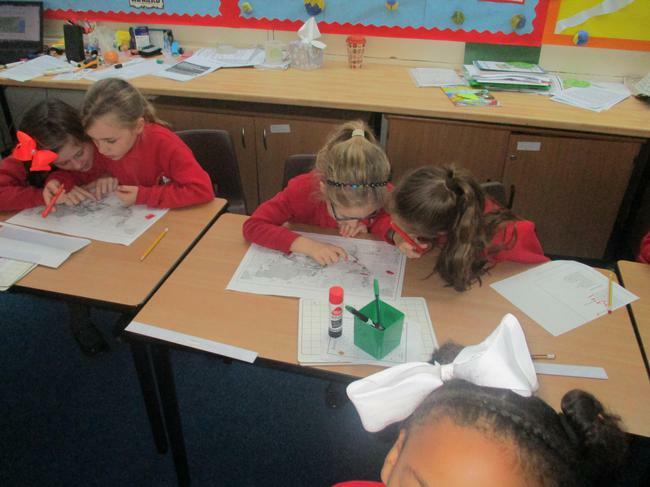 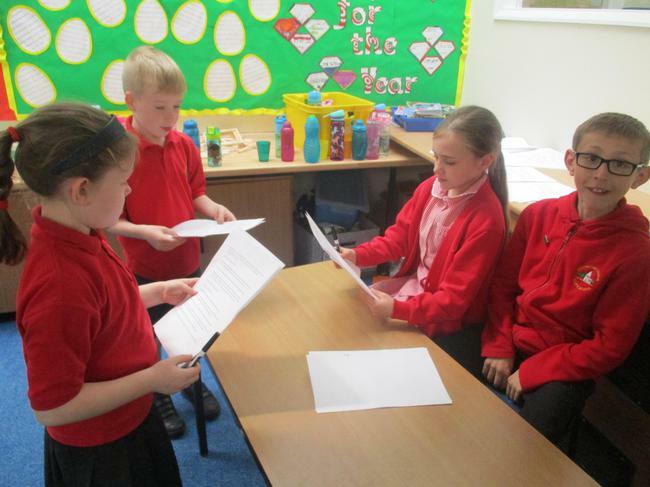 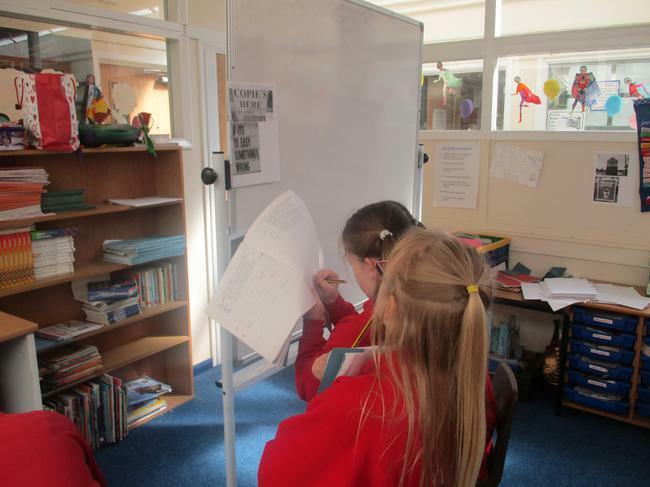 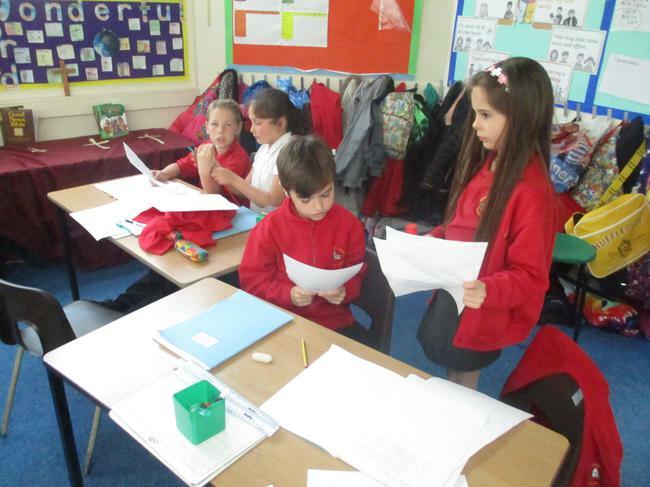 We did a times table treasure hunt around the classroom! 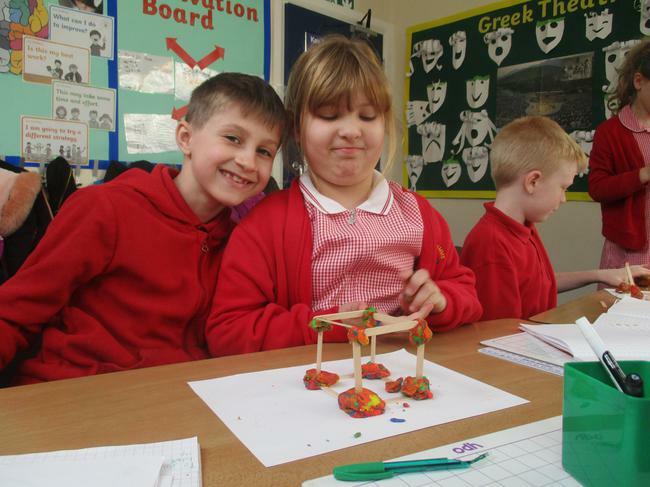 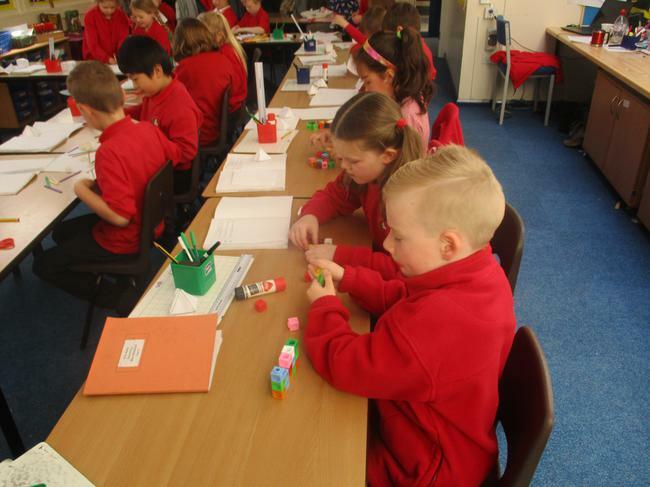 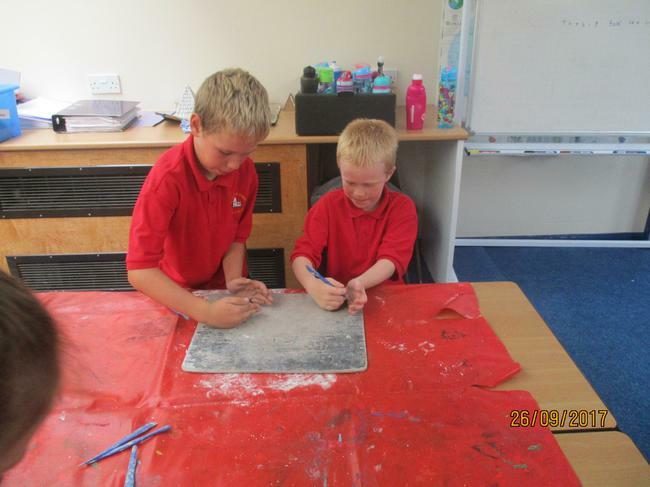 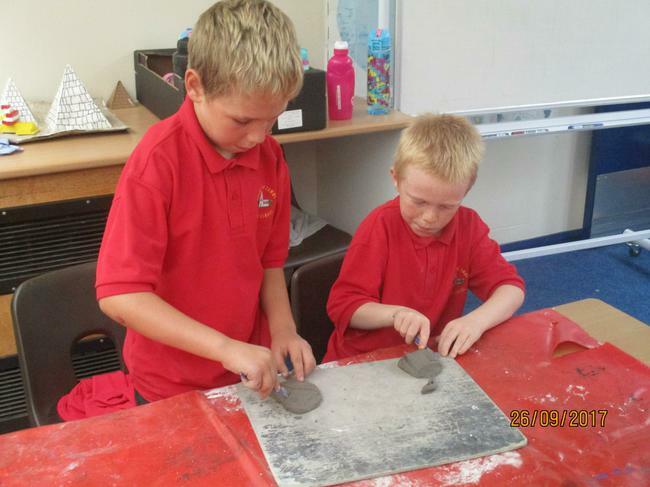 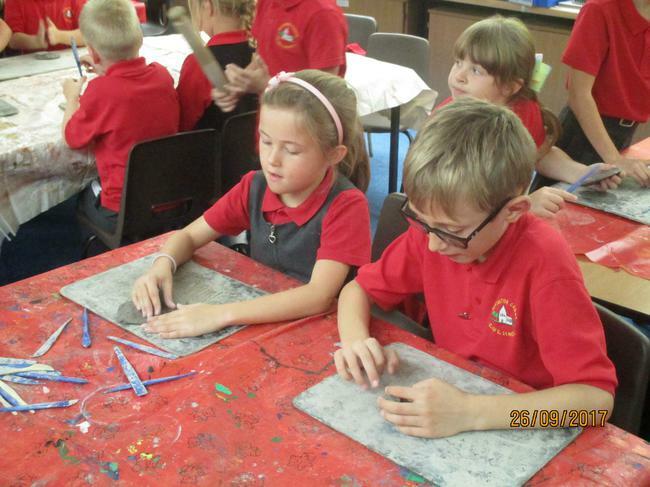 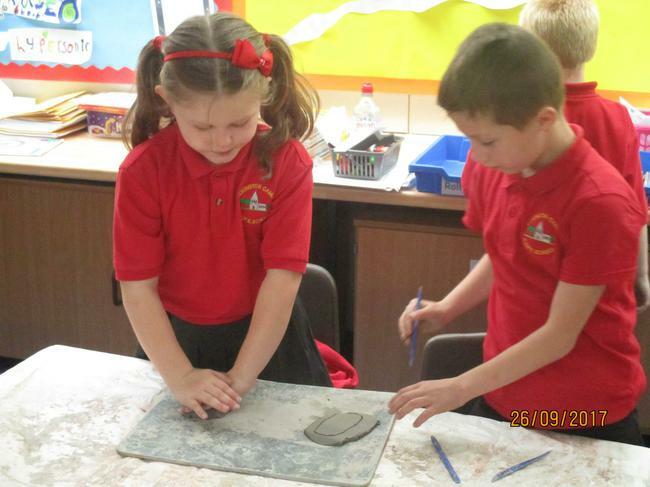 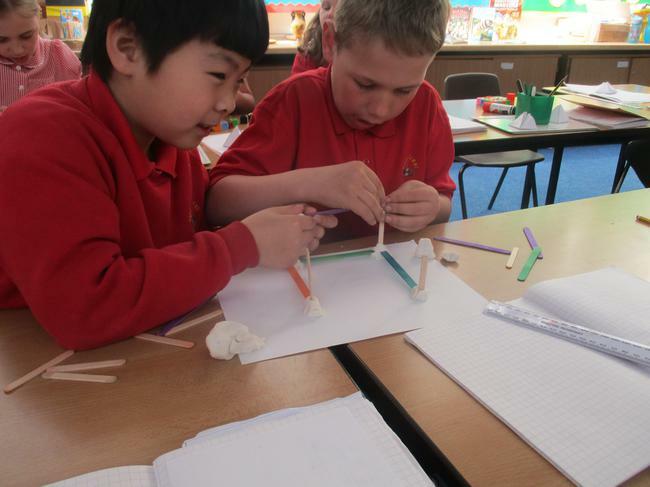 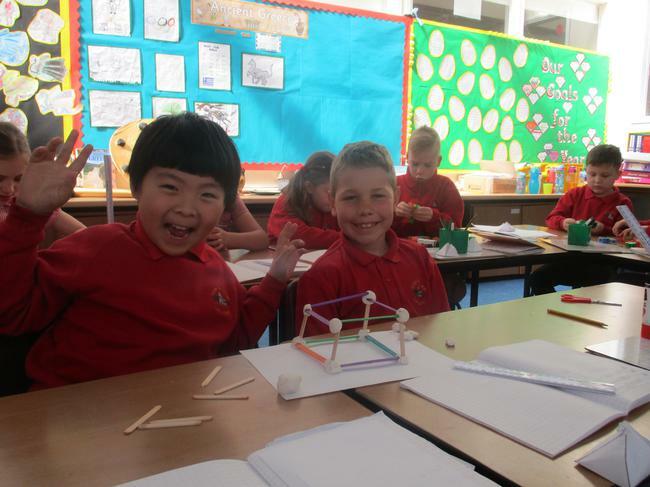 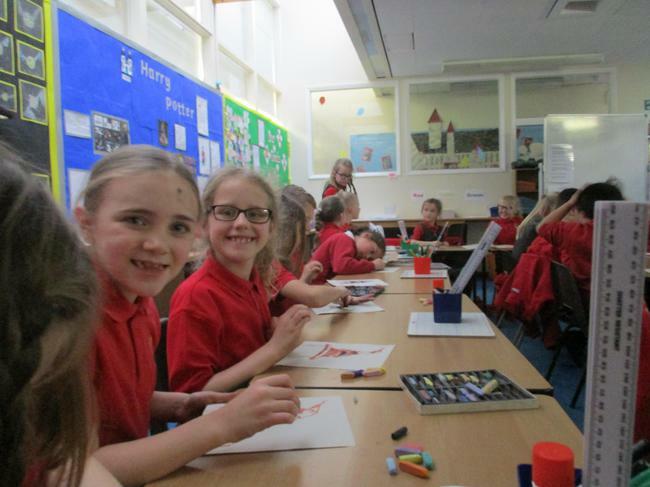 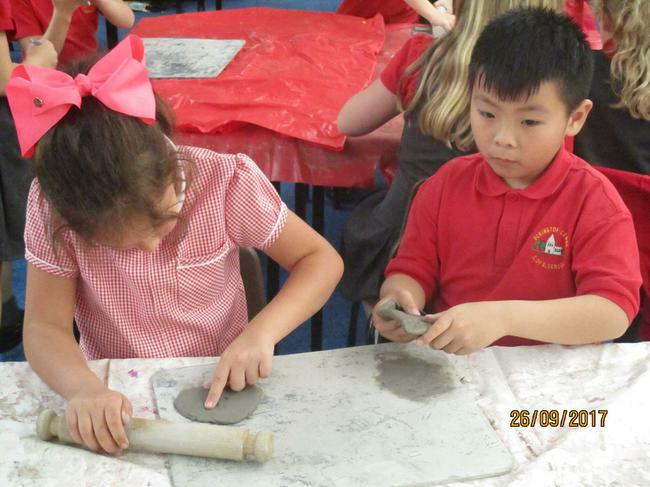 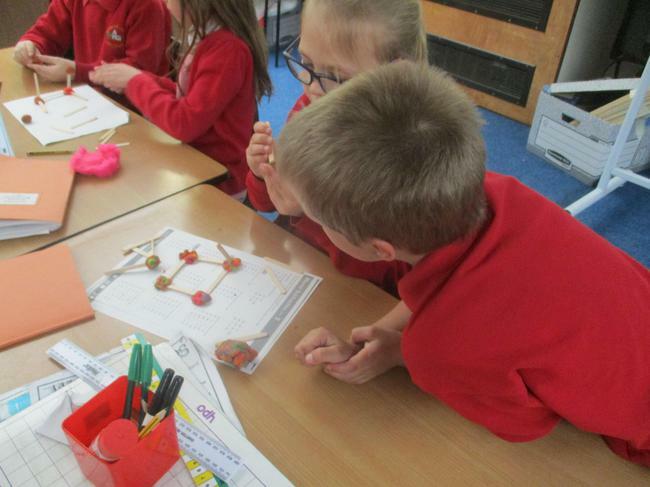 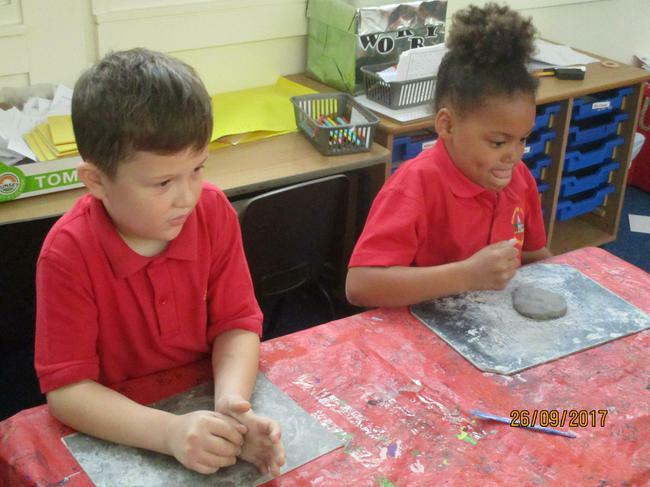 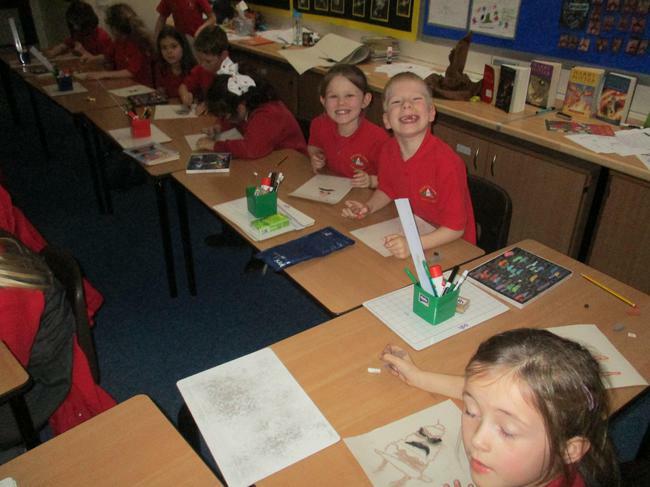 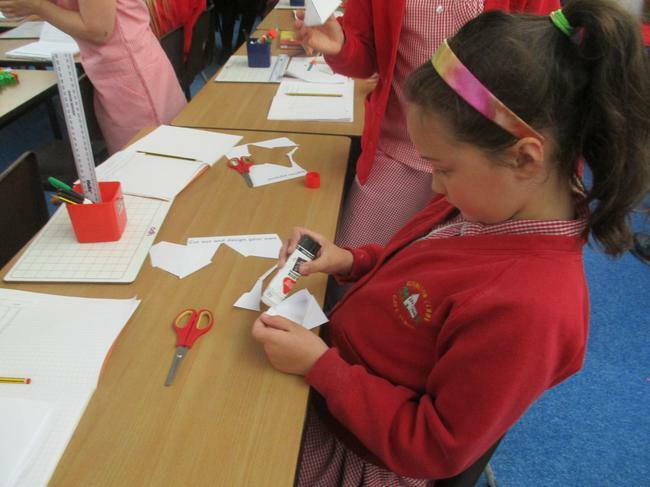 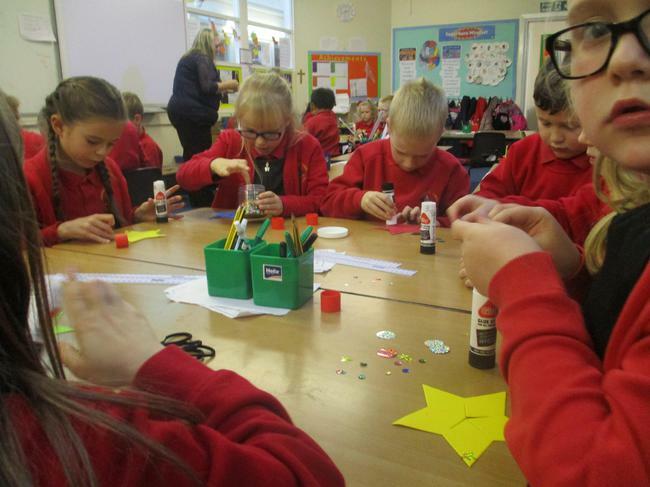 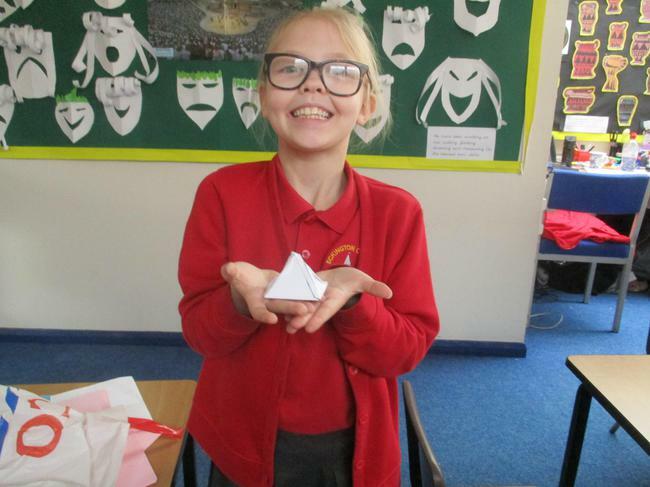 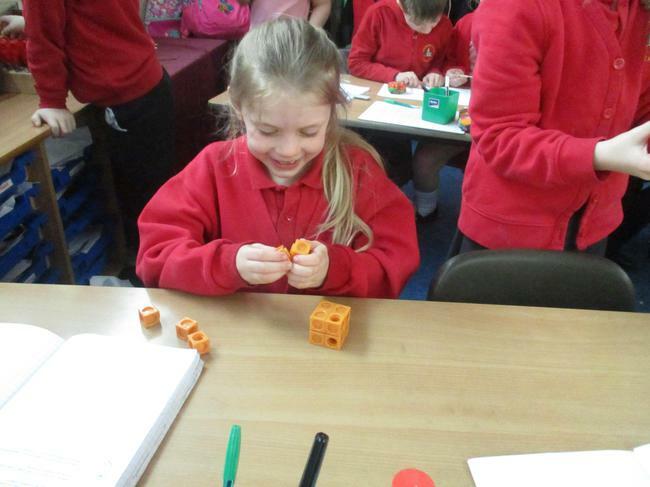 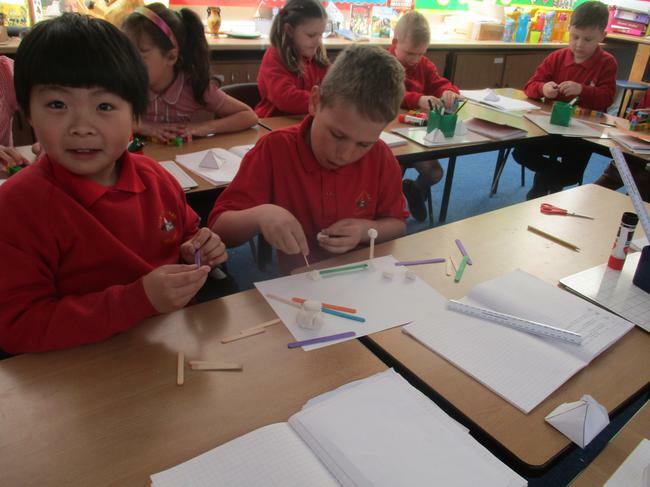 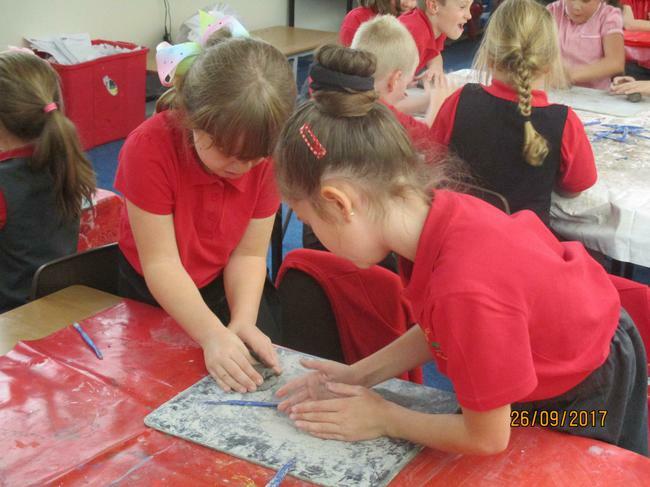 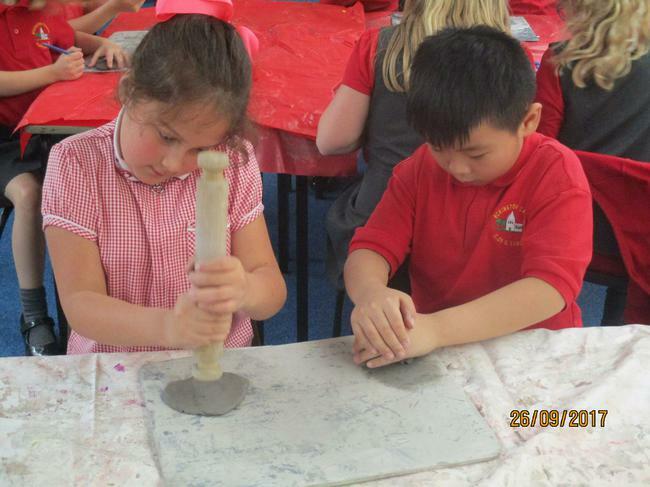 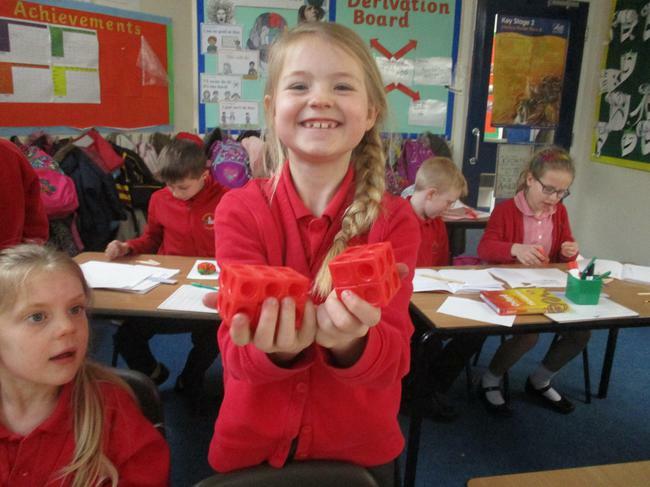 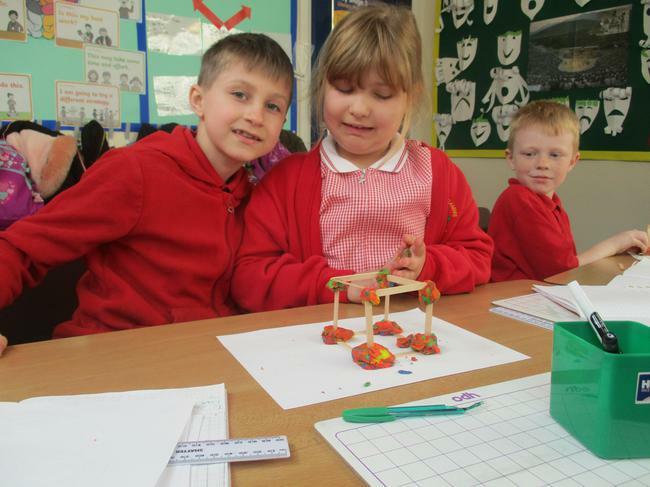 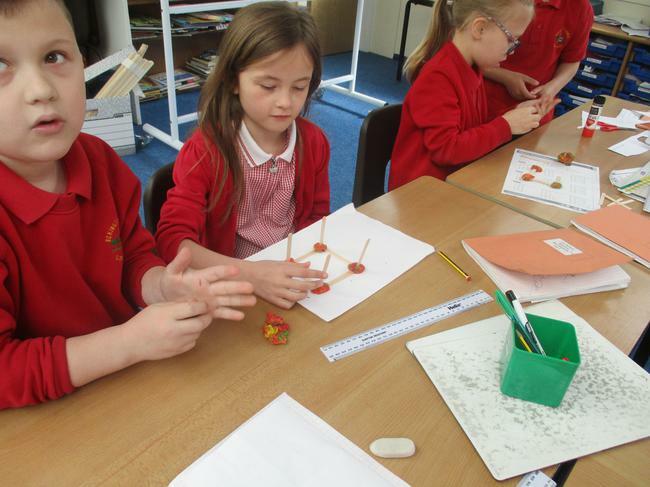 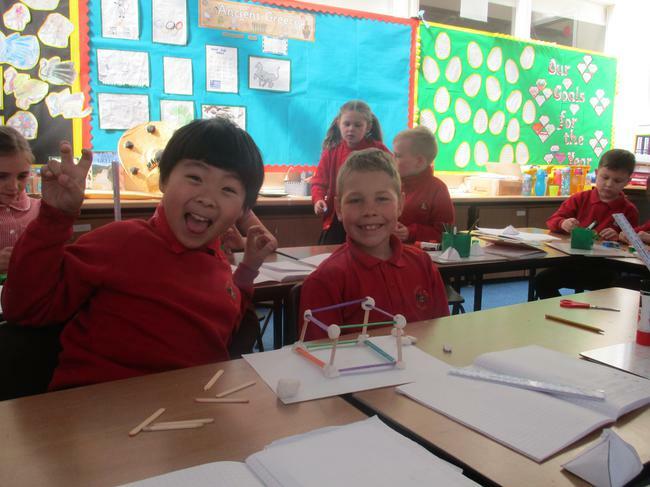 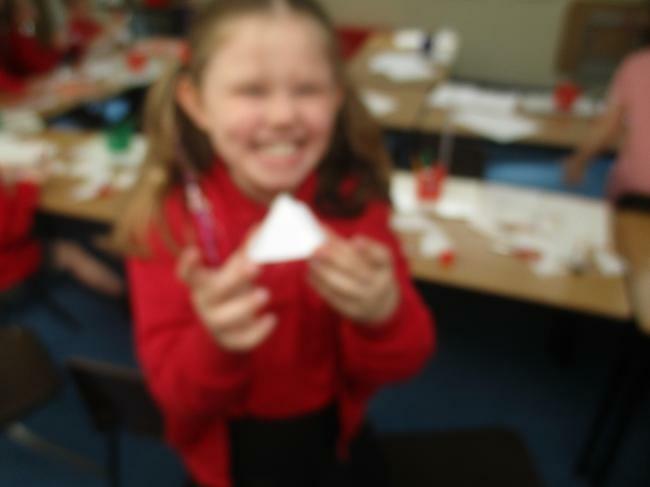 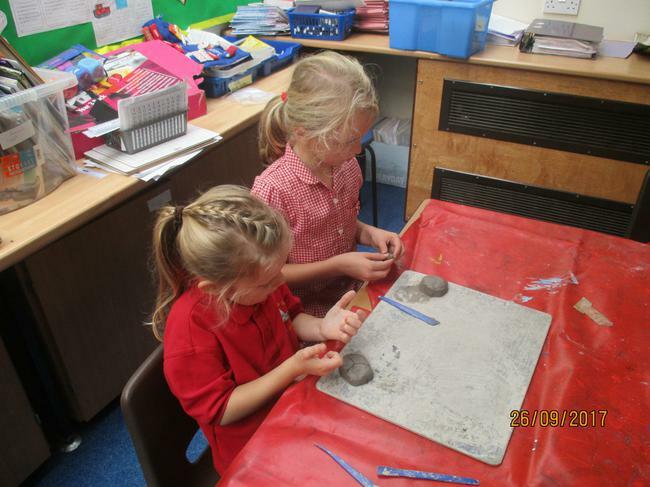 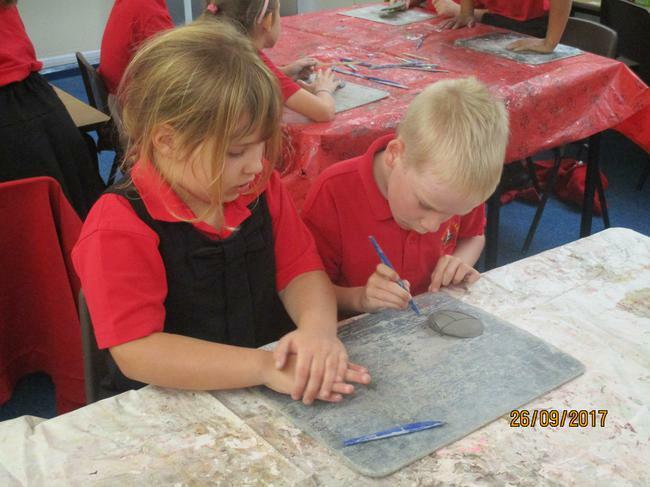 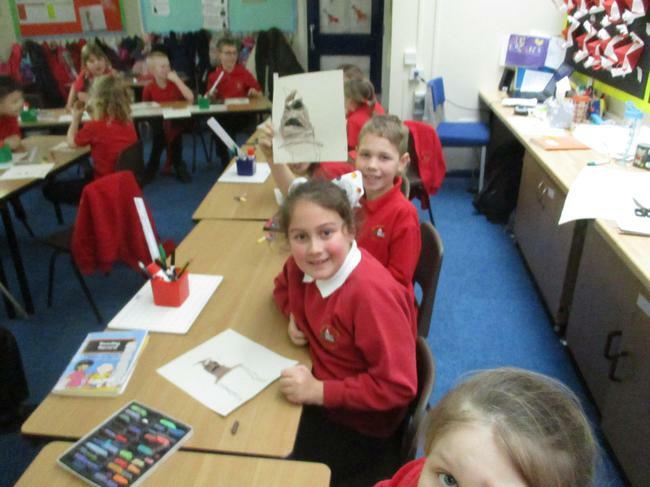 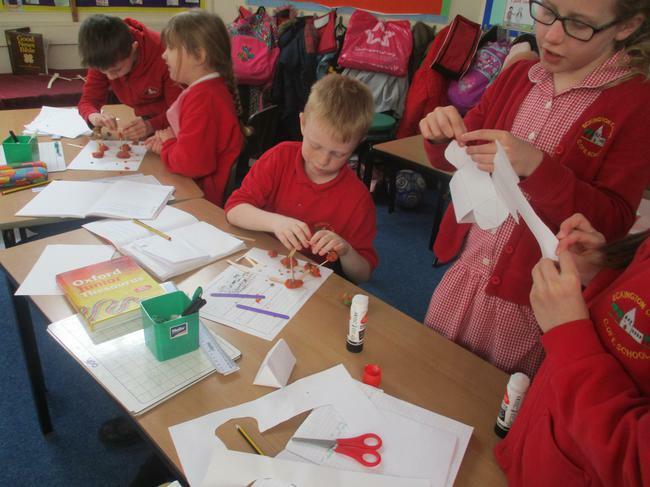 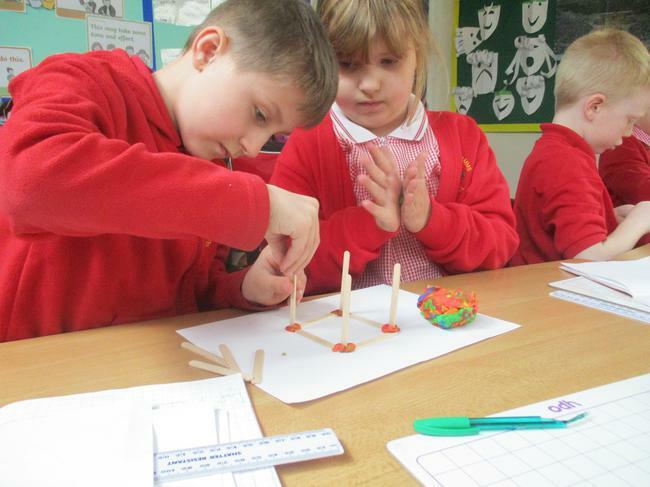 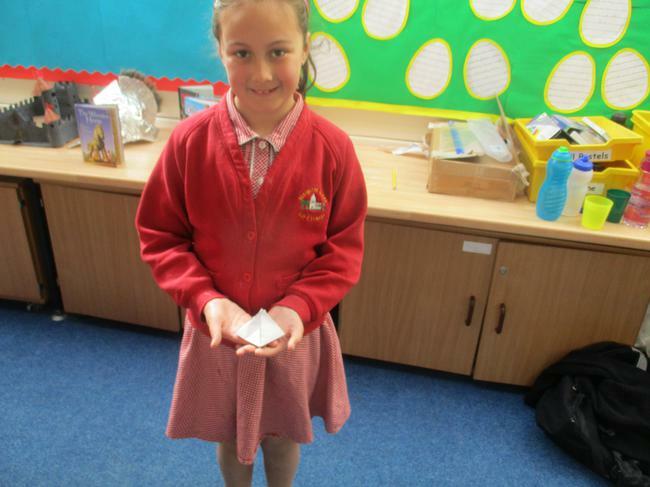 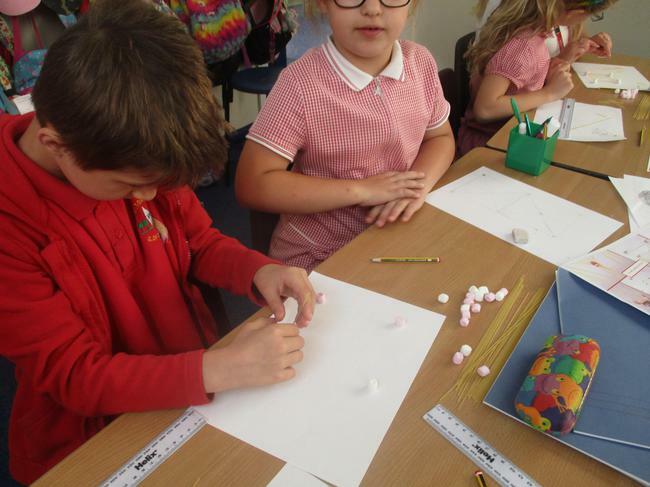 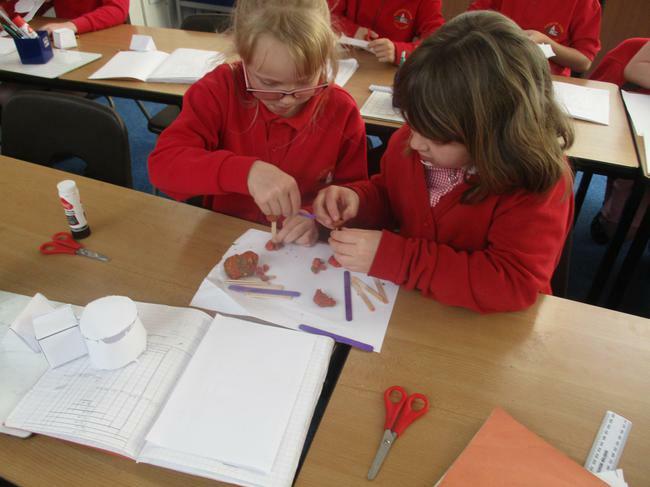 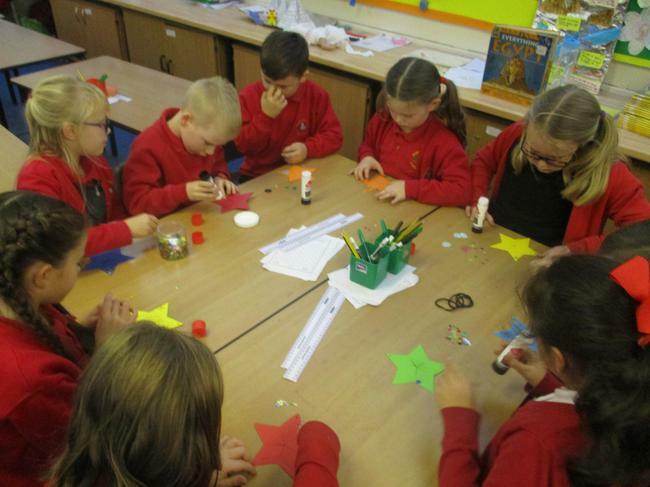 We have been making our very own Egyptian scarabs by sculpting clay!